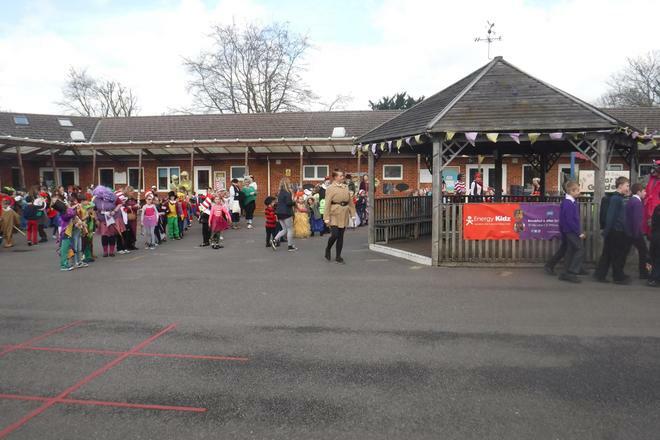 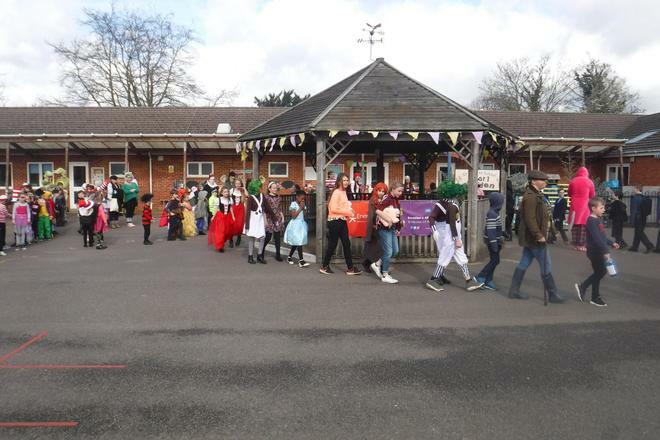 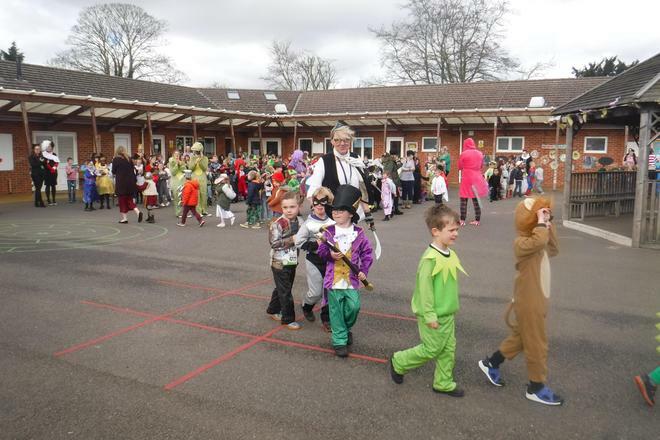 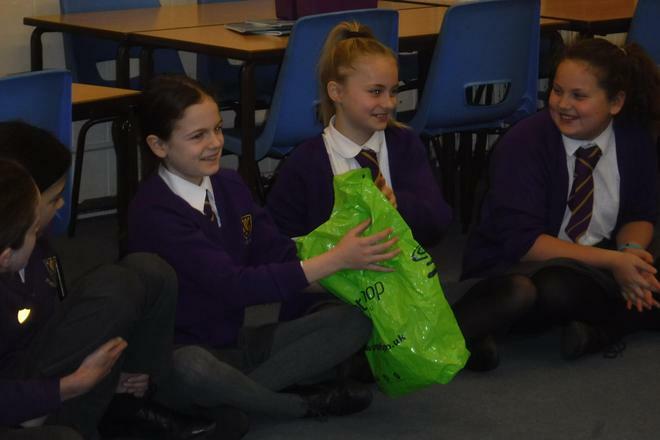 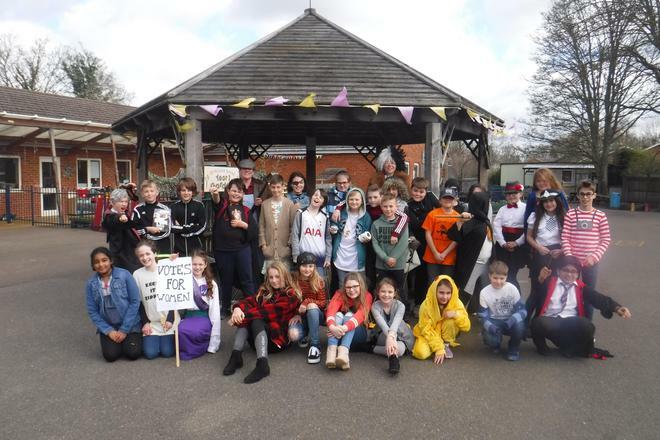 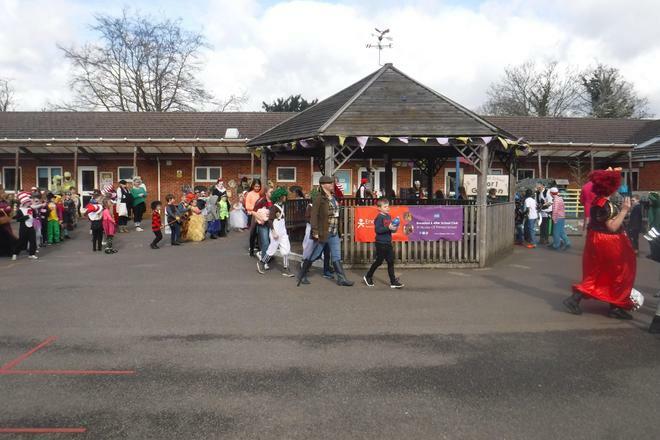 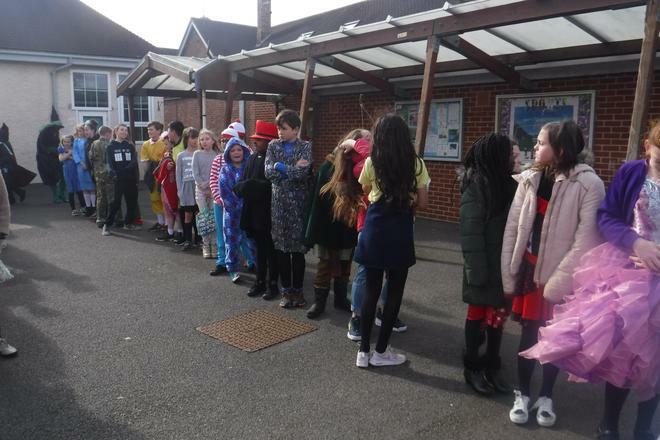 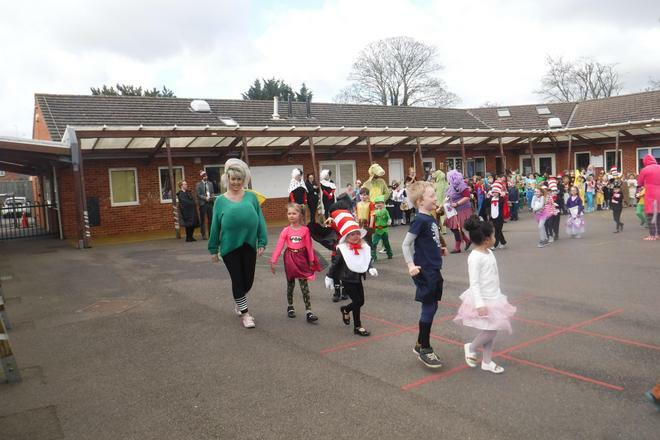 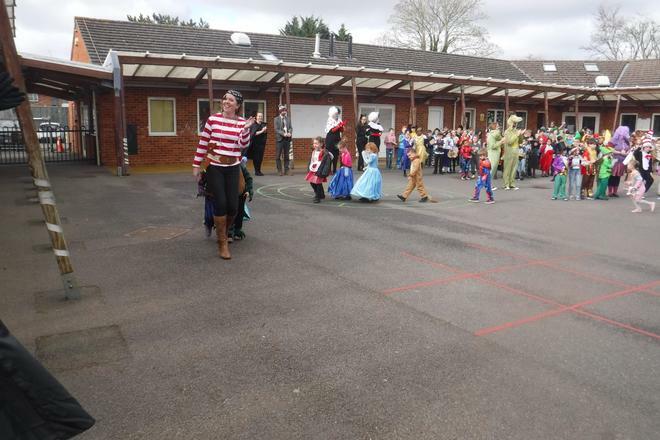 Welcome to World Book Day 2019! 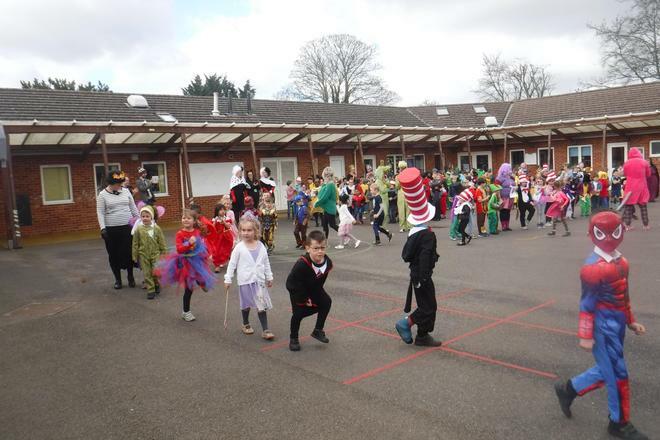 There were so many great outfits and this lead to wonderful discussions about books that have been read and enjoyed. 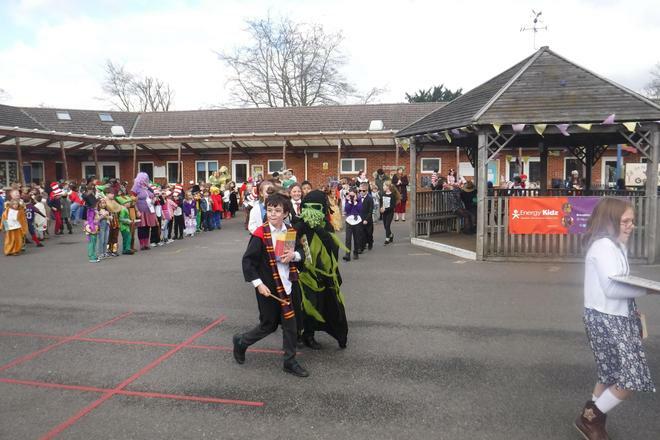 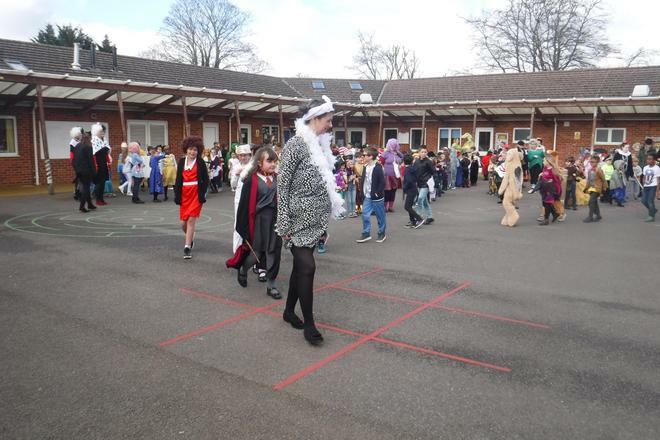 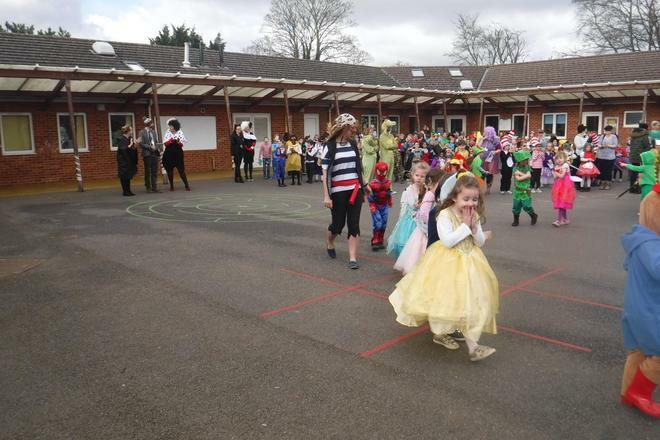 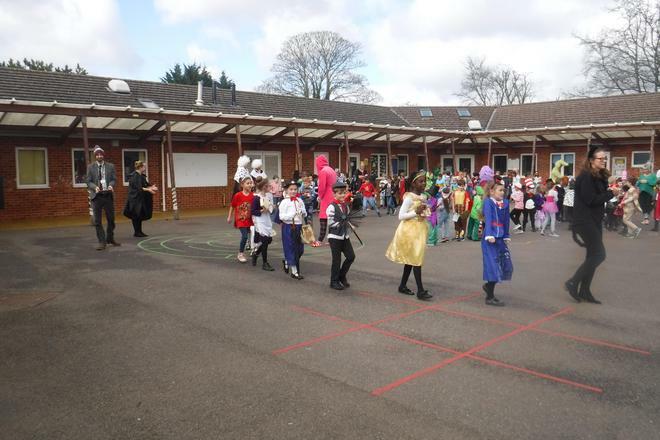 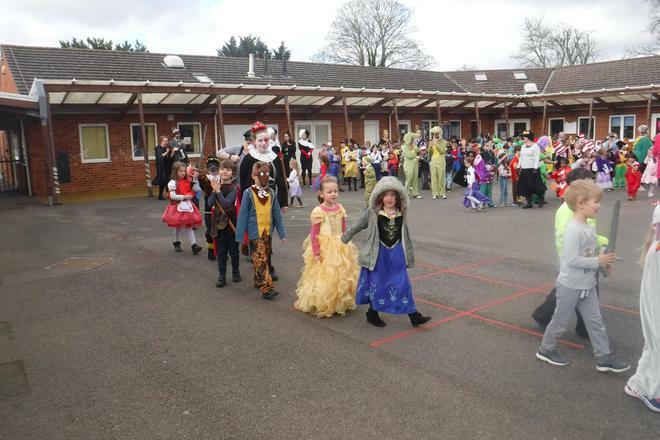 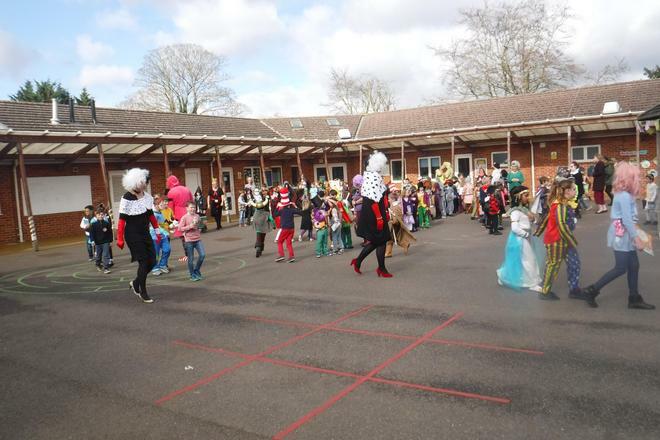 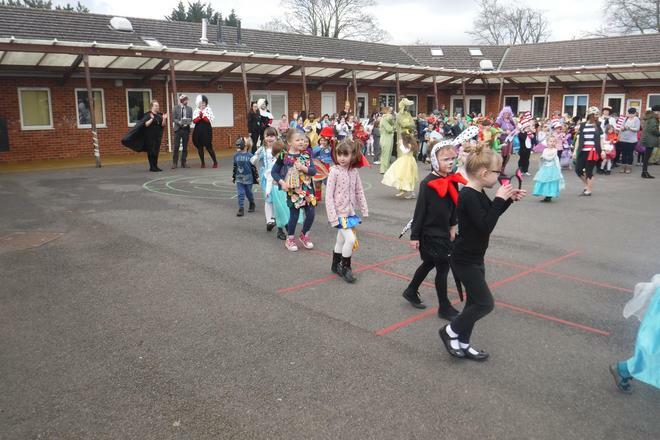 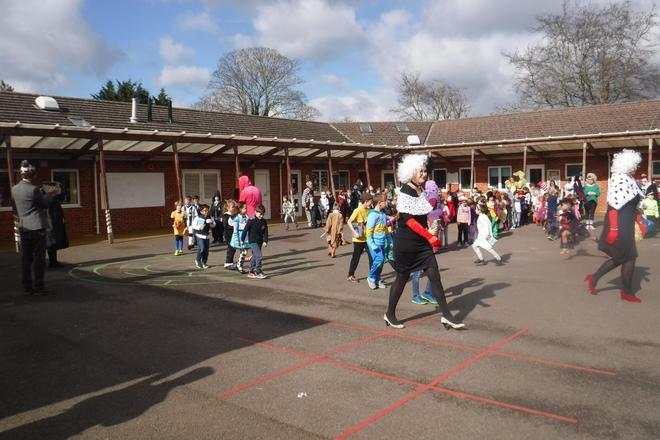 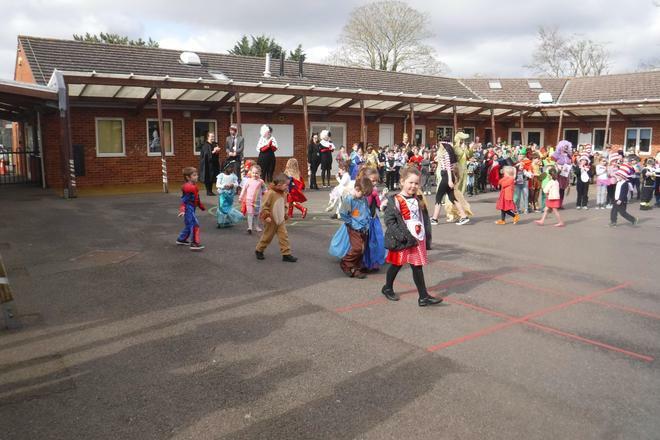 The children in Class 14 soon worked out that the staff theme this year was 'Villains'. 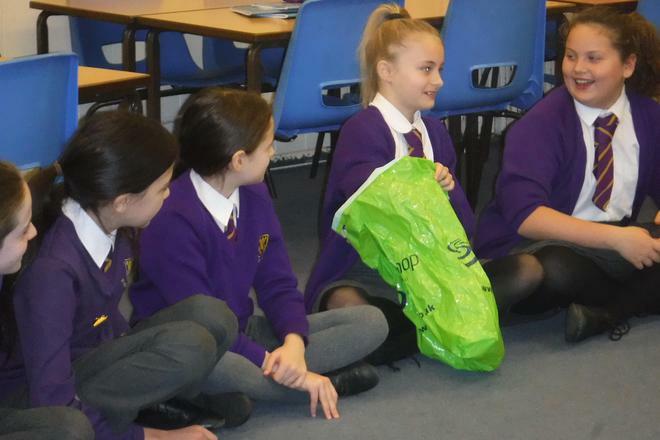 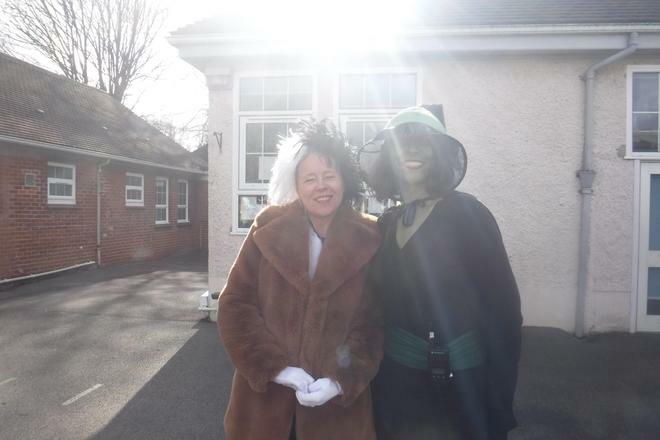 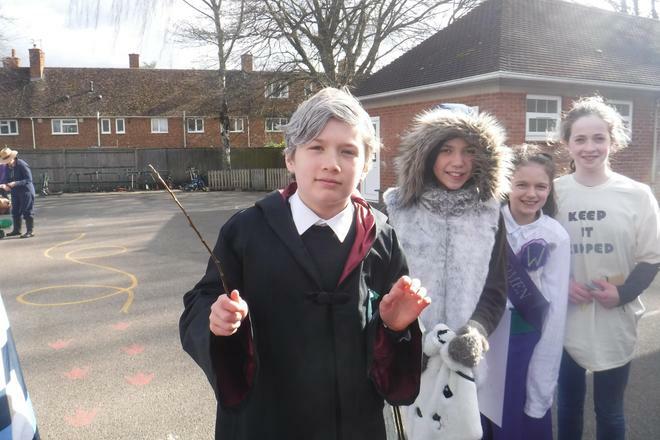 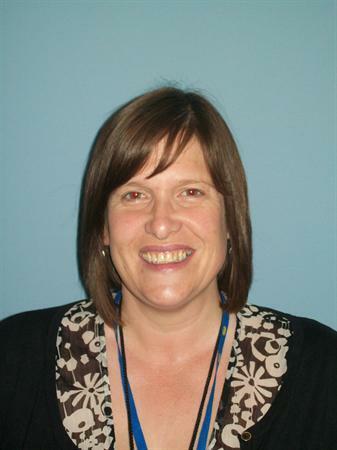 In Year 6 we had Boggis and Bean (Bunce was in Year 5) from Fantastic Mr Fox; Cruella de Vil and The Wicked Witch of the West! 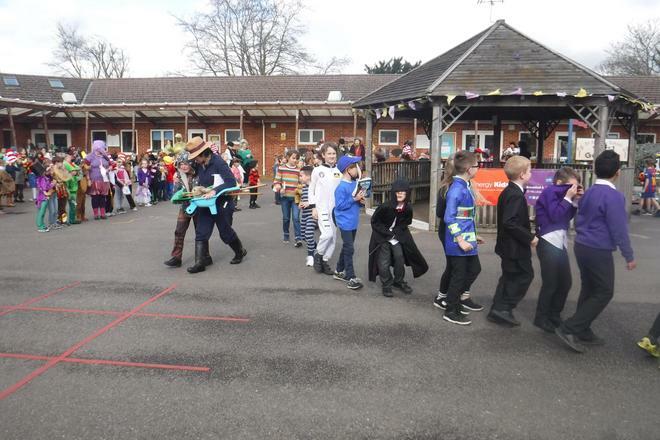 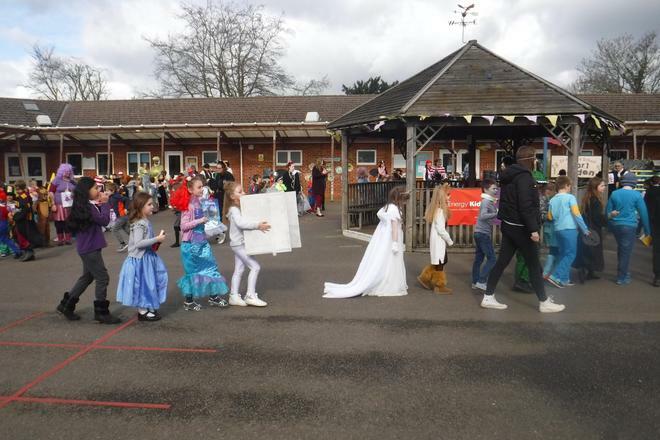 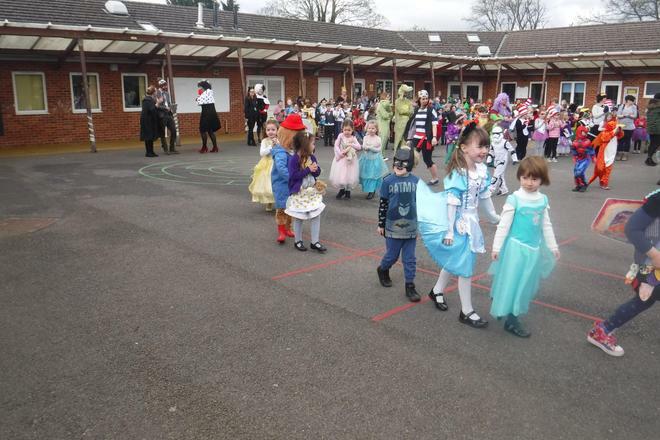 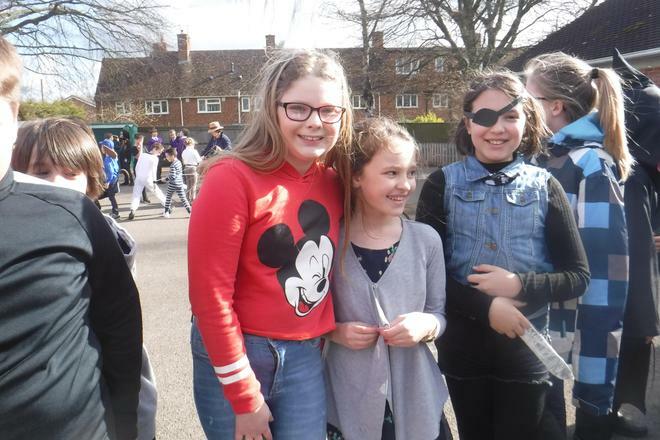 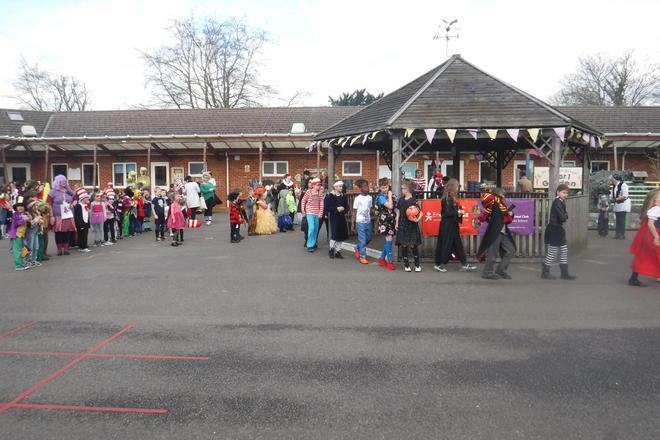 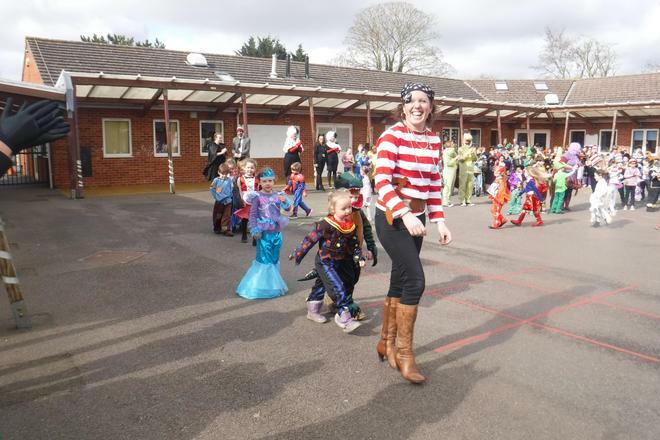 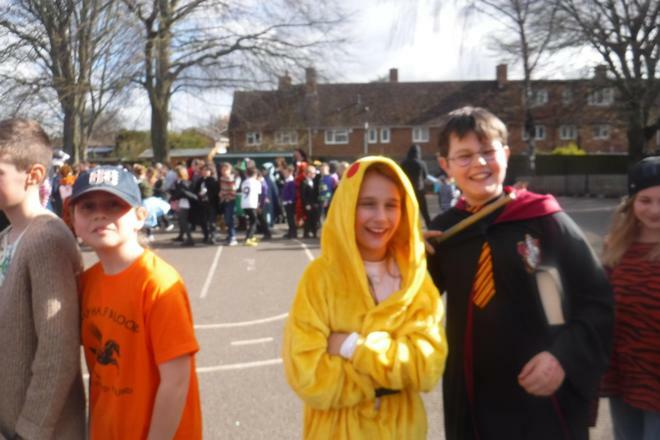 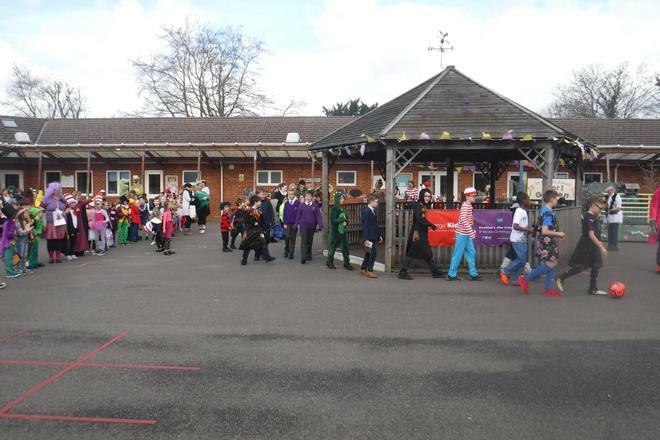 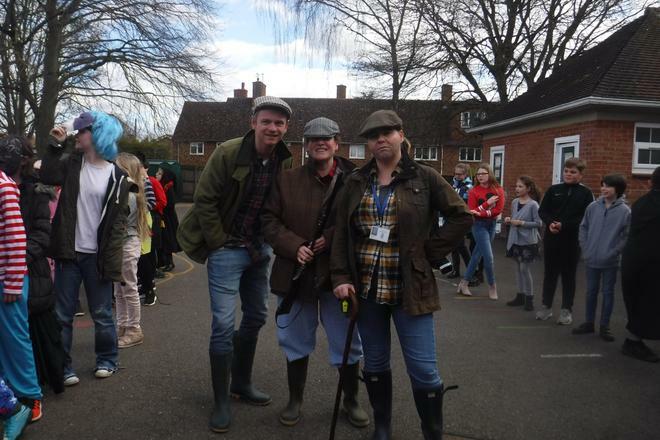 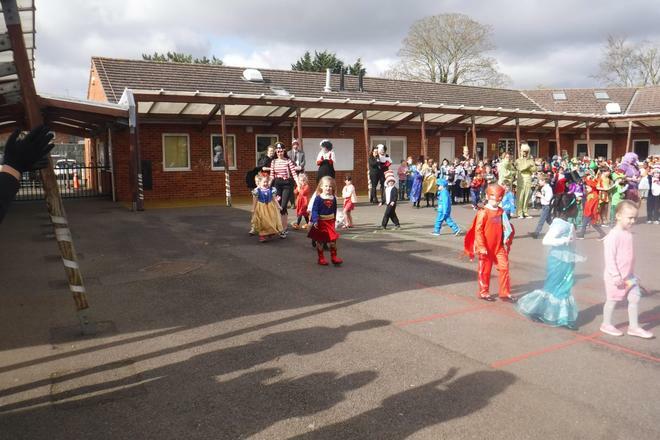 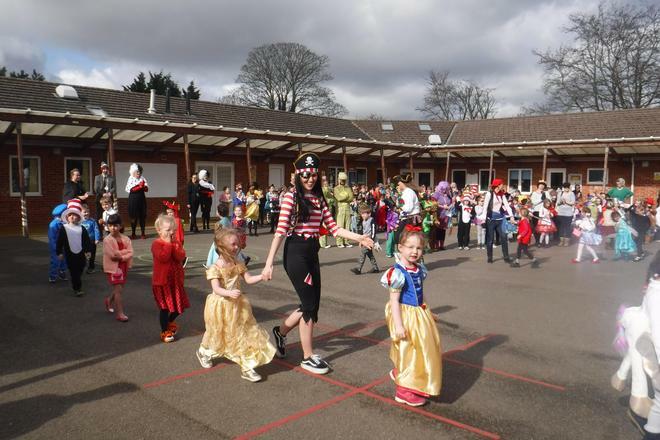 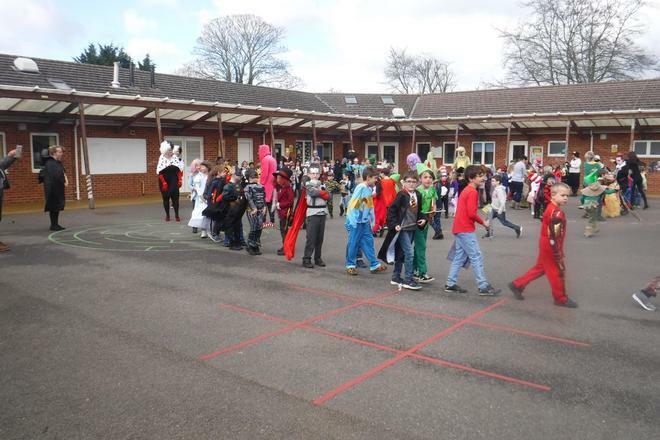 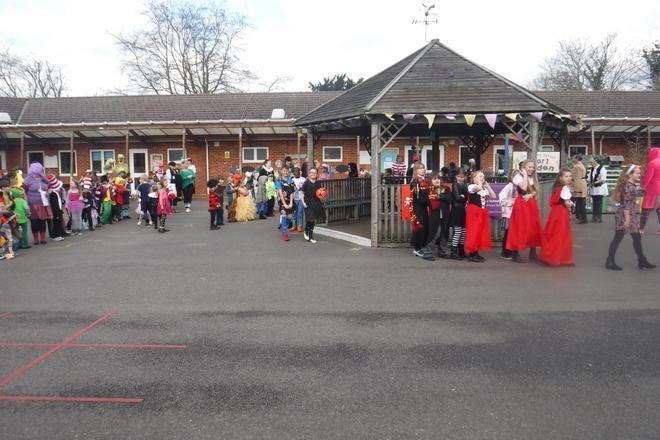 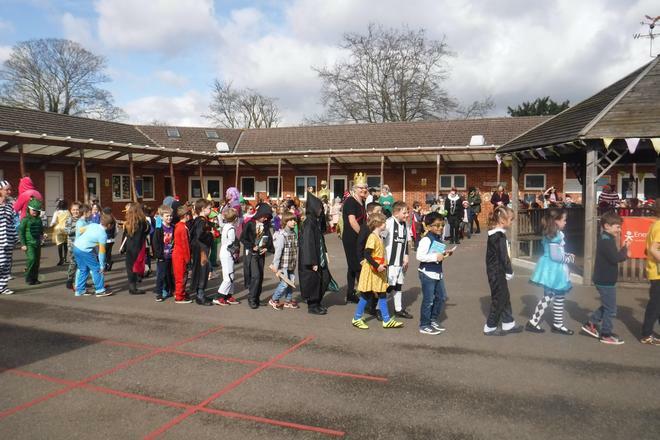 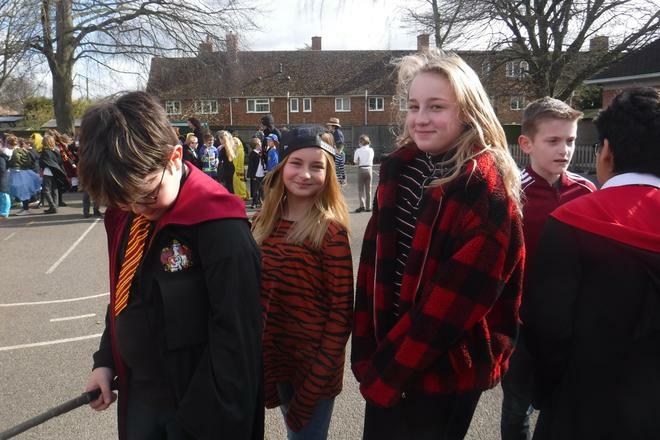 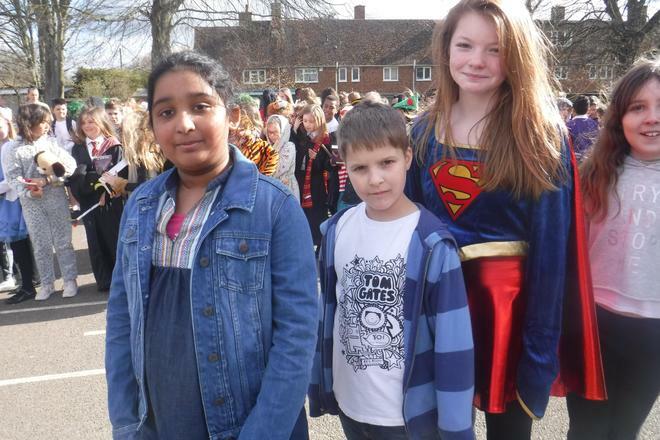 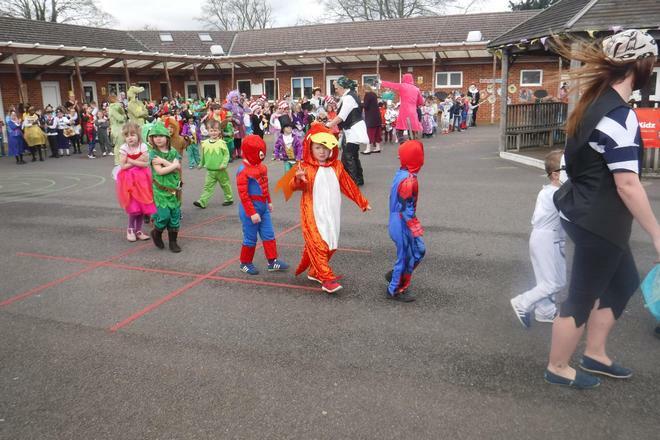 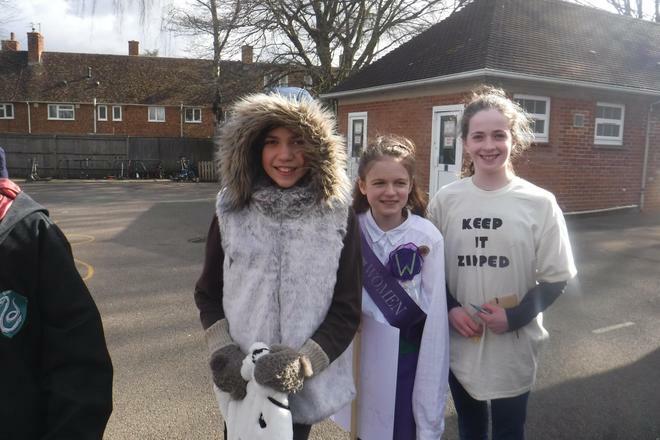 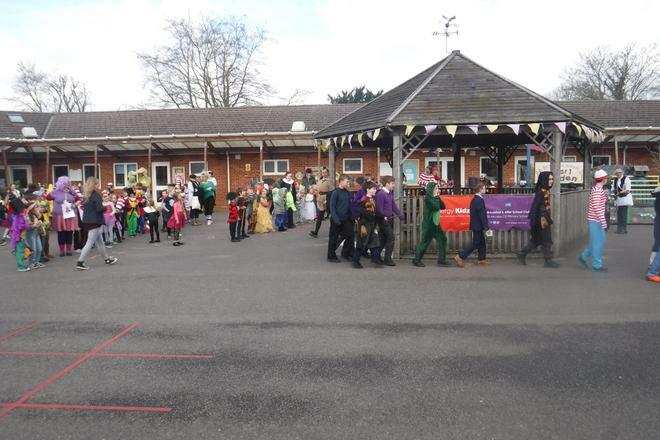 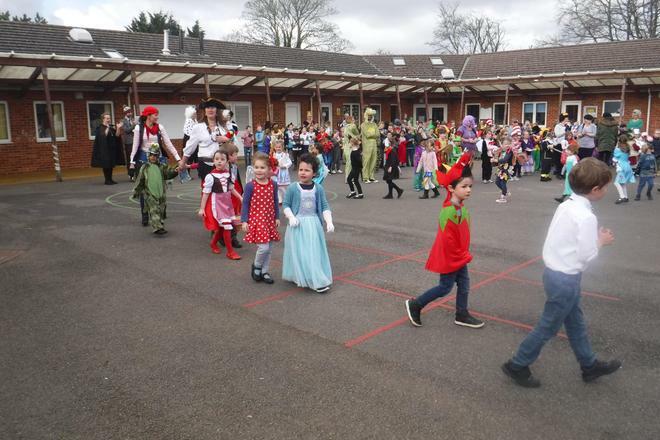 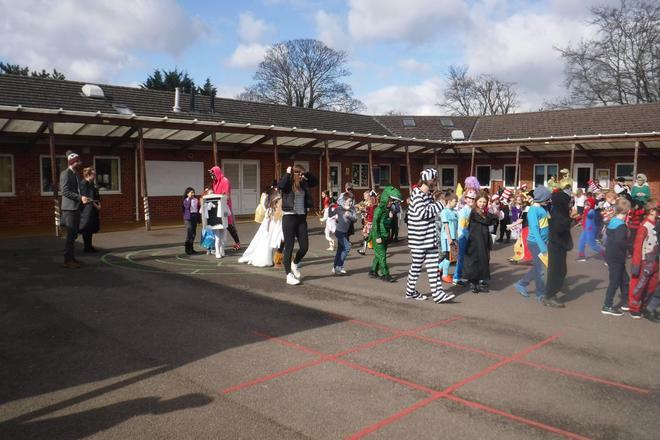 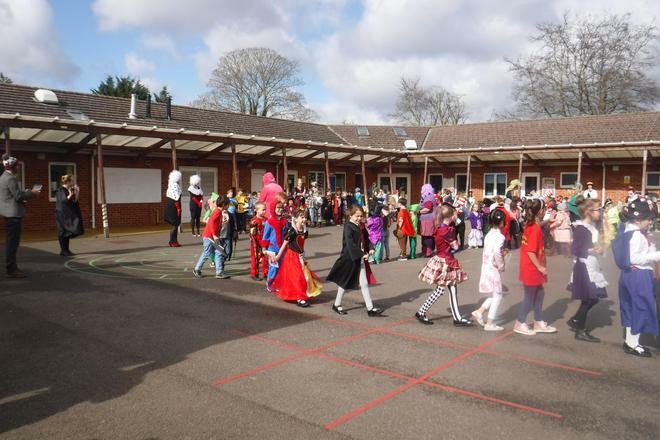 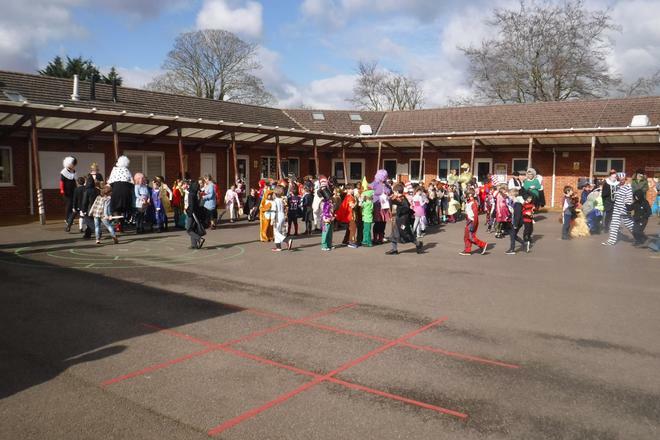 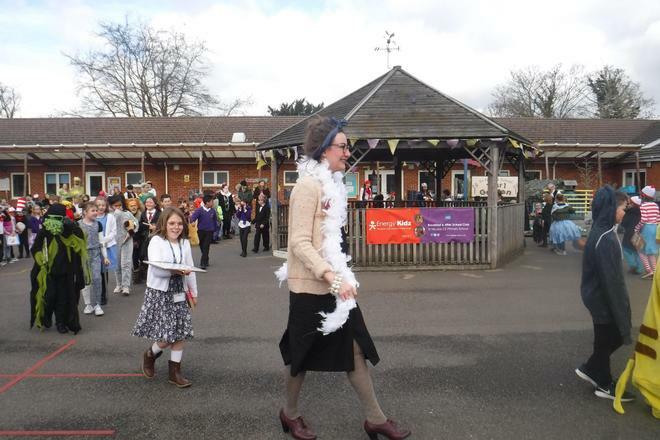 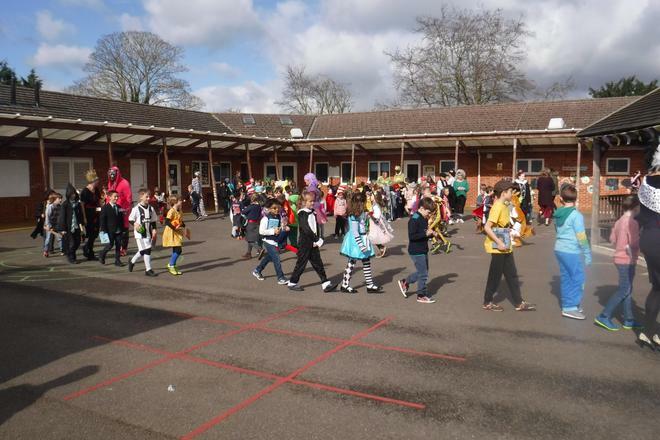 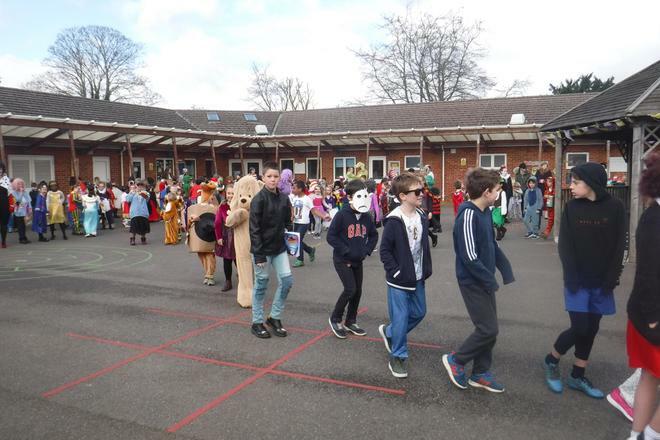 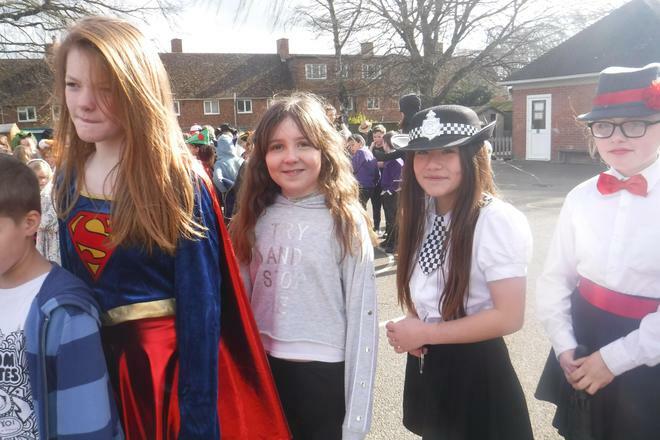 The whole school took part in a parade in the sunshine so that we could all share in the brilliant outfits. 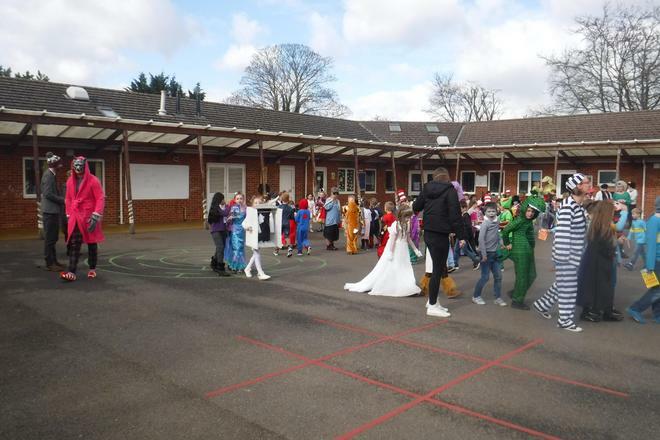 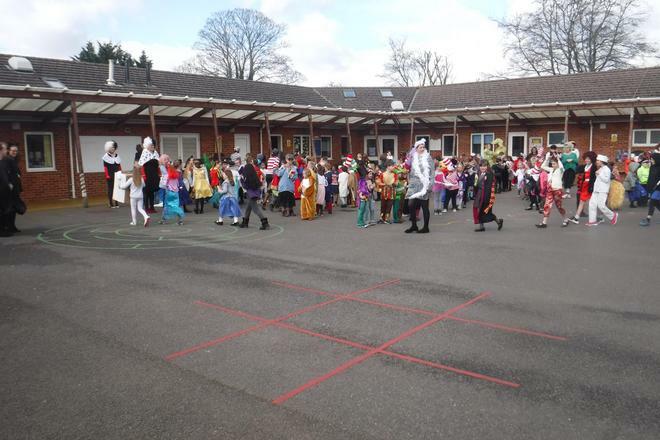 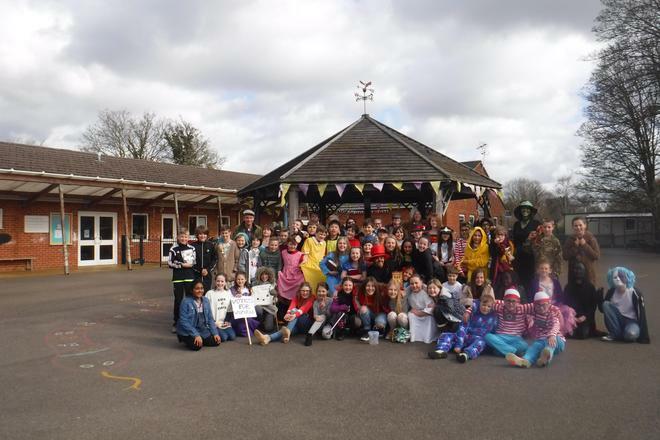 Classes 13 & 14 took class pictures and a year group one to mark their final World Book Day at St. Nicolas! 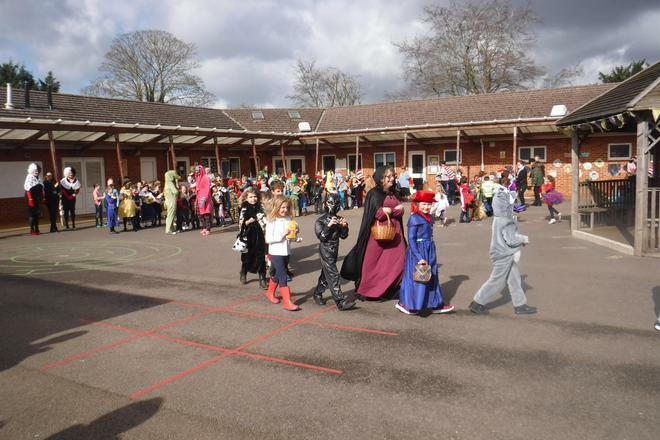 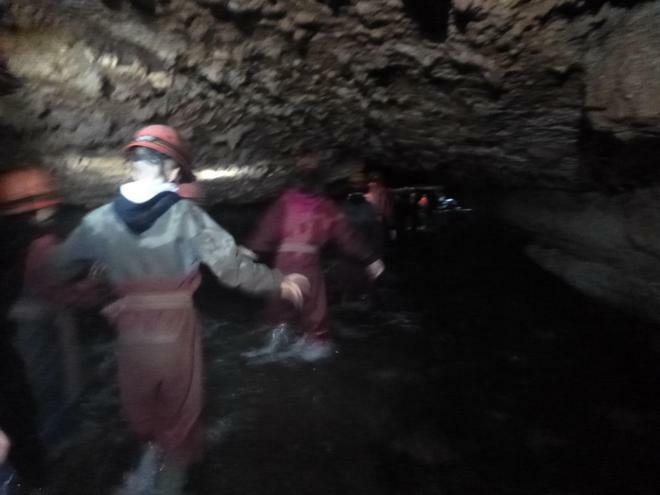 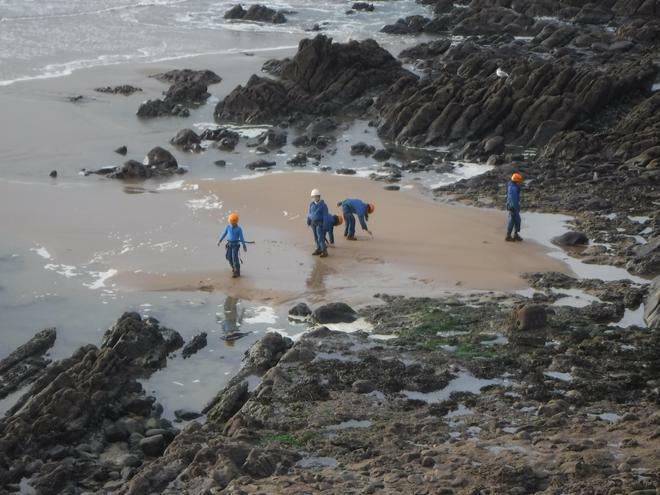 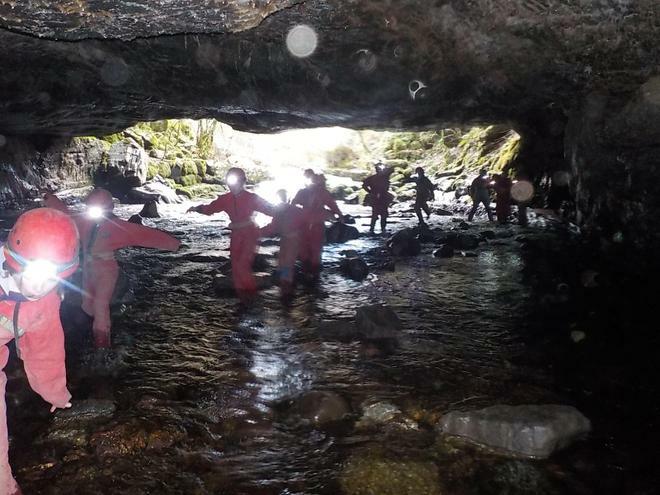 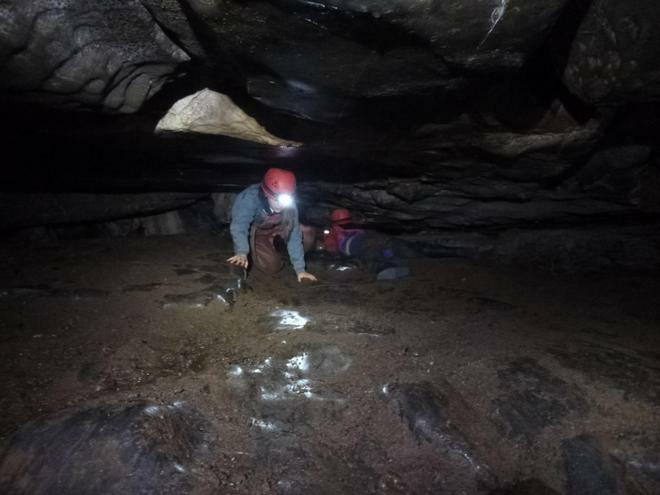 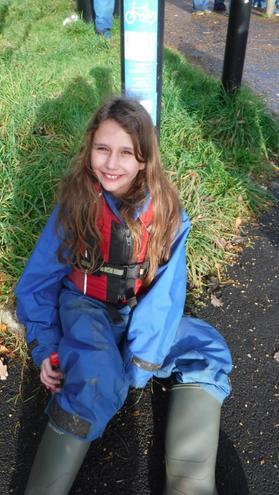 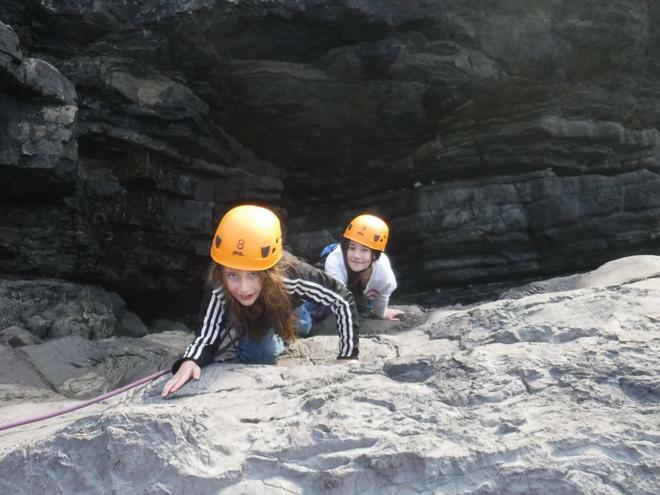 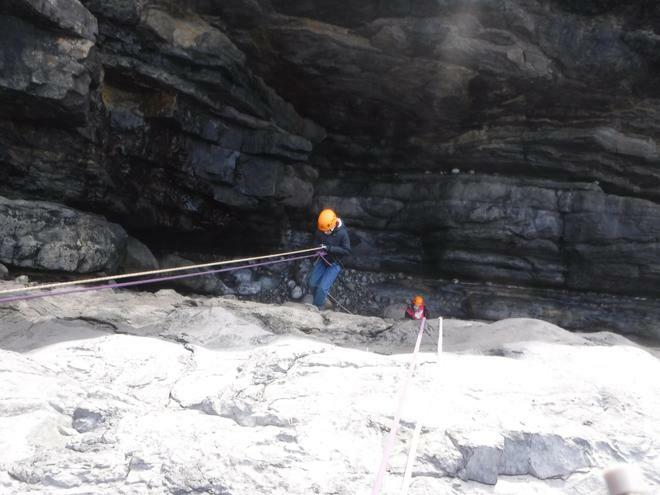 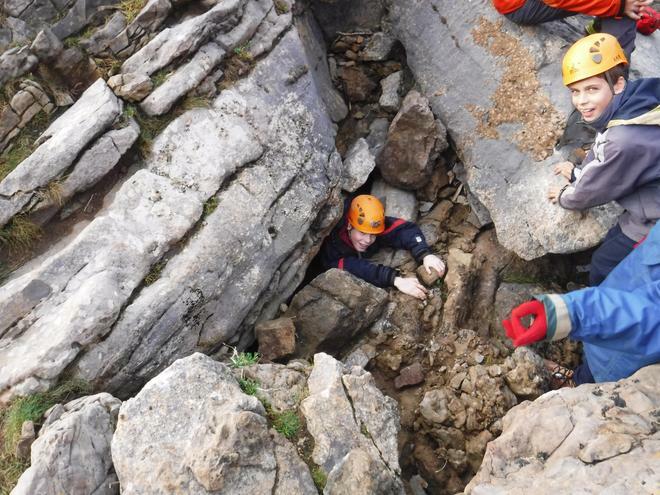 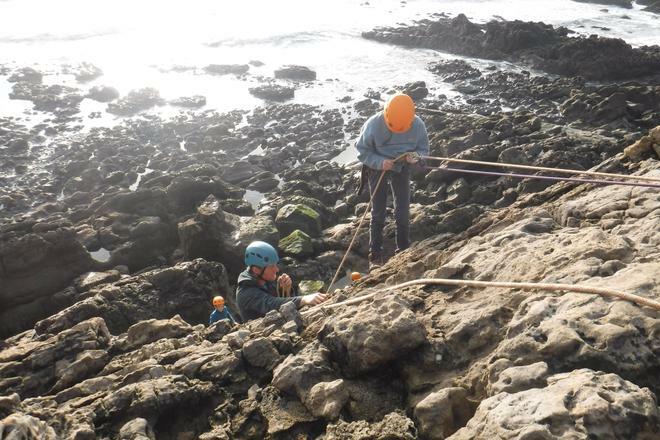 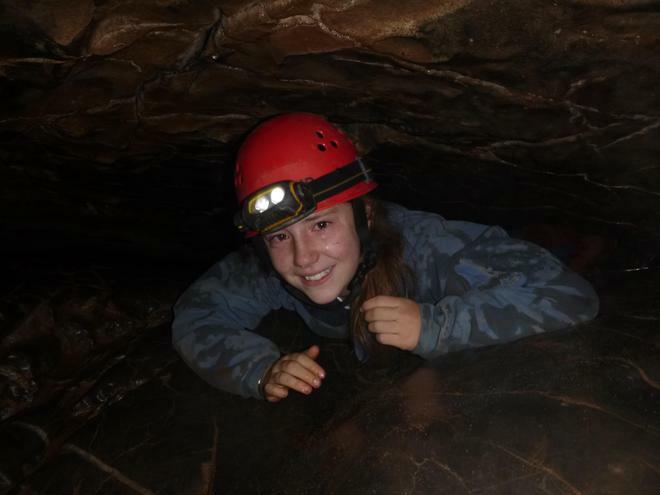 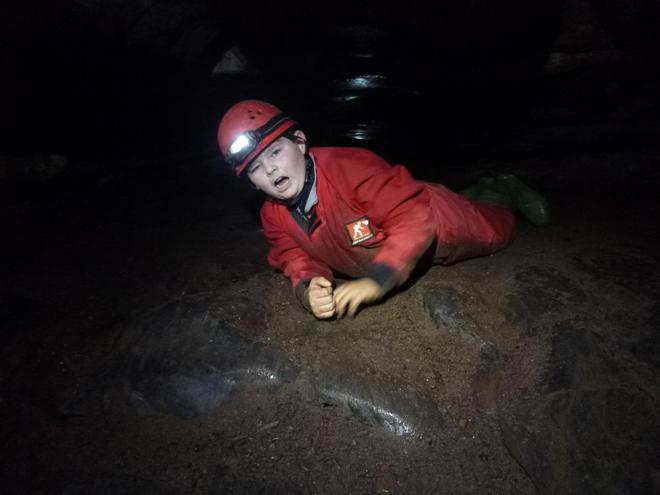 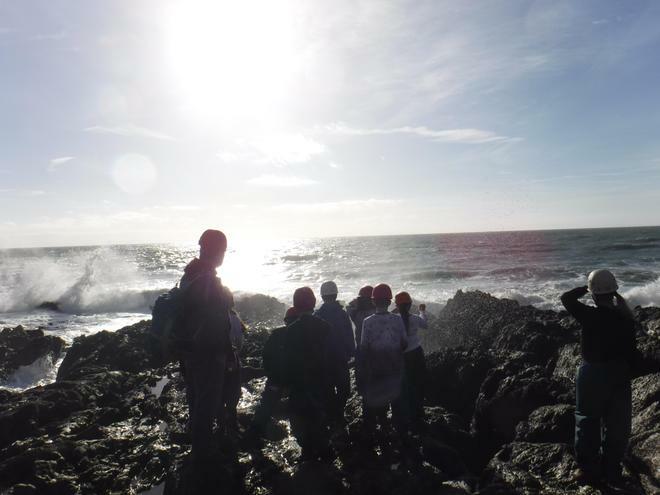 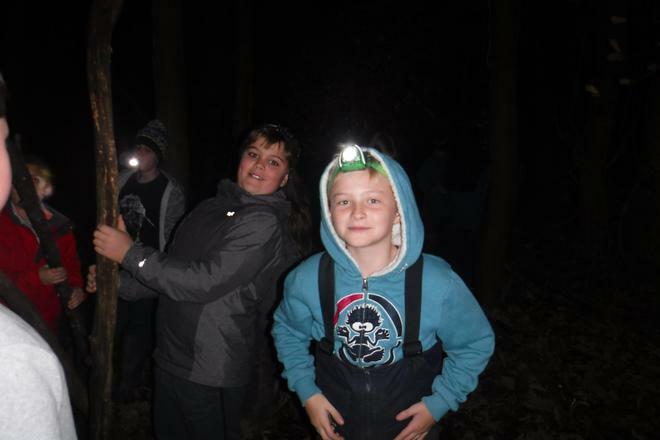 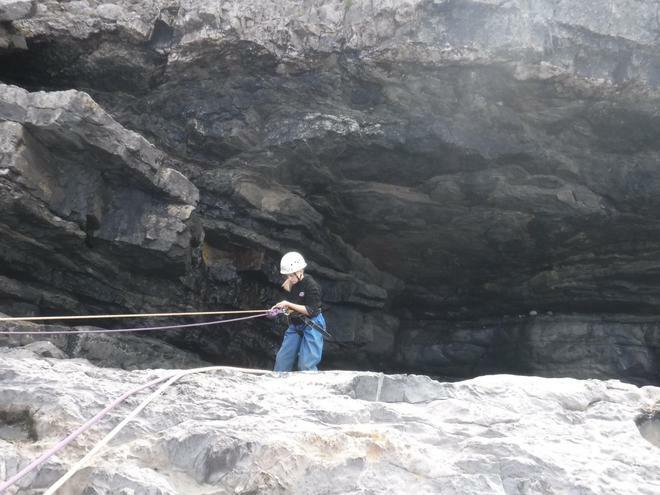 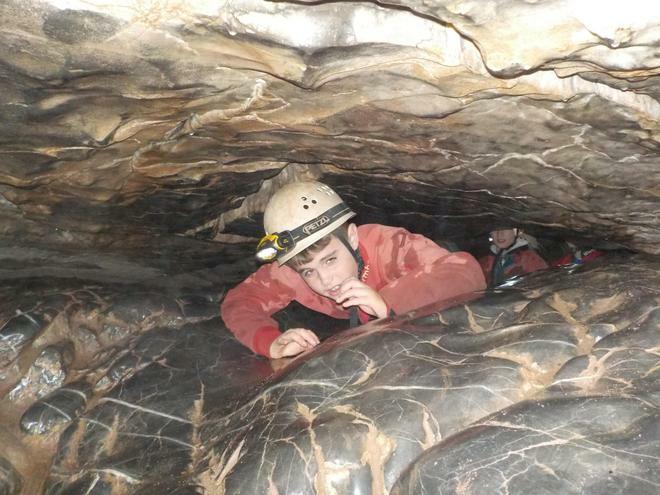 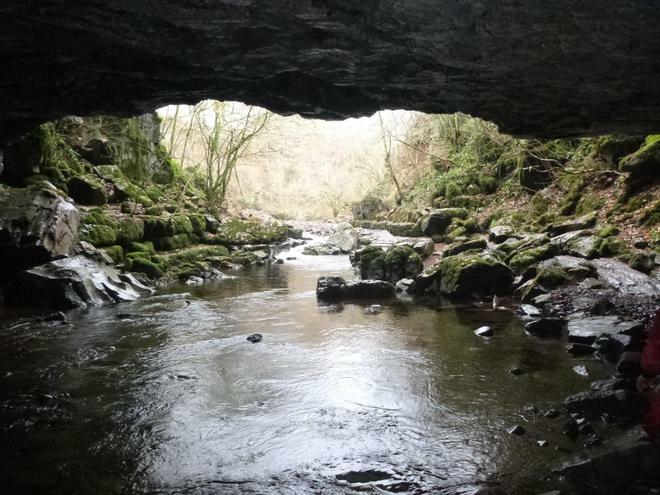 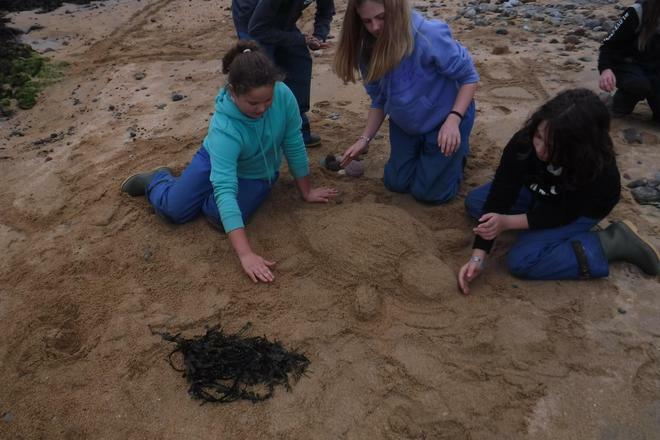 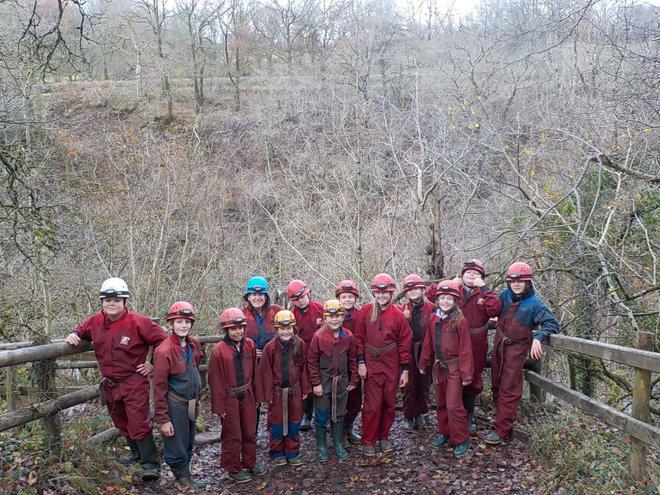 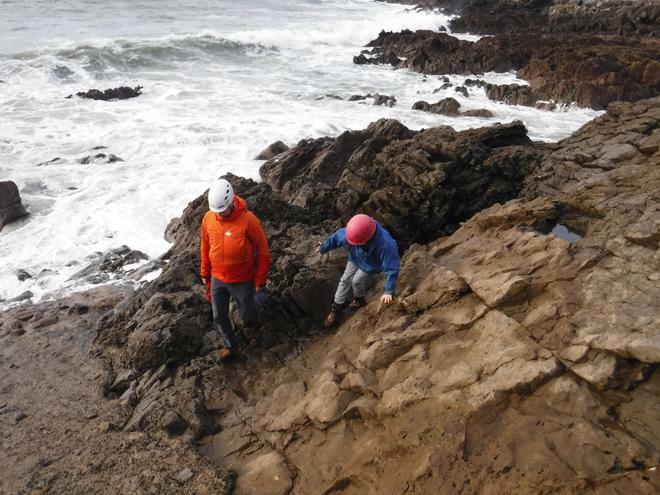 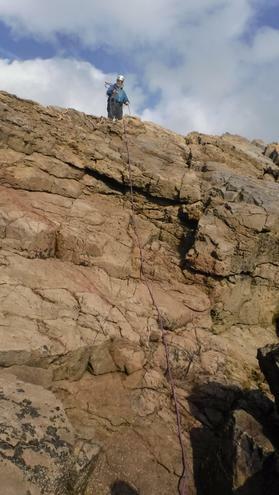 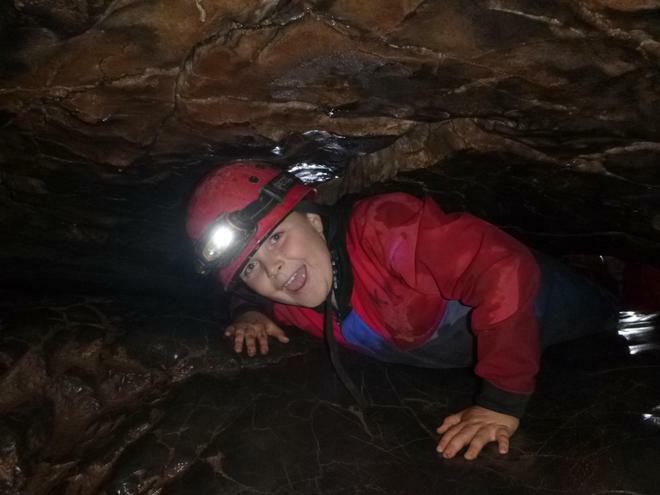 Take a look at the slideshow of some of the pictures! 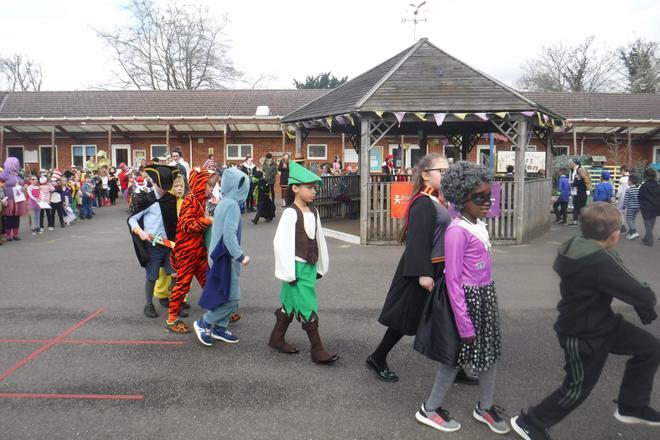 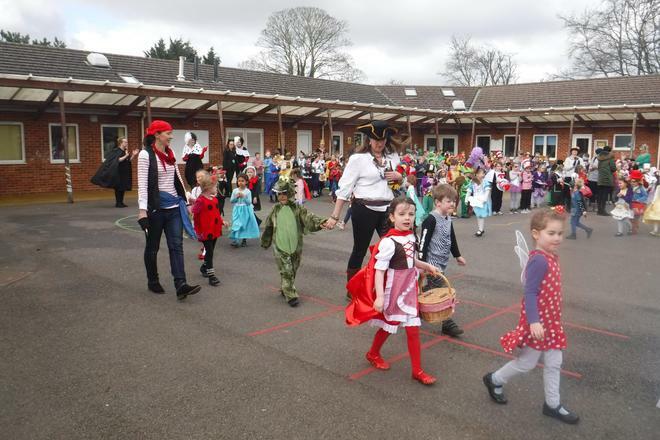 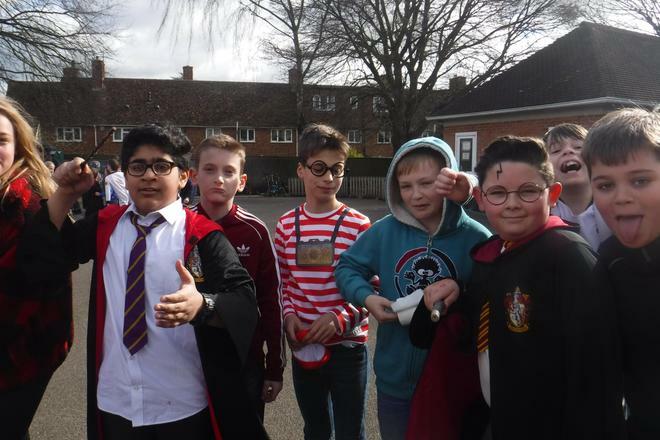 World Book Day 2019 takes place on Thursday 7th March. 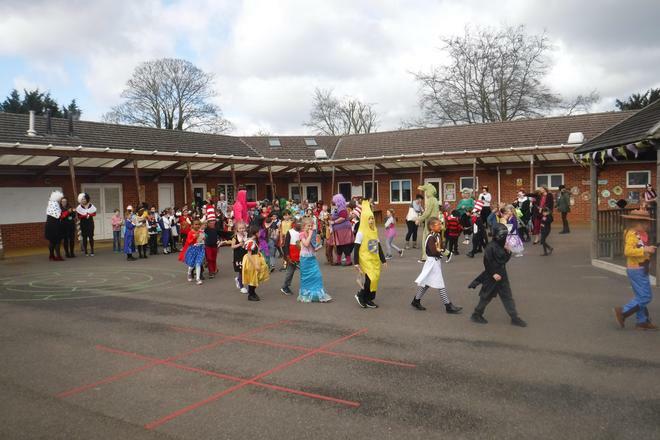 We're all looking forward to seeing the fantastic outfits and costumes that the children will be wearing. 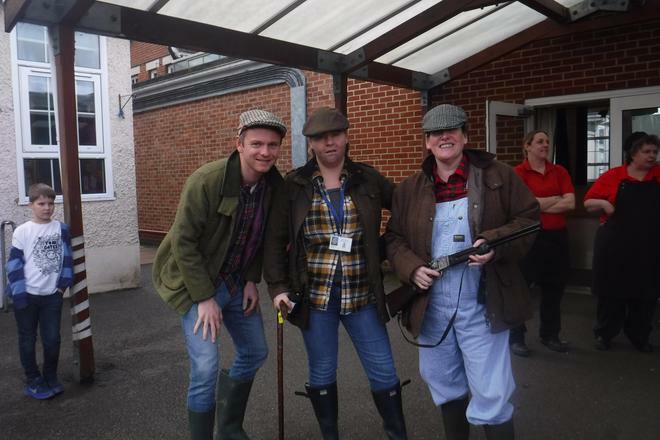 I wonder if they'll manage to guess the staff theme this year! 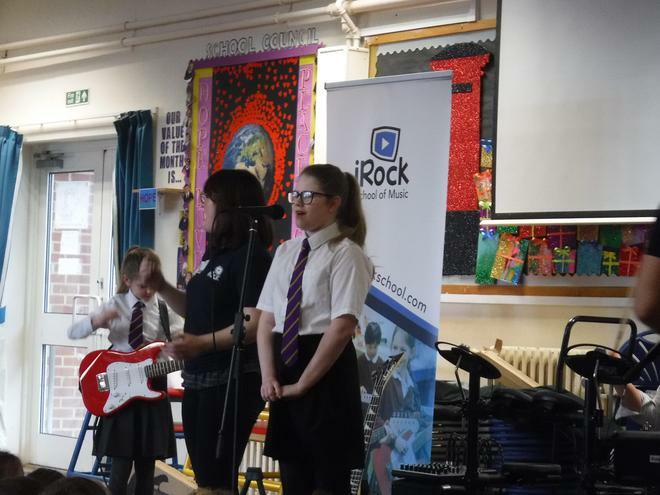 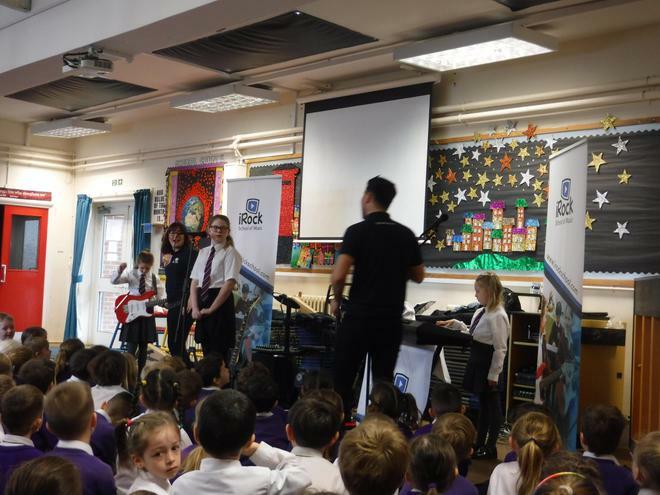 iRock visited school this morning for our Monday morning assembly. 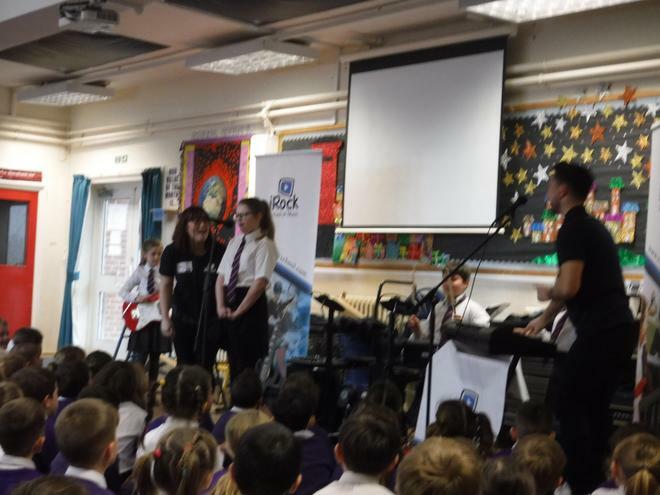 Two members of Class 14 made it into the newest rock band. 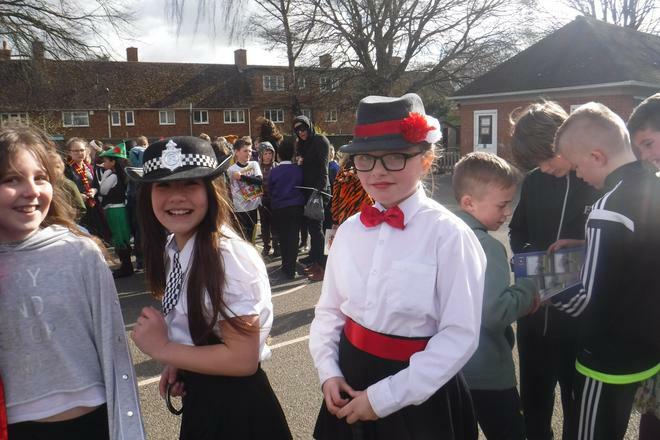 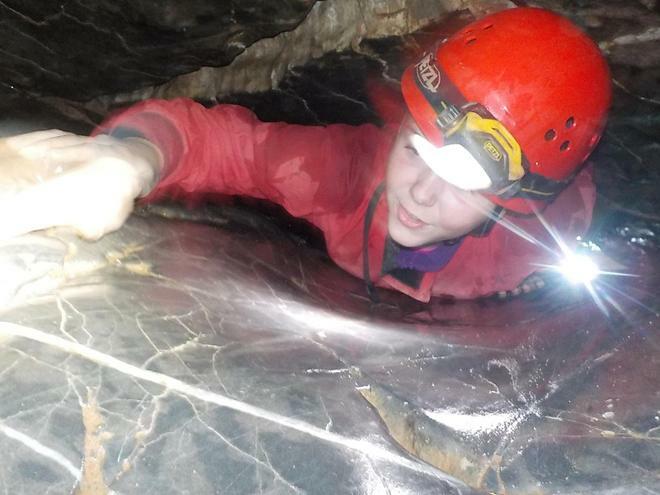 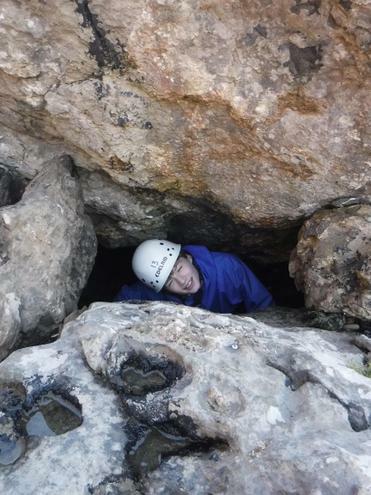 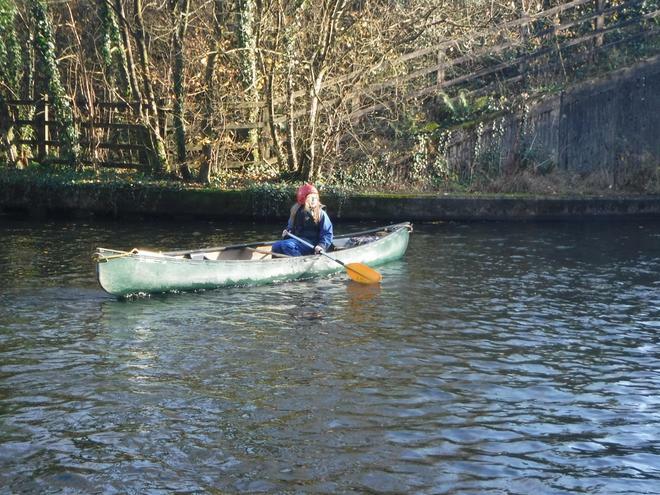 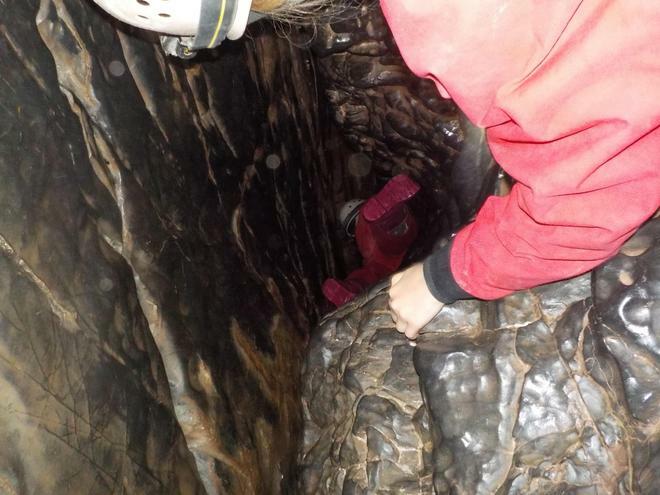 They showed amazing talent and confidence - well done Emily and Lee! 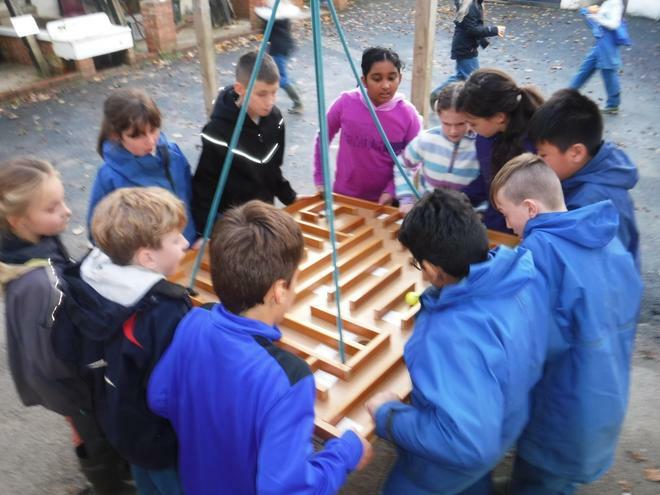 Welcome back to Term 4. 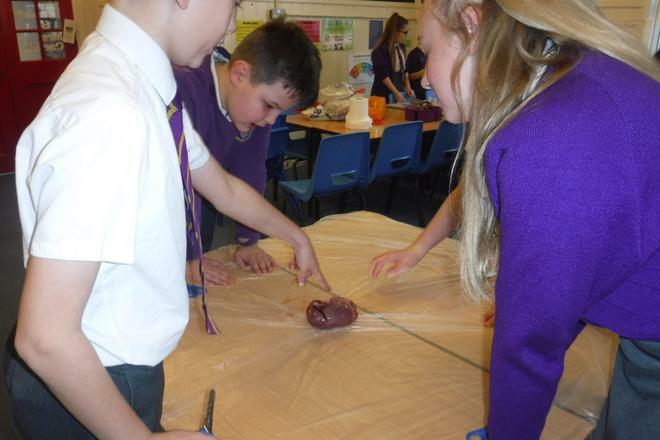 We will be continuing our topic of Blood Heart and finishing our book 'Pig Heart Boy' - we're all busy predicting what might happen next! 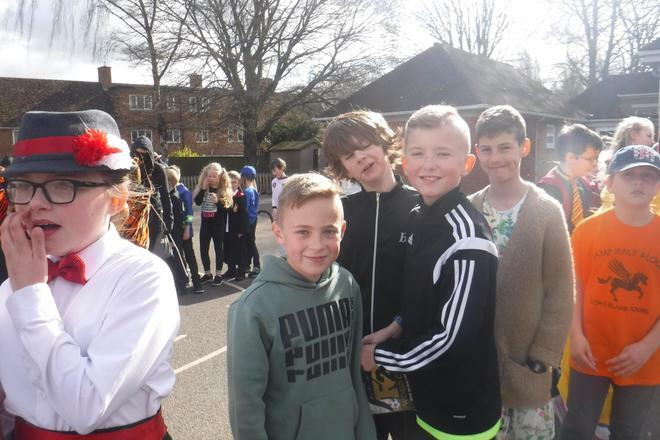 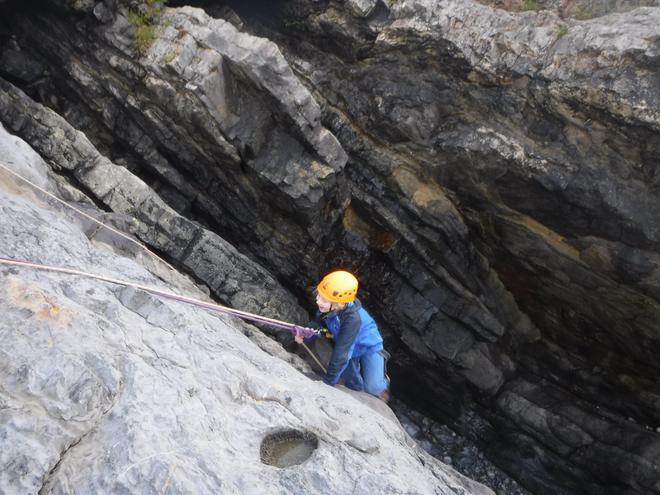 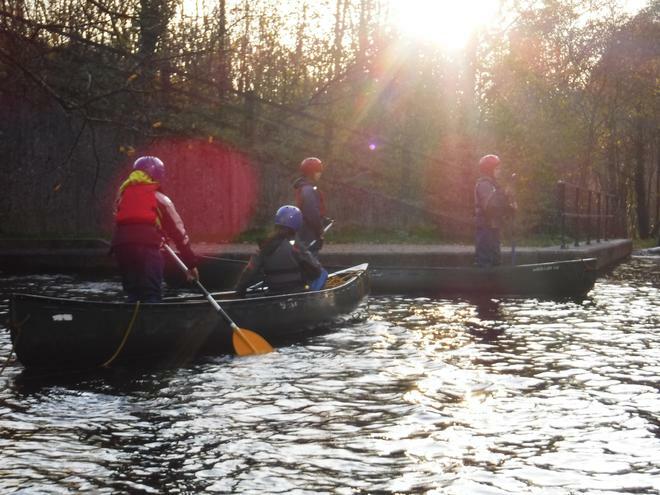 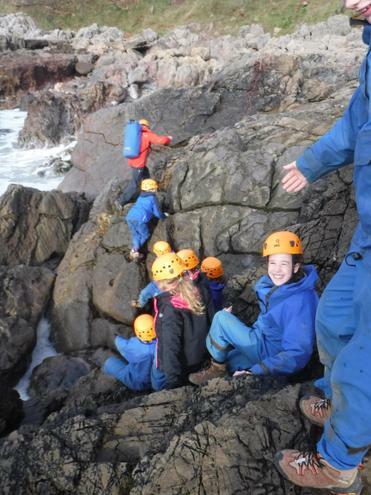 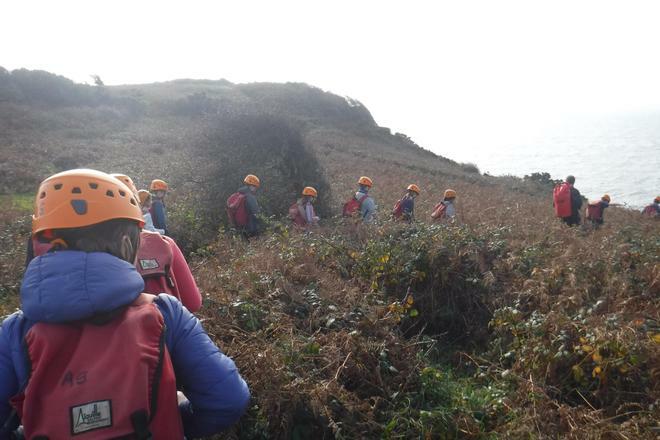 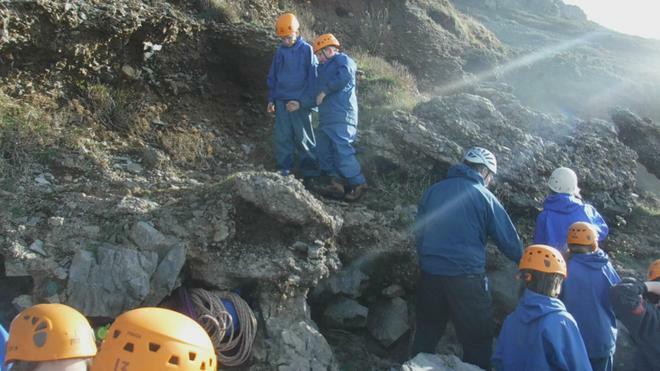 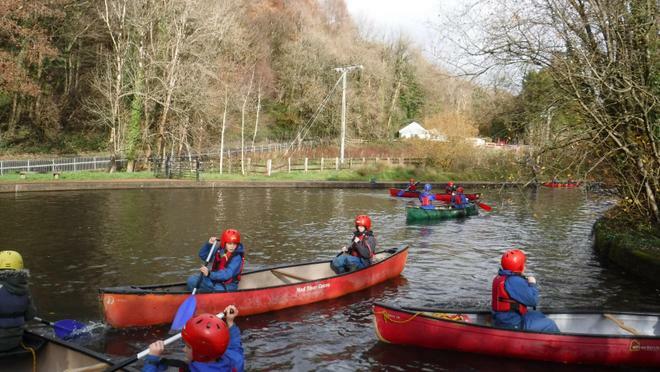 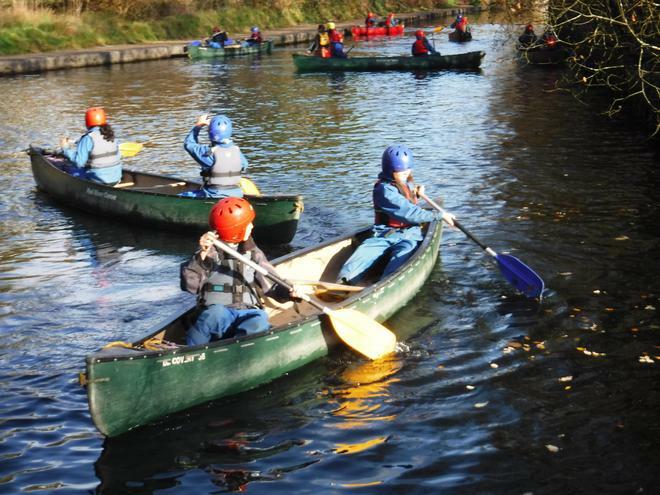 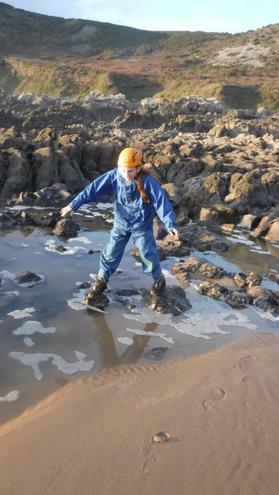 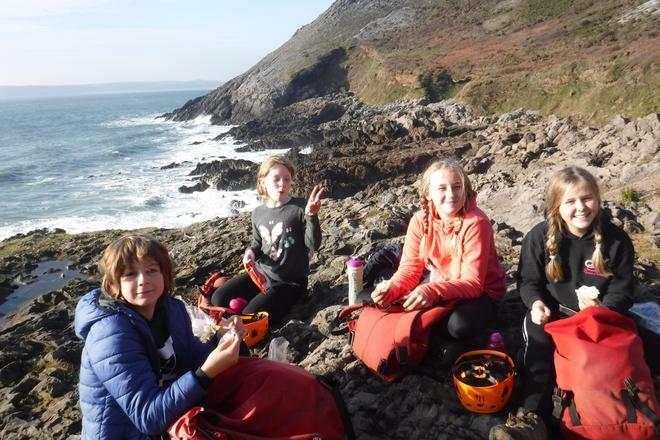 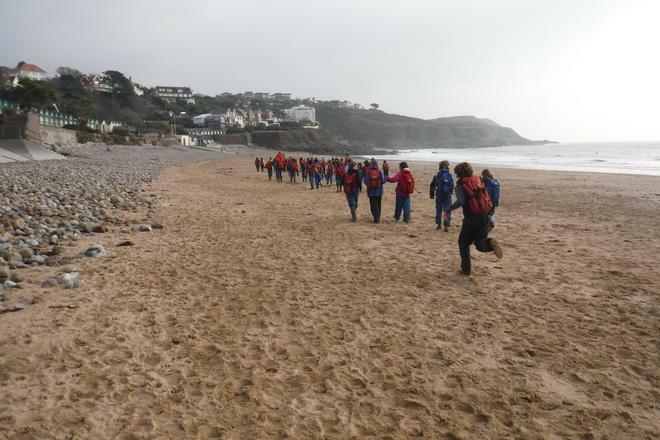 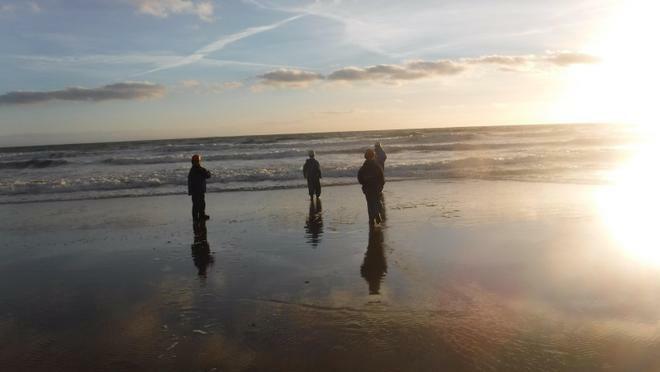 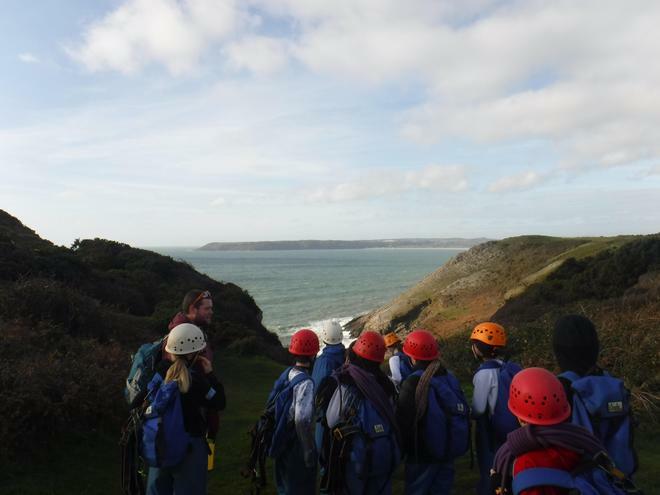 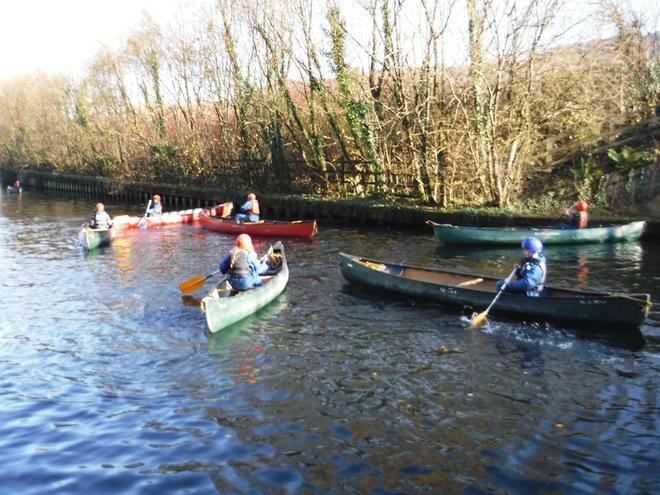 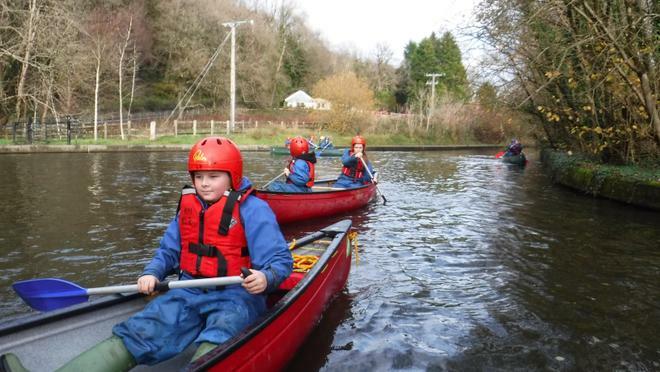 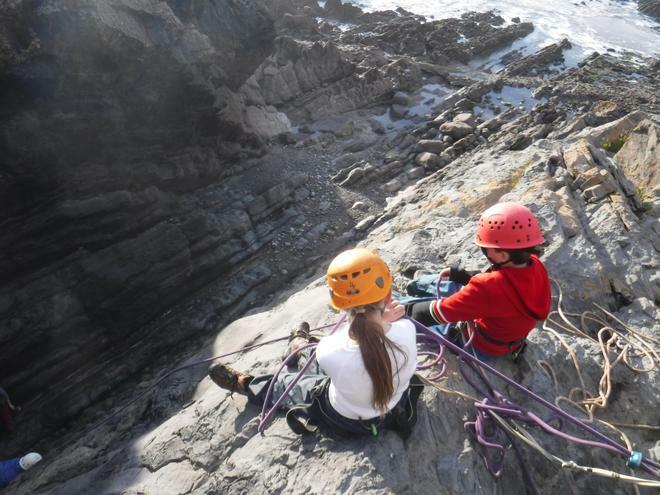 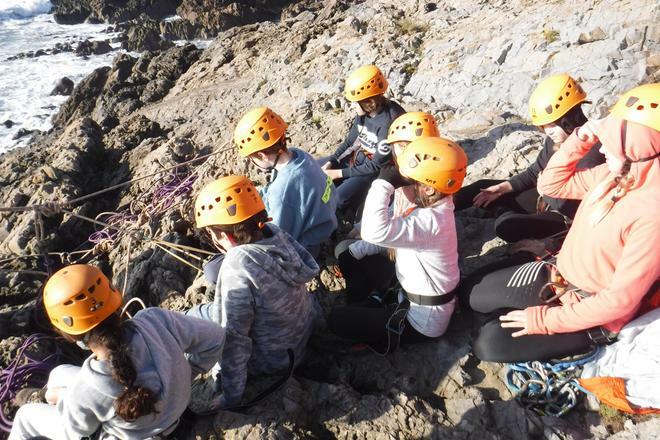 It'll be another busy term but we're looking forward to some lighter mornings and Spring weather. 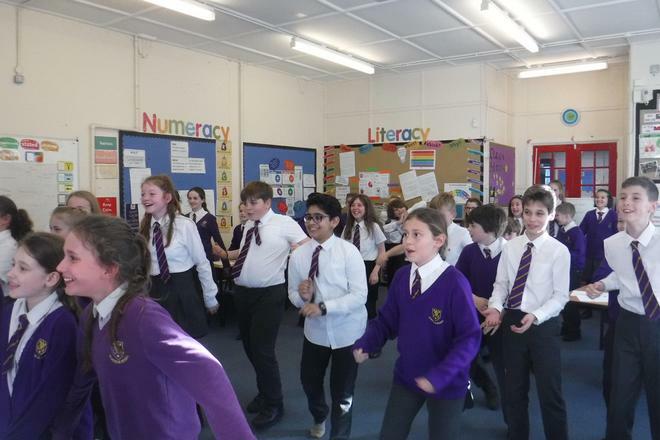 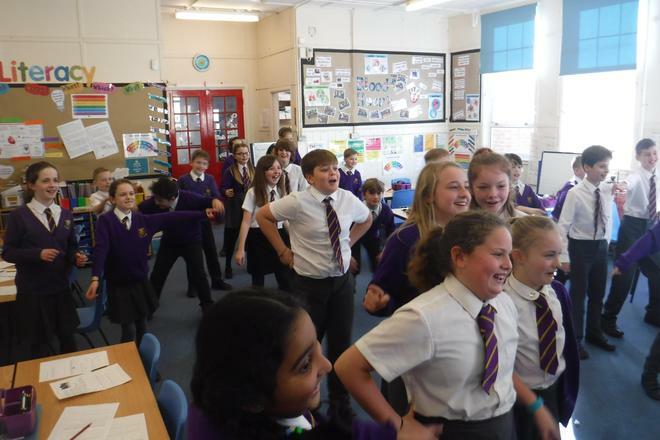 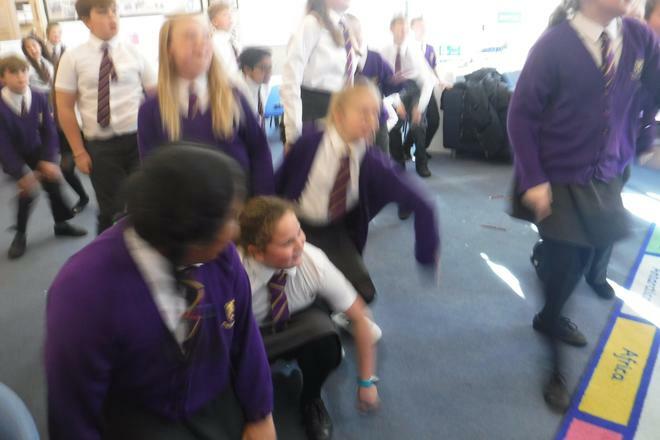 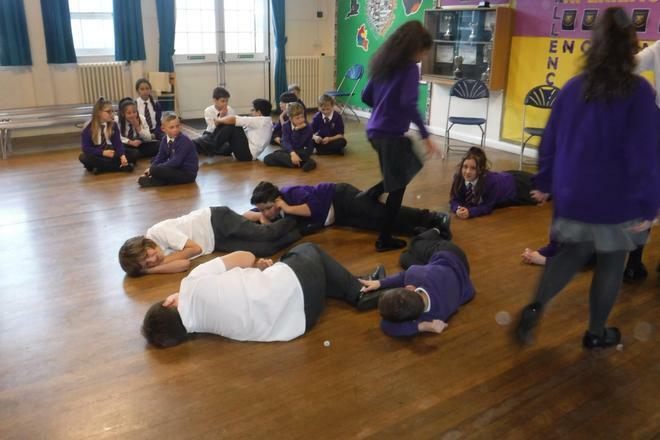 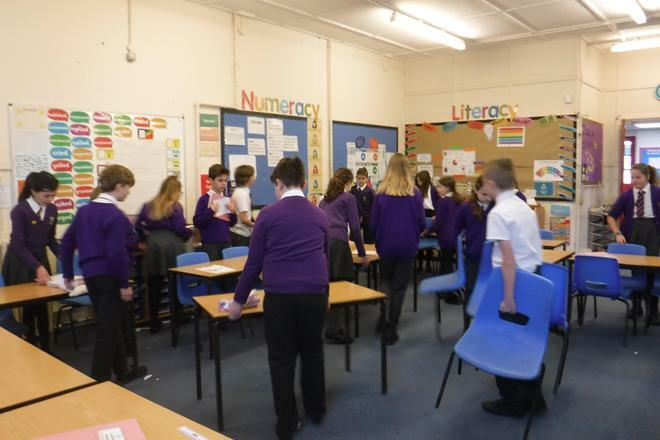 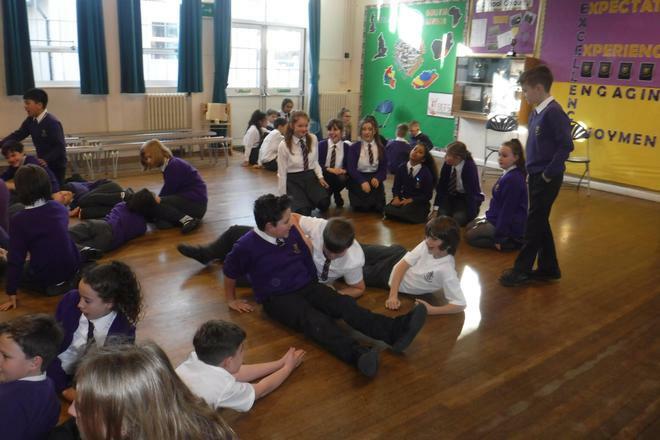 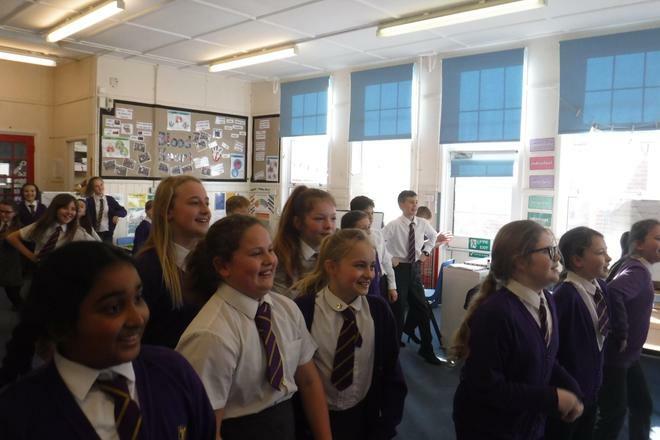 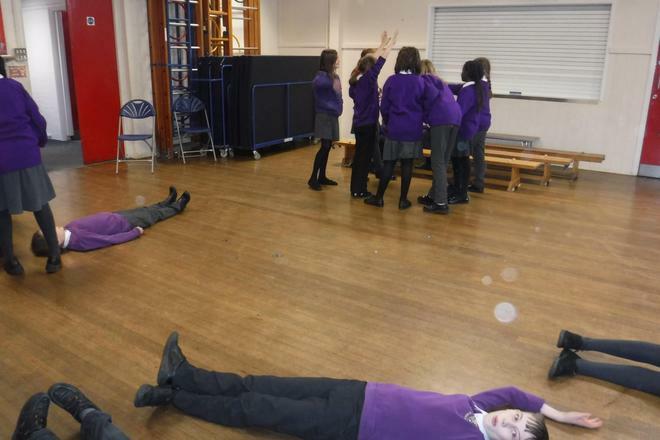 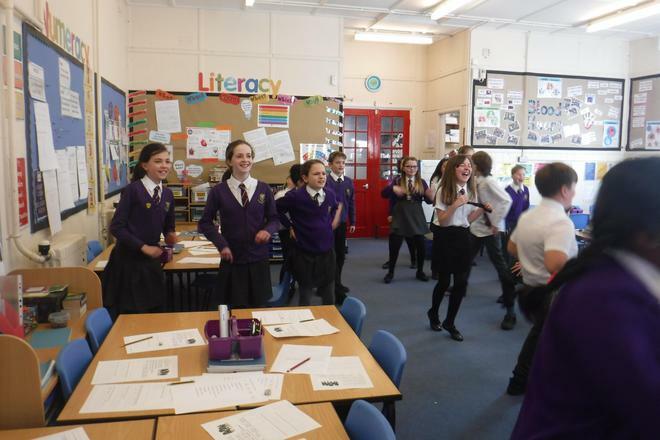 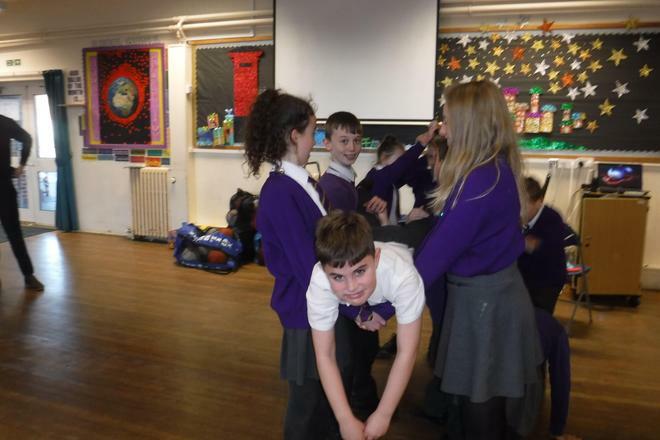 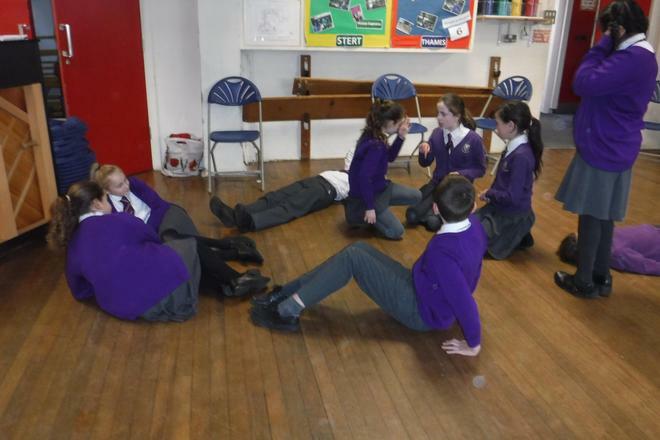 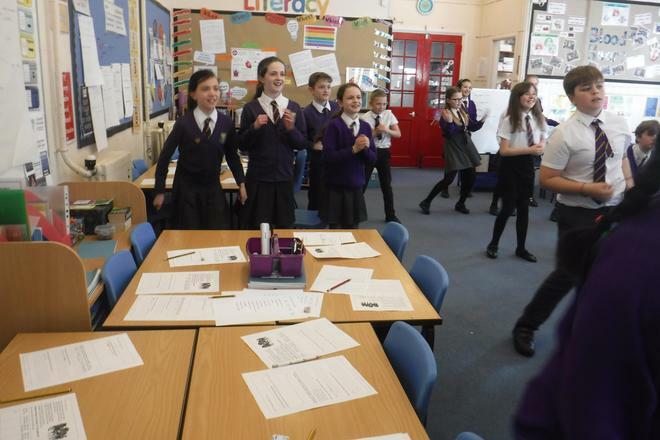 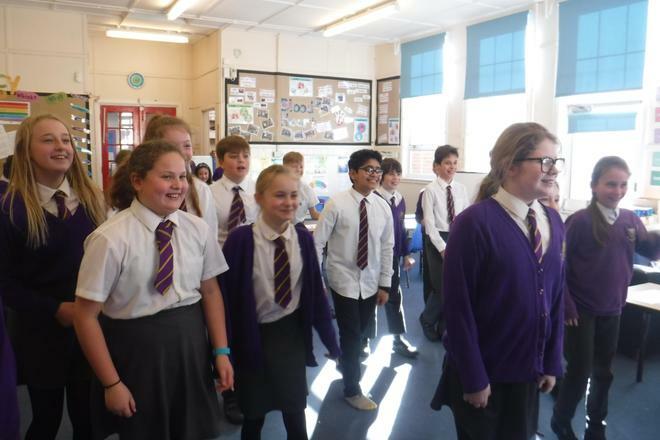 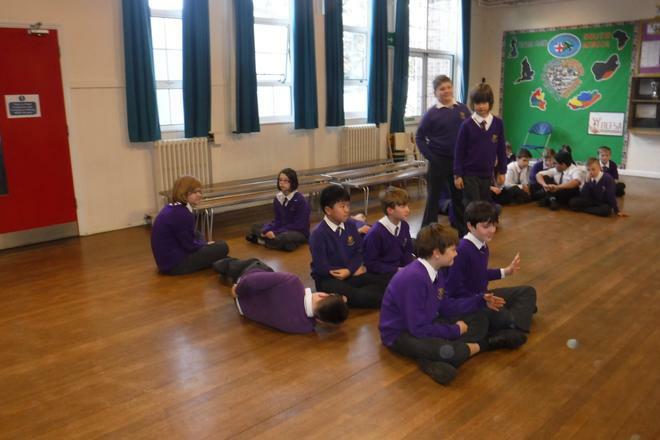 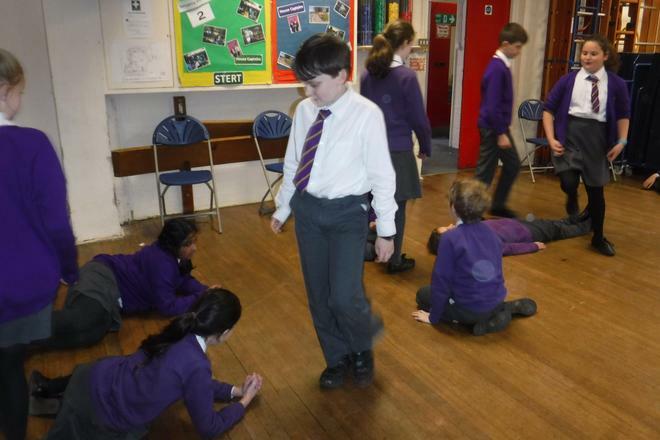 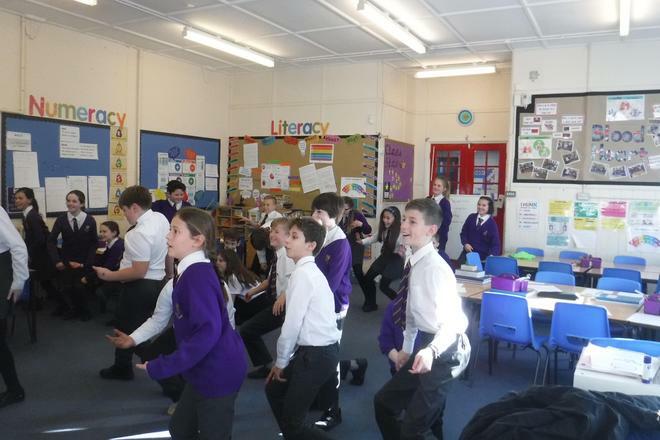 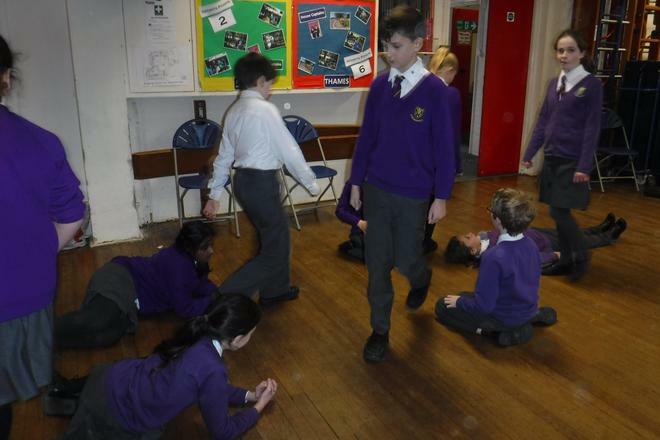 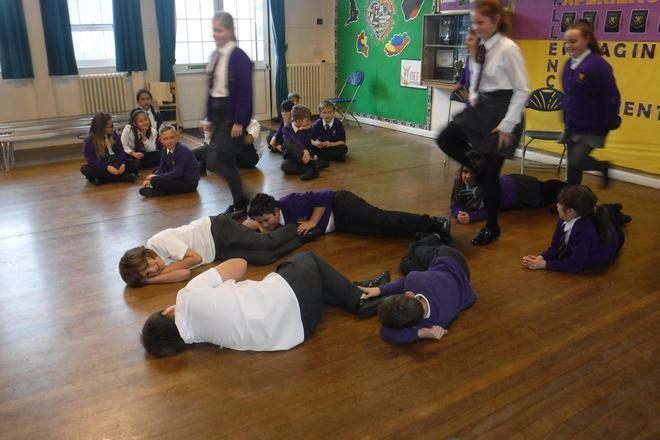 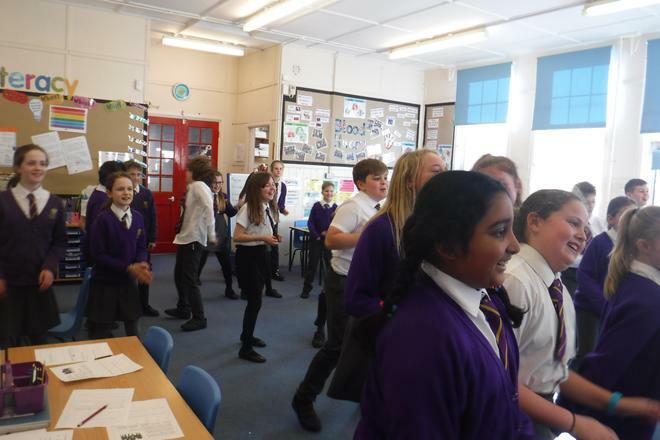 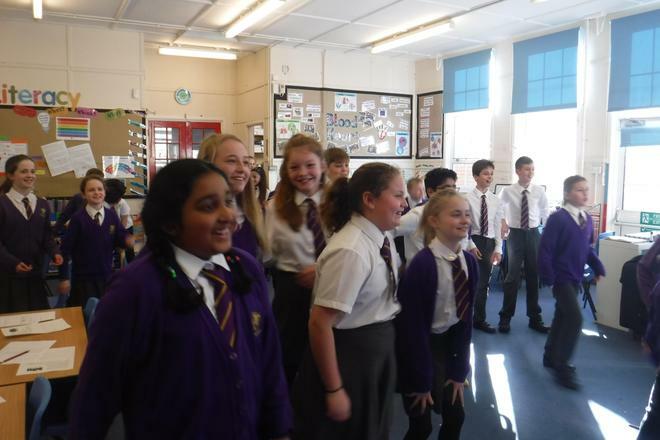 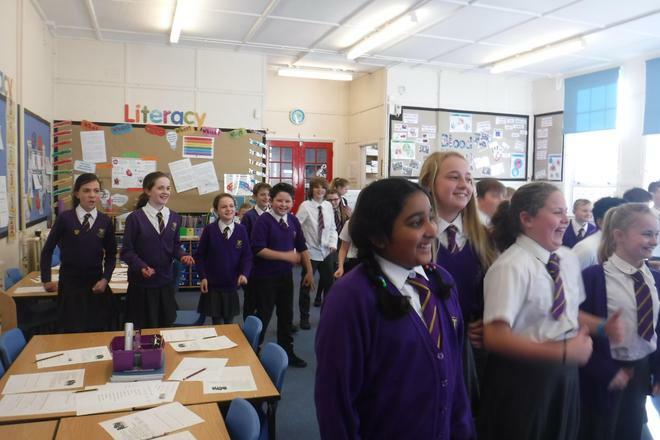 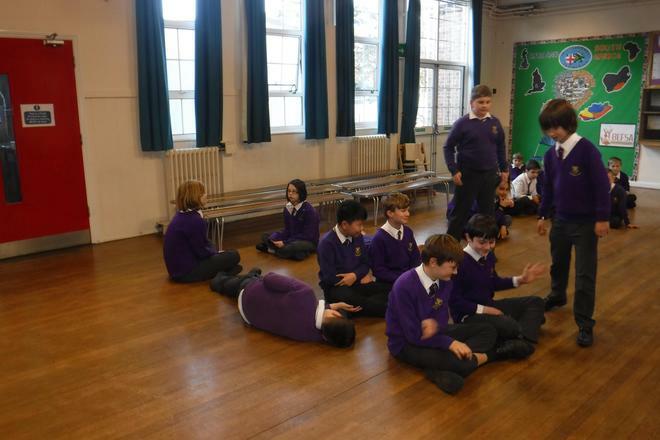 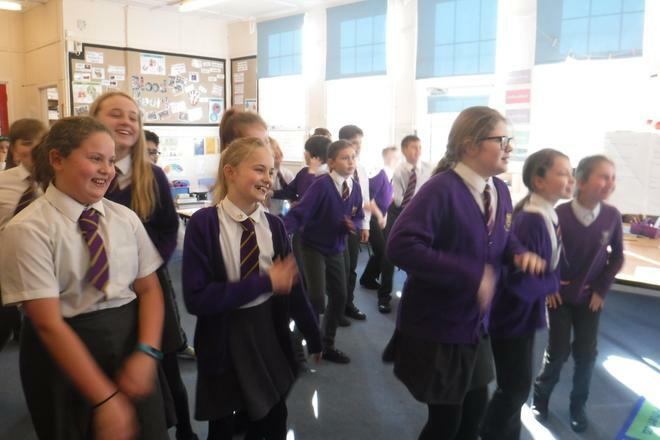 We investigated changes in heart rate by taking our resting heart rate and then having a bit of a dance! 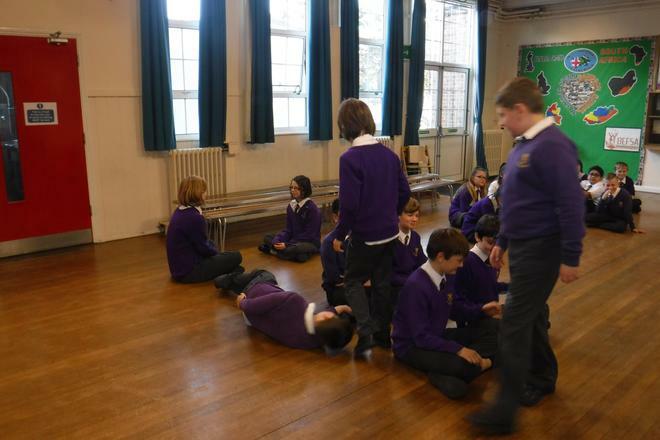 We took our pulses again aterwards and then after a minute, two minutes and three minutes. 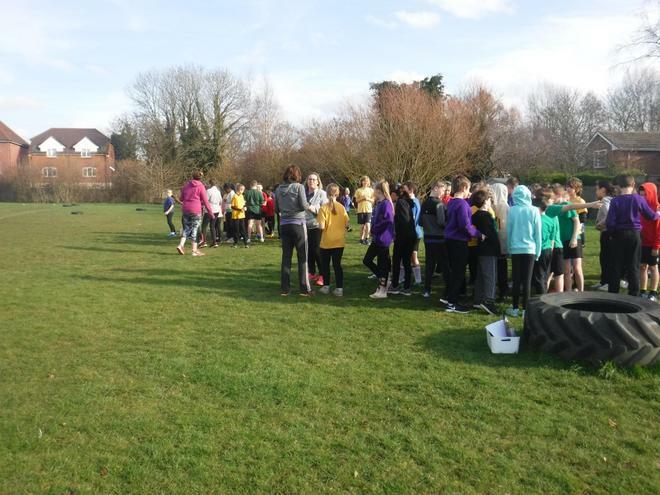 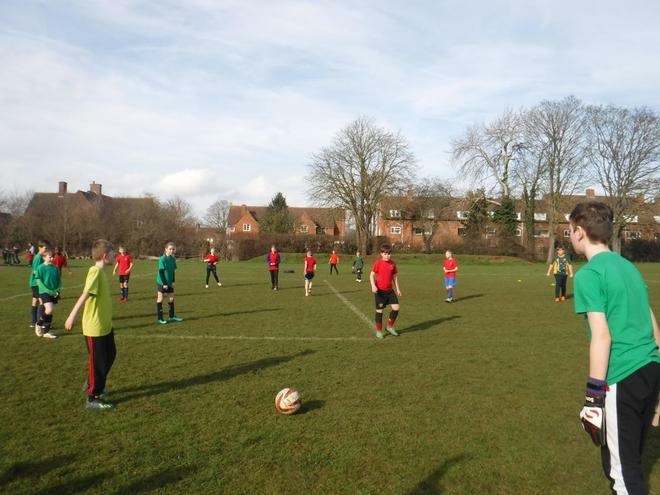 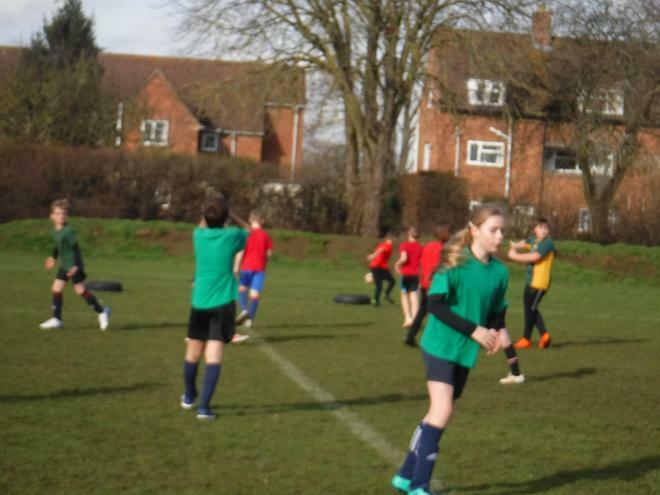 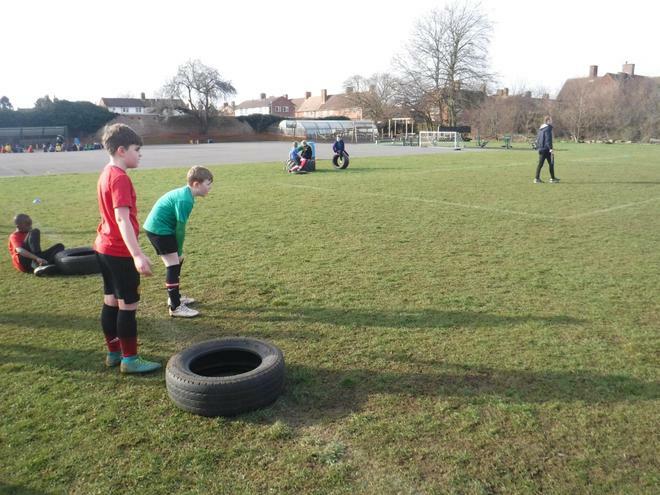 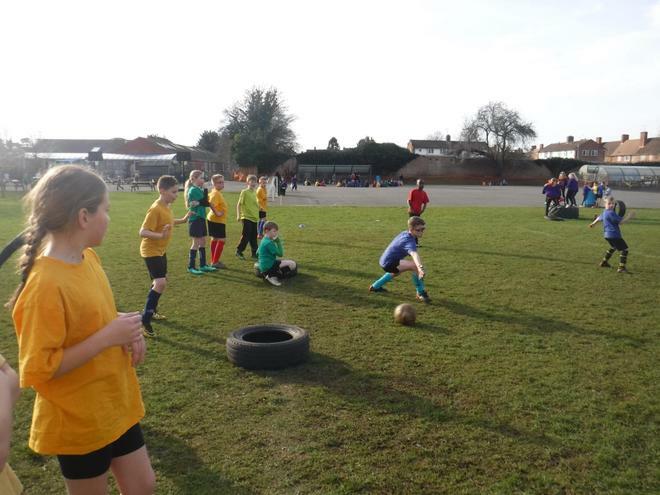 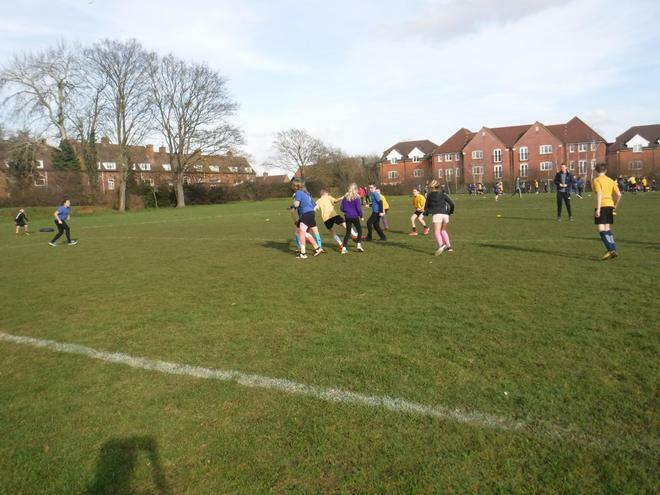 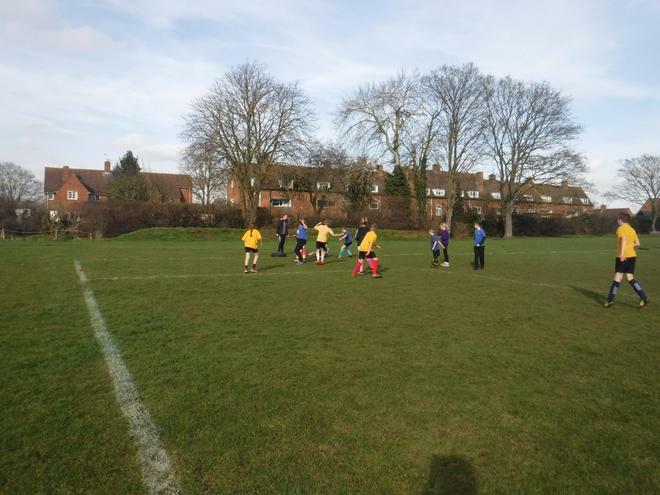 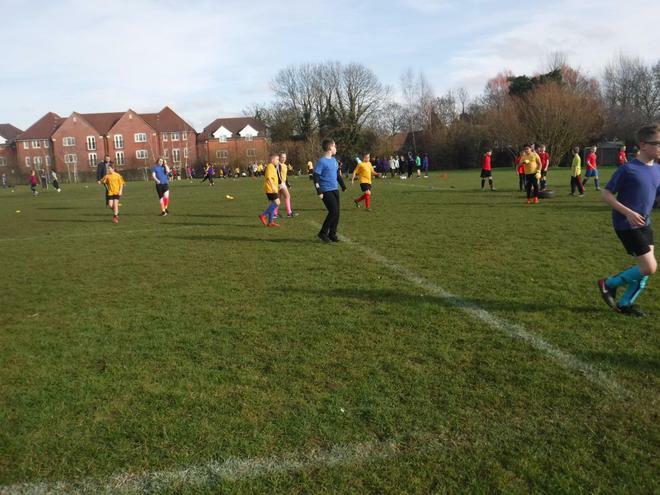 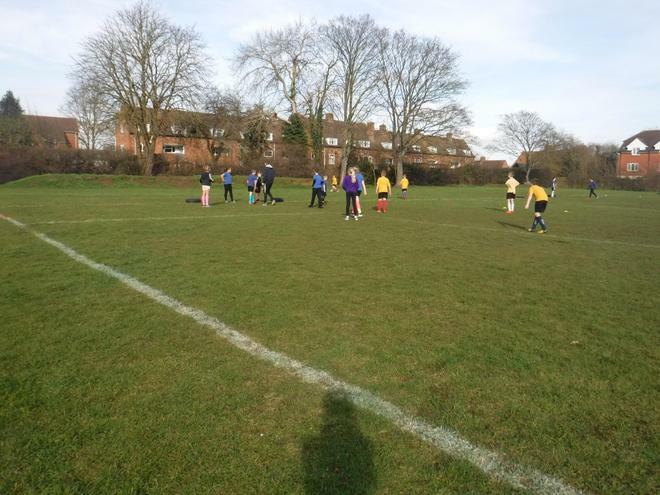 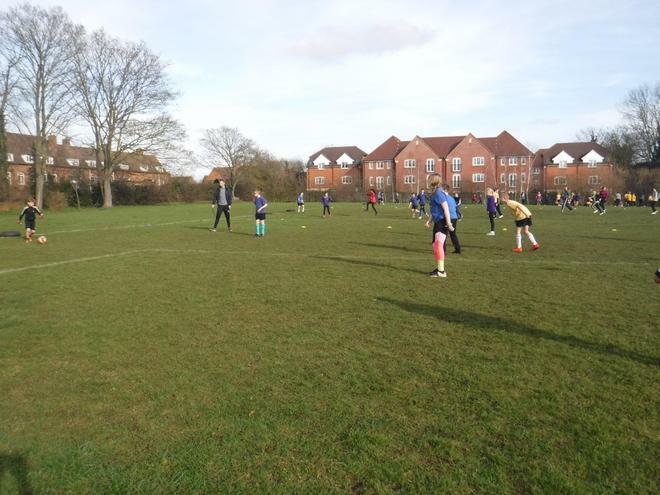 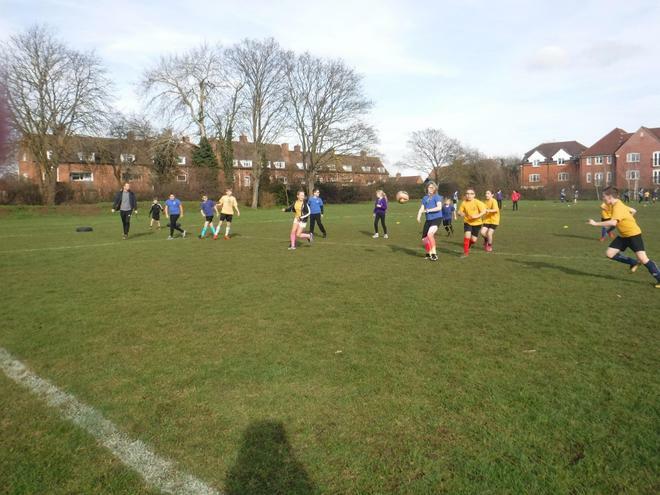 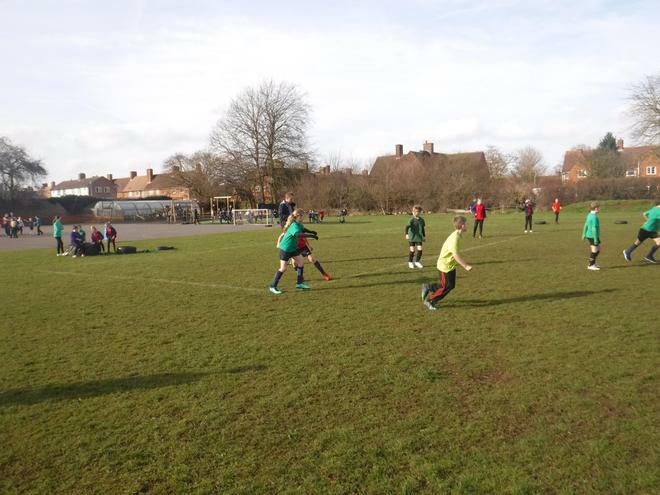 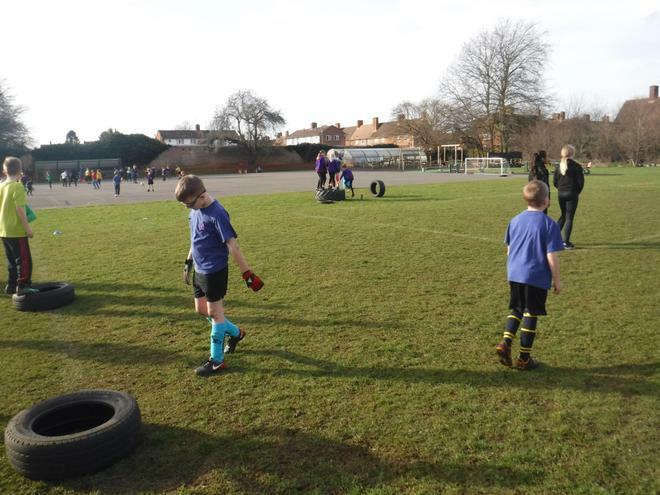 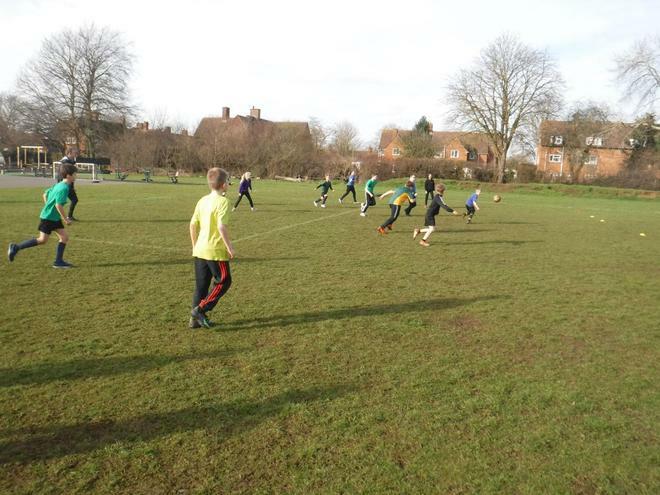 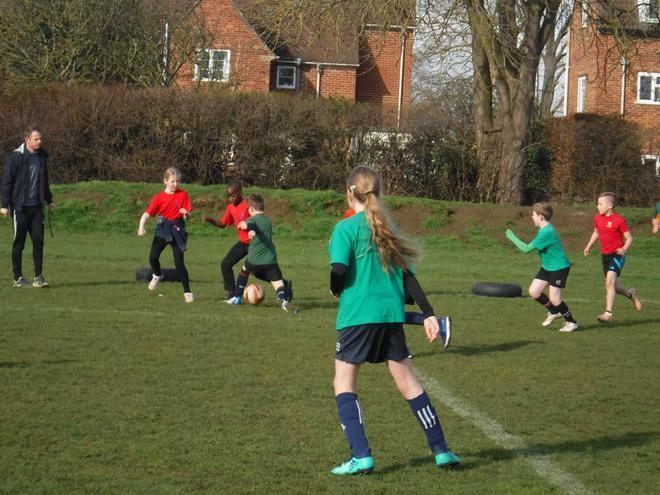 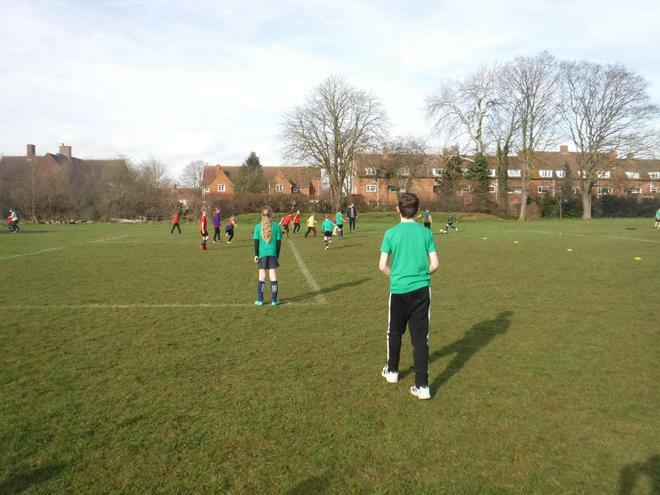 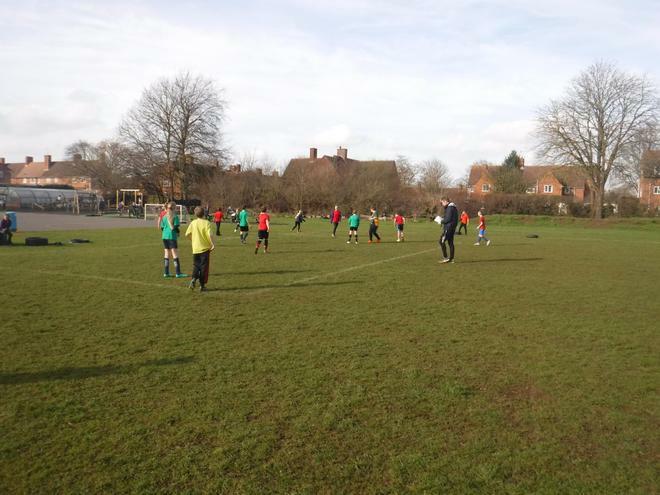 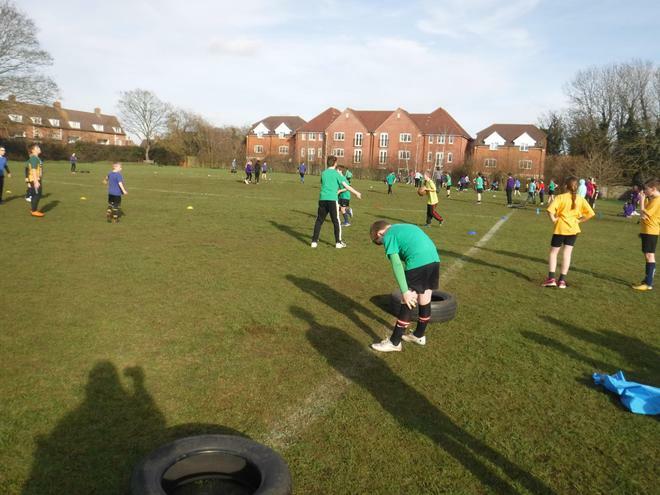 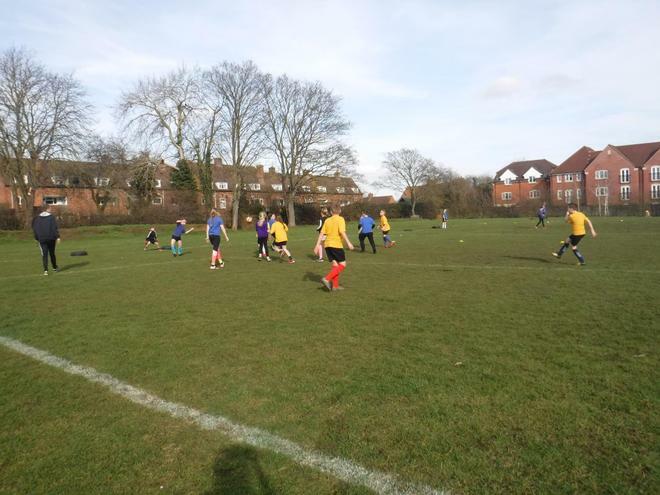 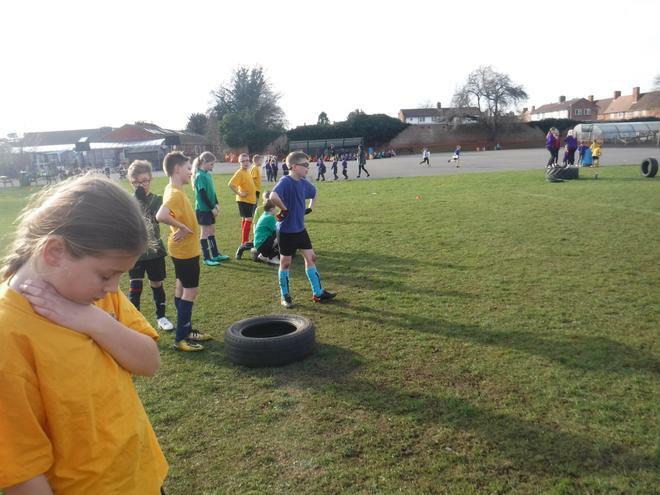 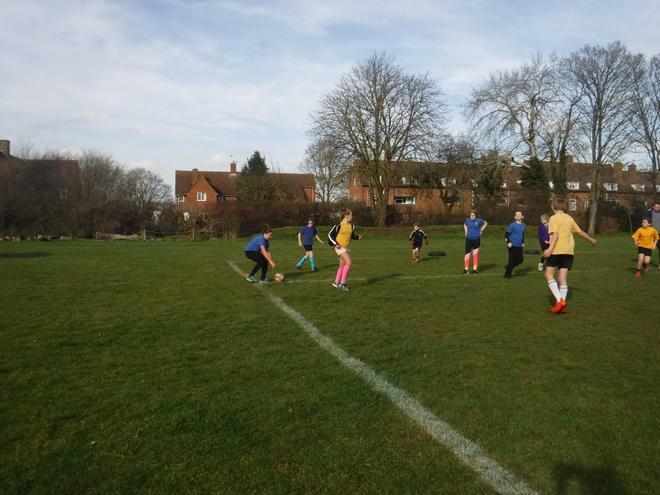 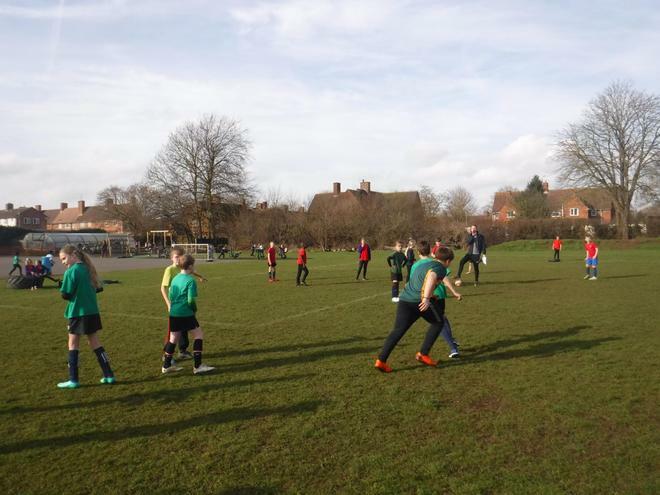 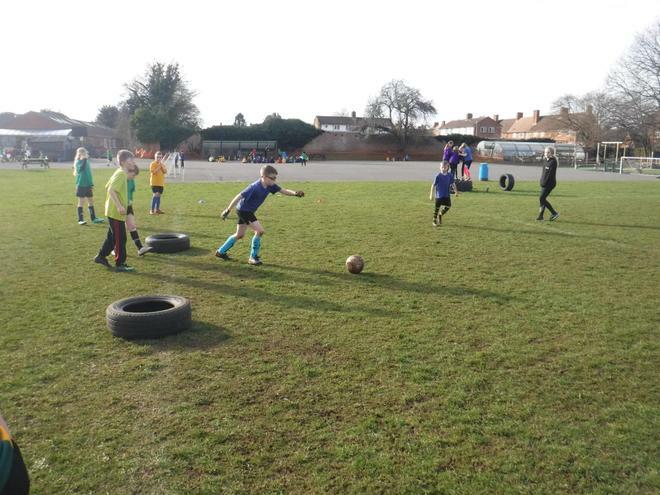 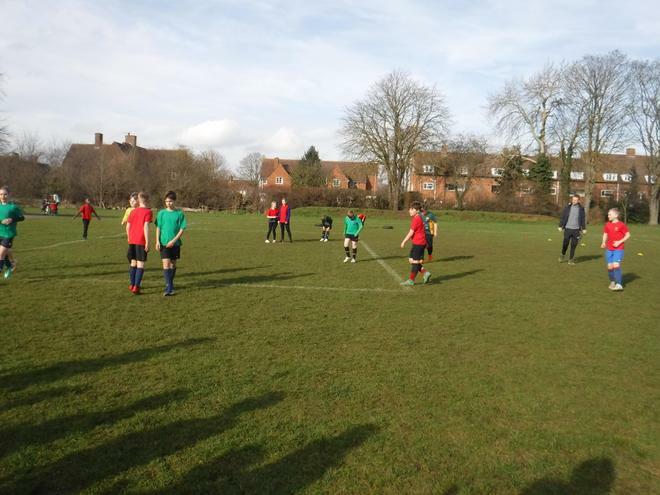 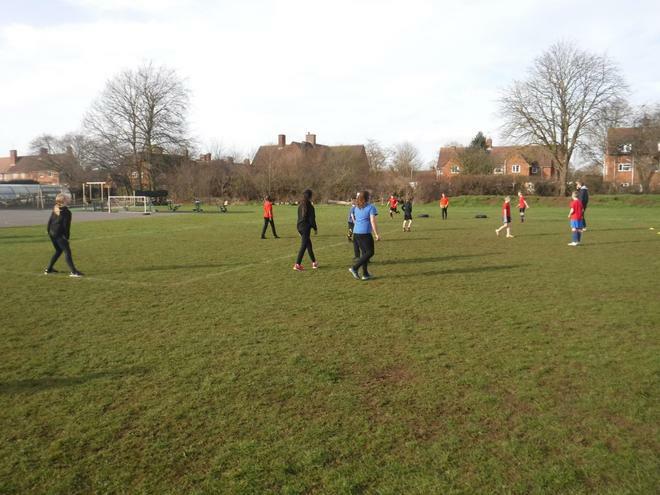 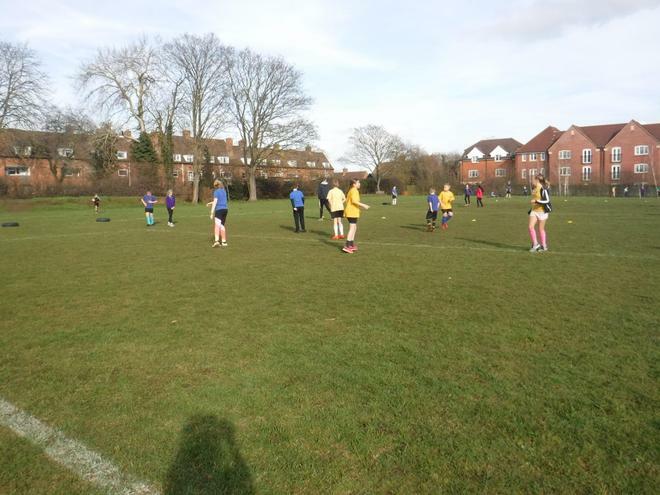 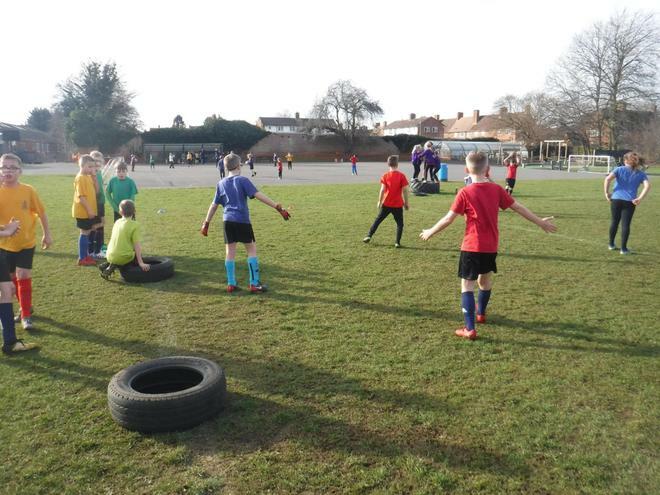 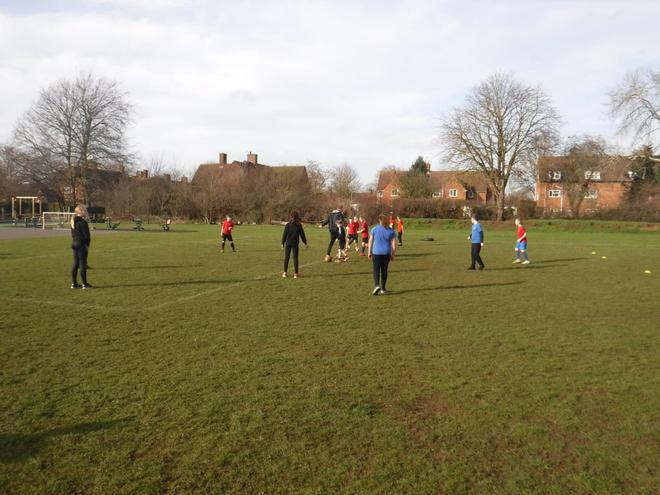 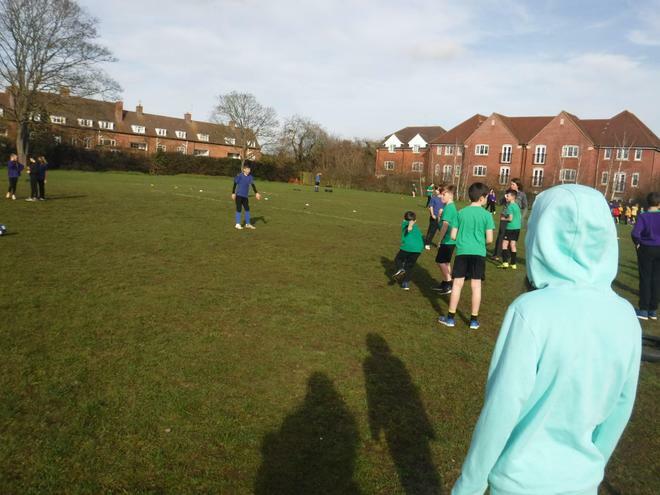 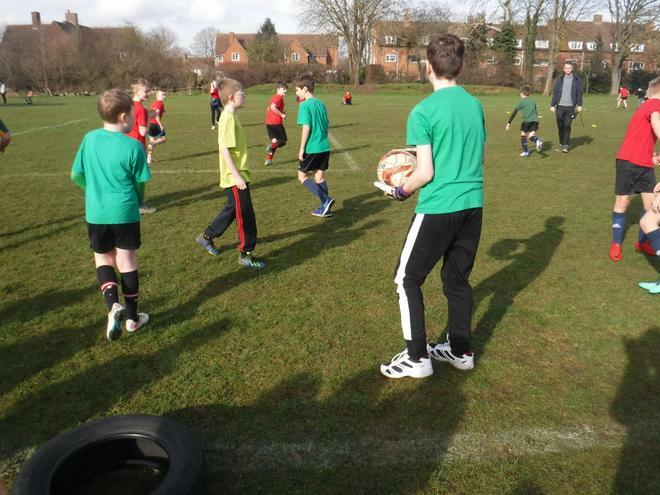 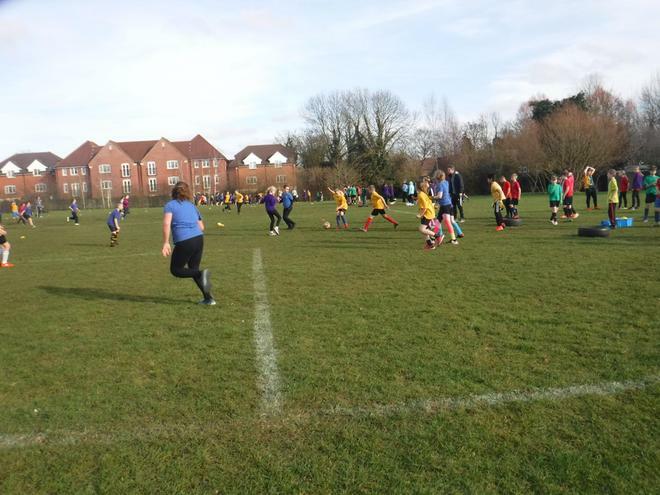 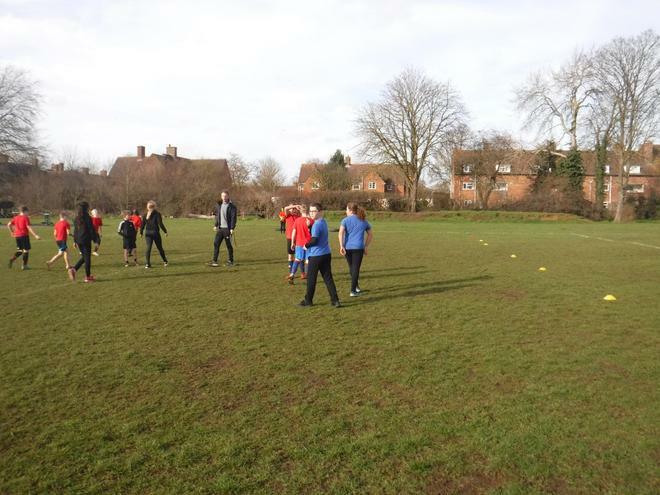 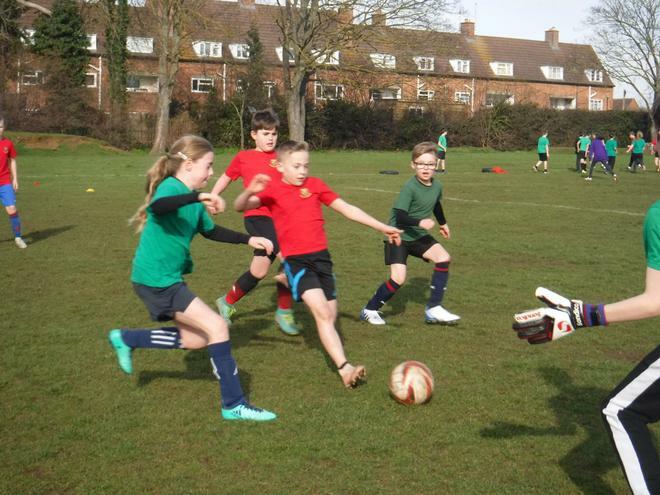 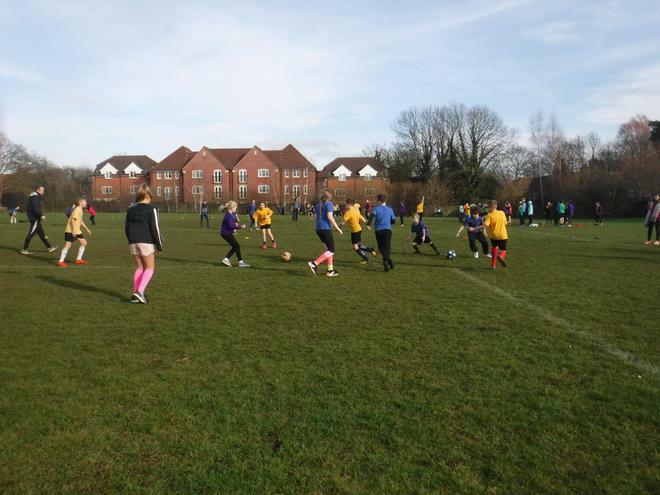 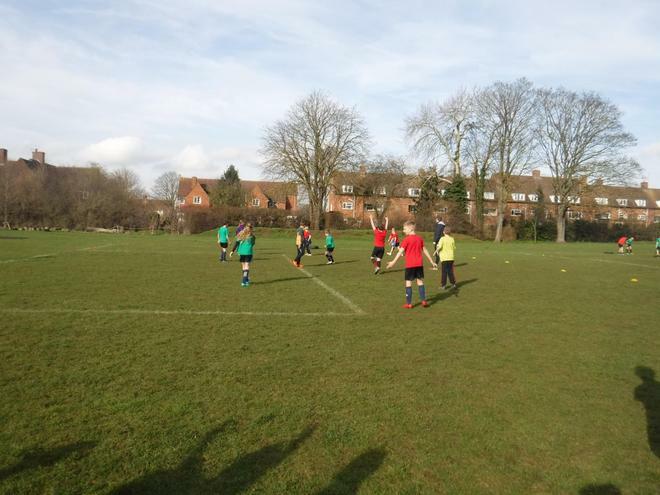 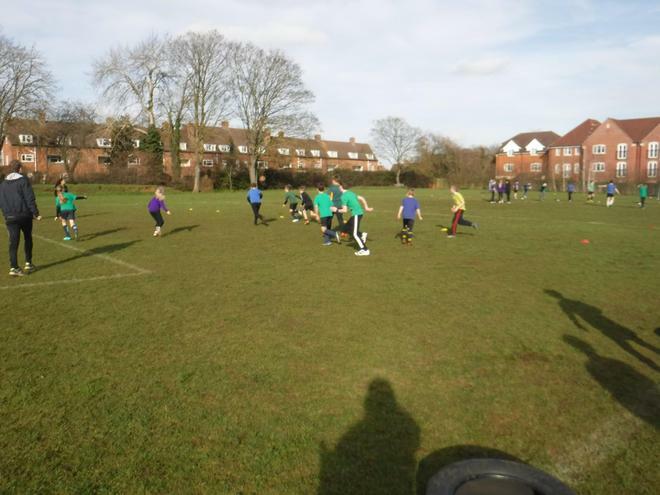 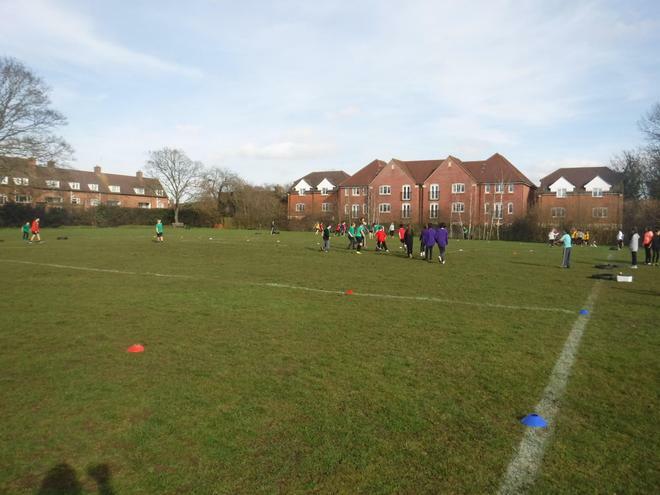 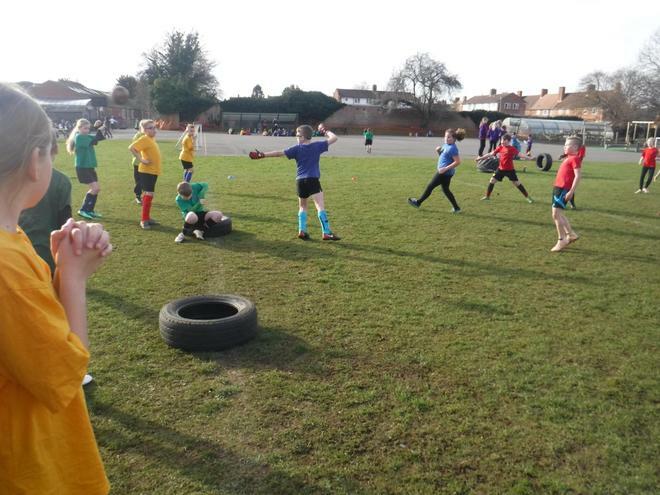 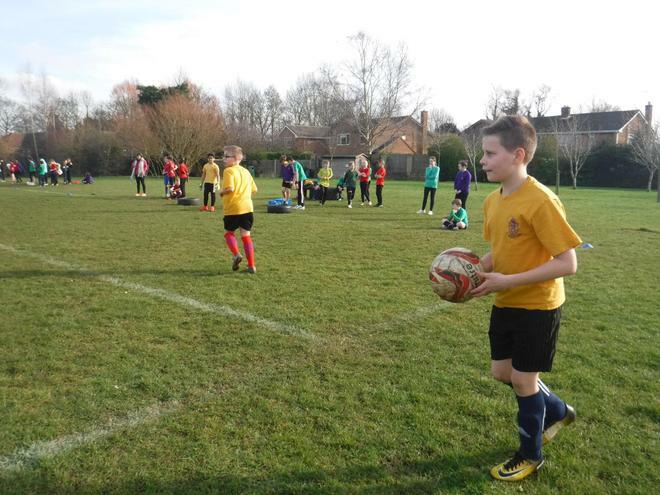 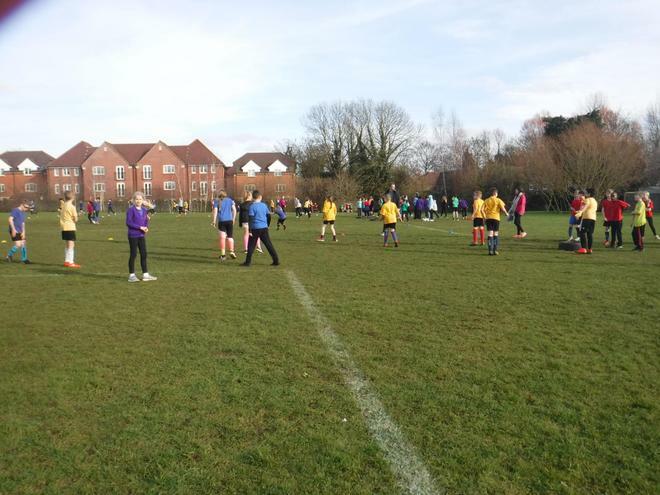 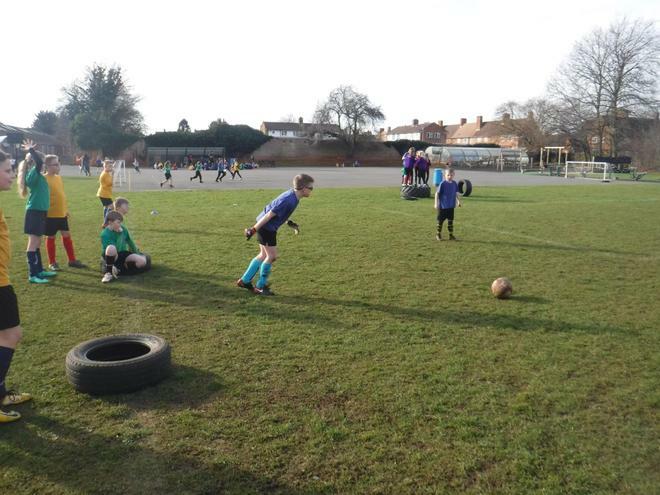 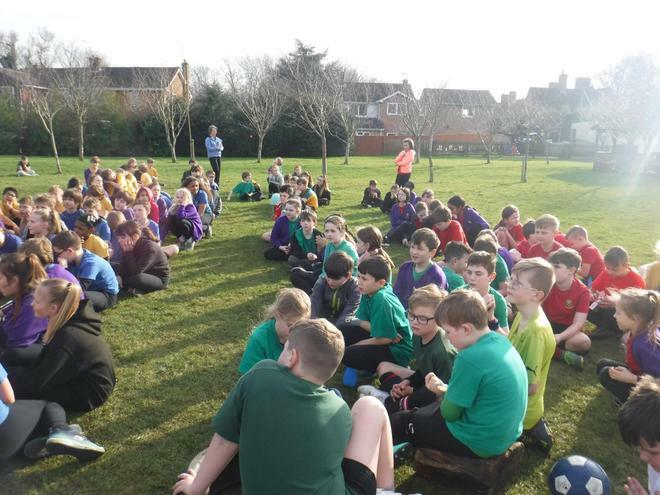 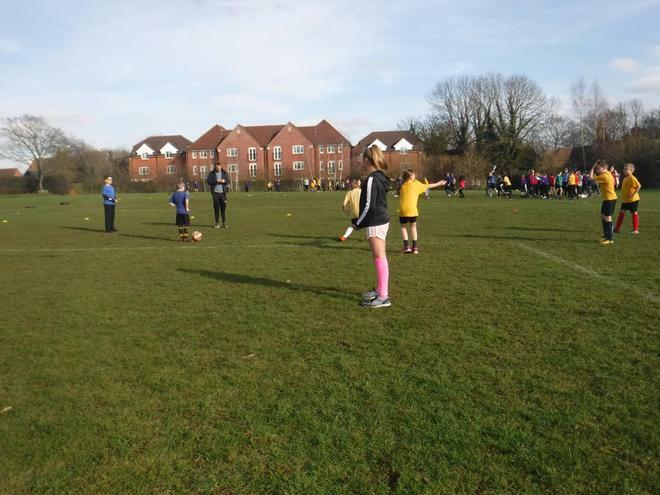 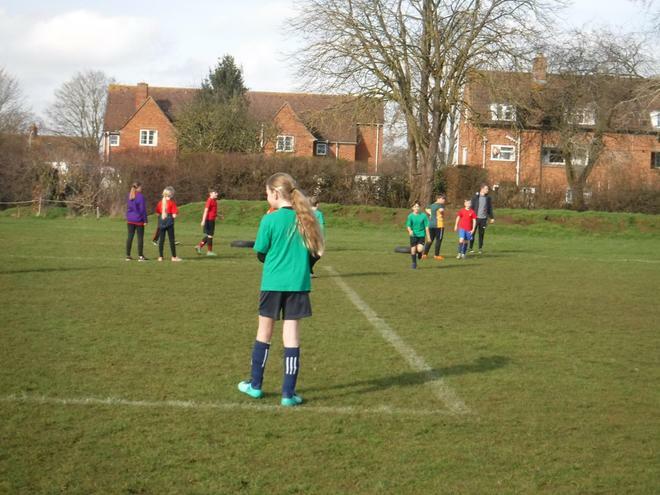 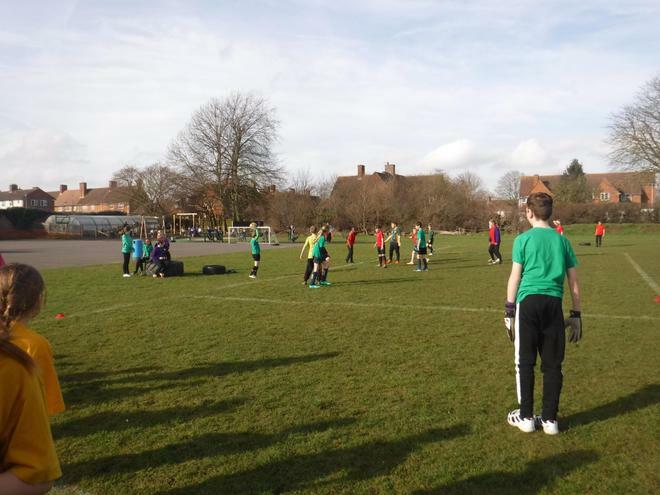 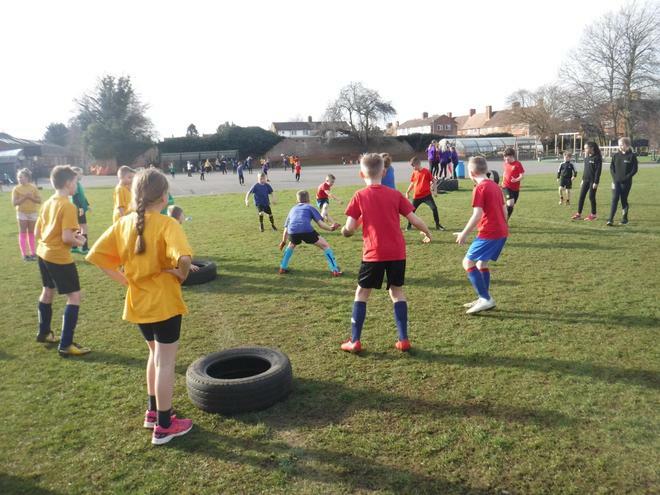 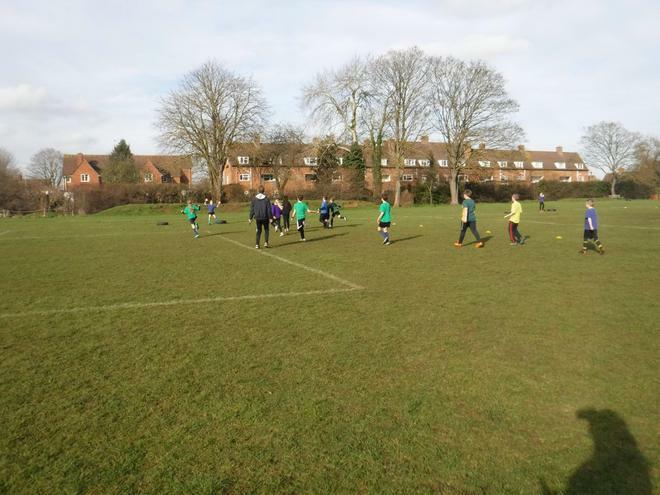 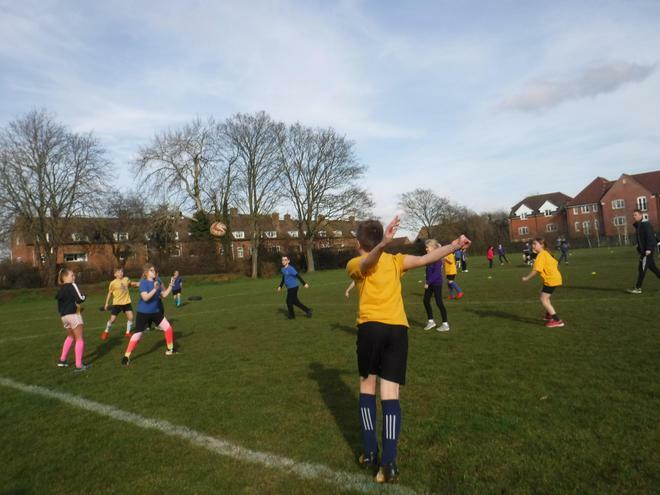 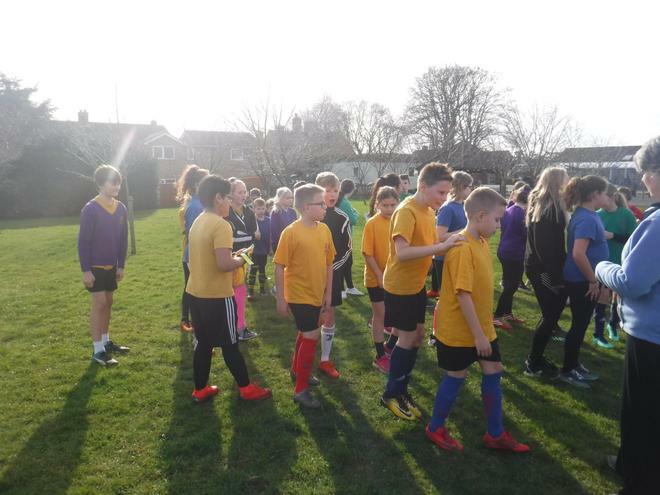 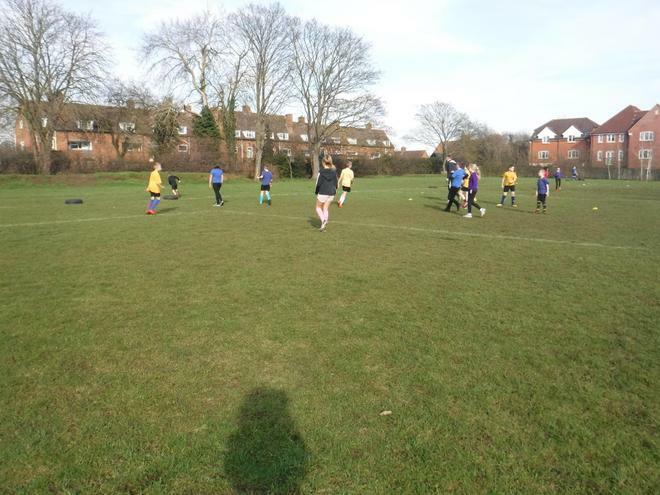 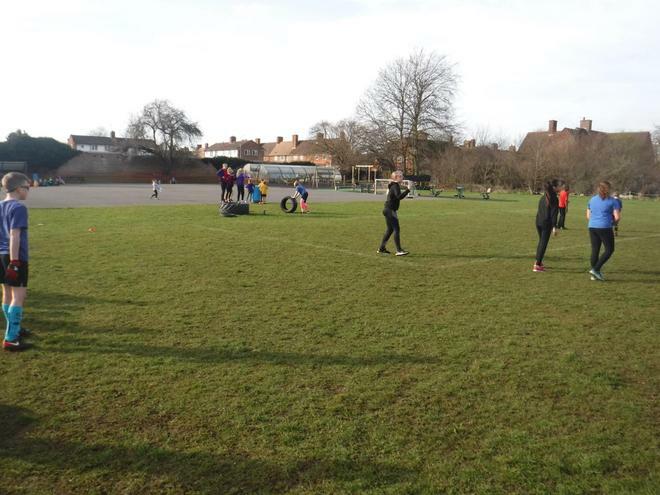 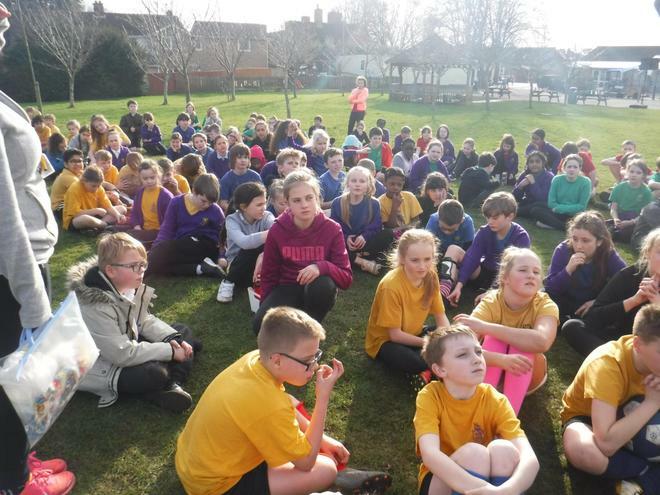 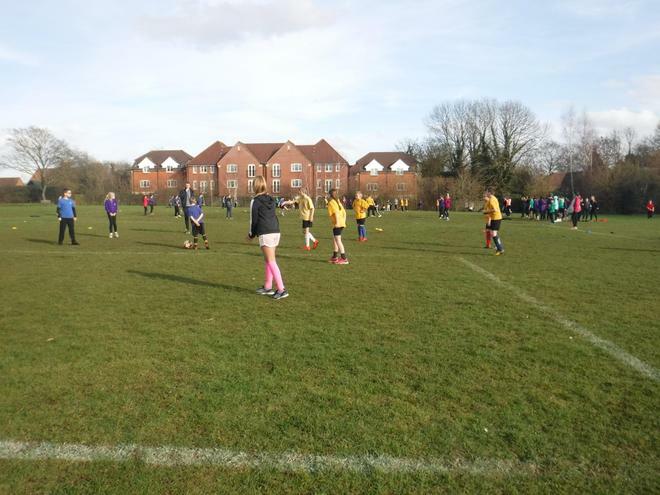 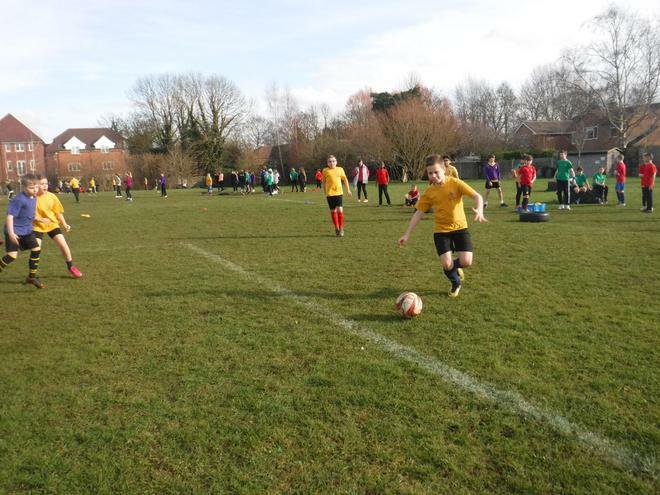 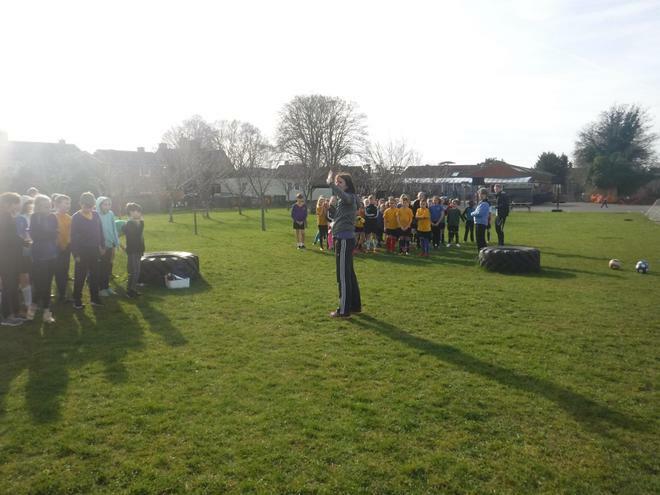 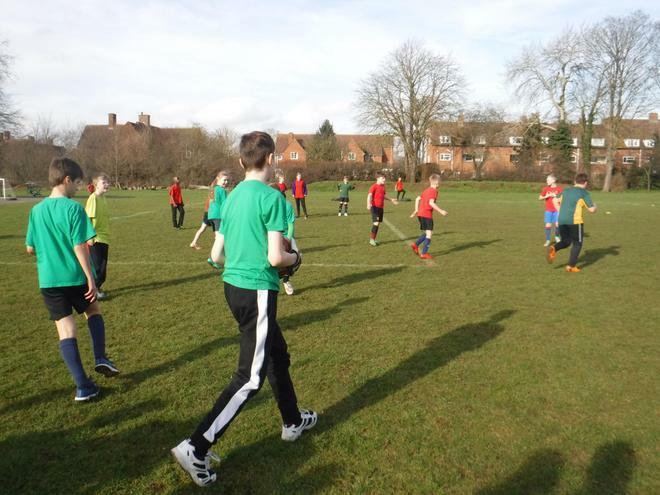 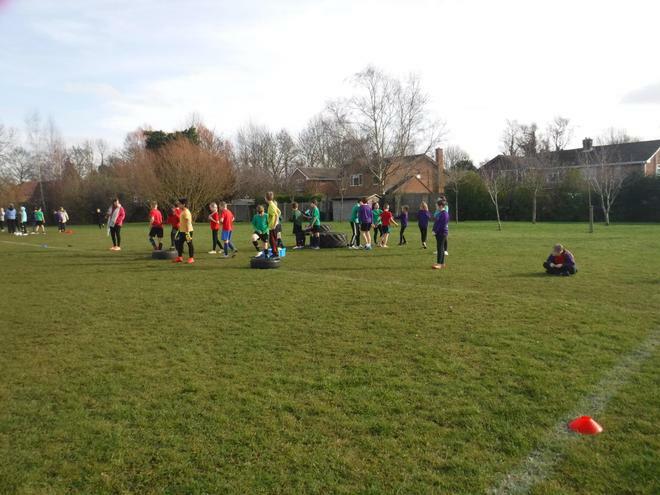 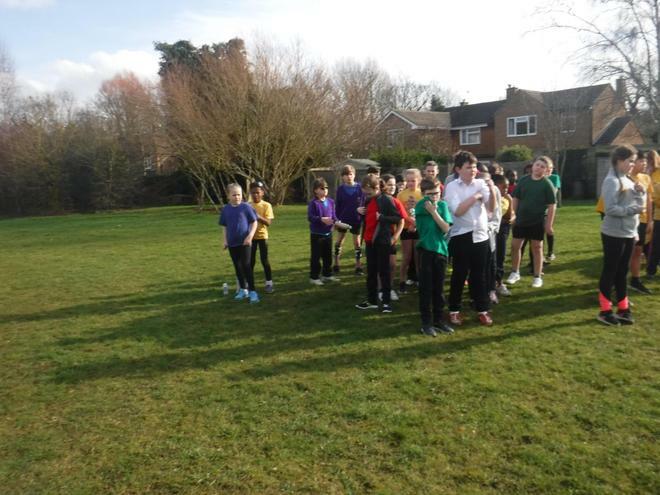 It was a lovely sunny afternoon on Wednesday (13th) for our inter-house Football tournament. 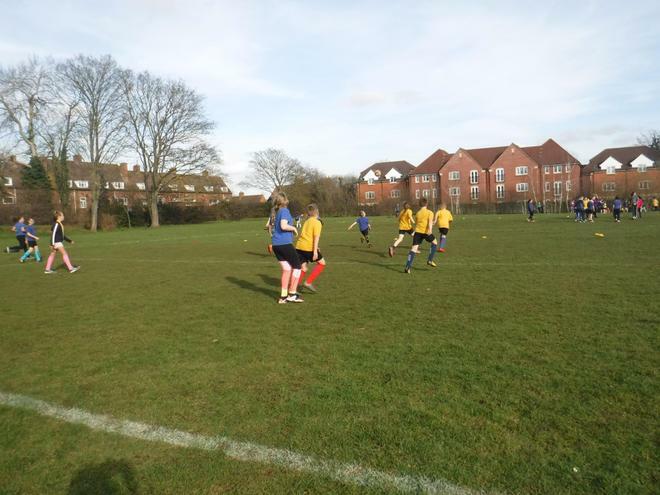 They all played really well and there was lots of support and team spirit on display. 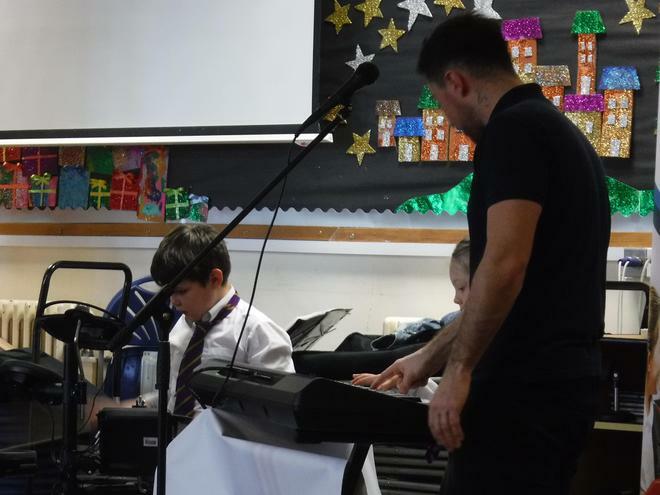 There were many stand-out performances. 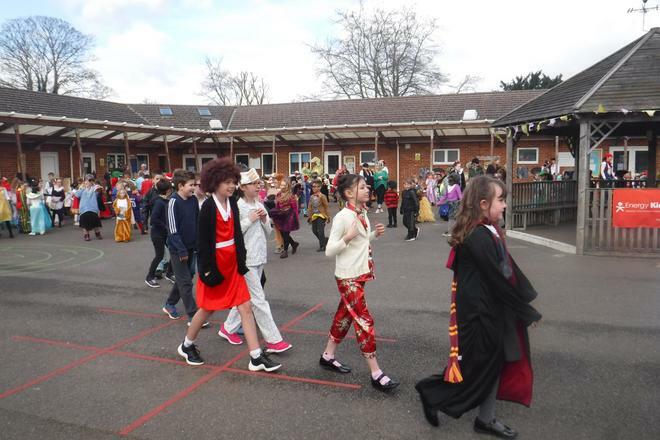 At the end of the afternoon, it was revealed that Ock had come first with Thames second, Windrush third and Stert fourth. 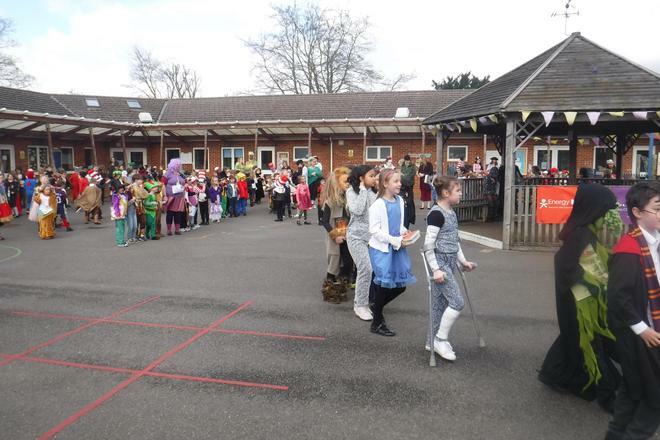 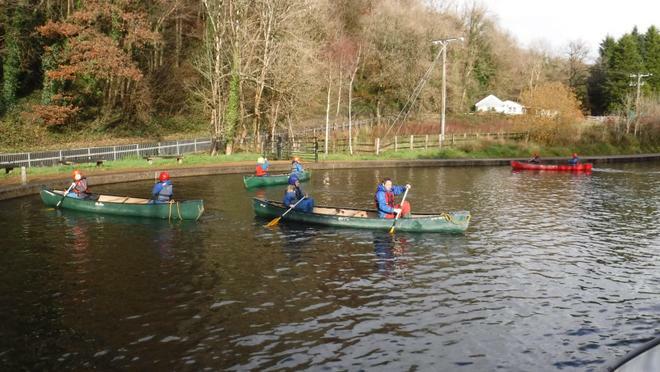 Well done to all who took part and thanks to the staff that supported this event. 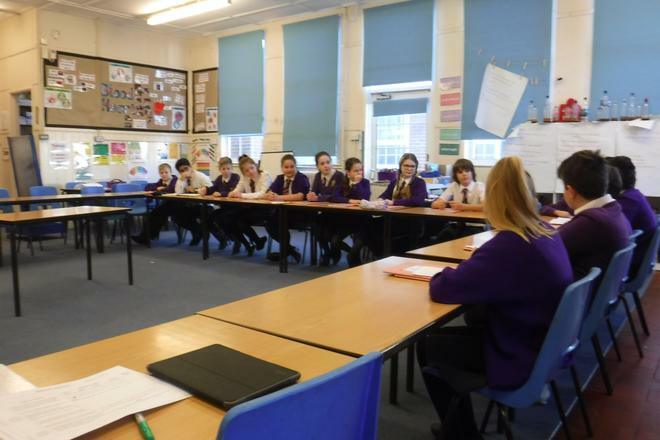 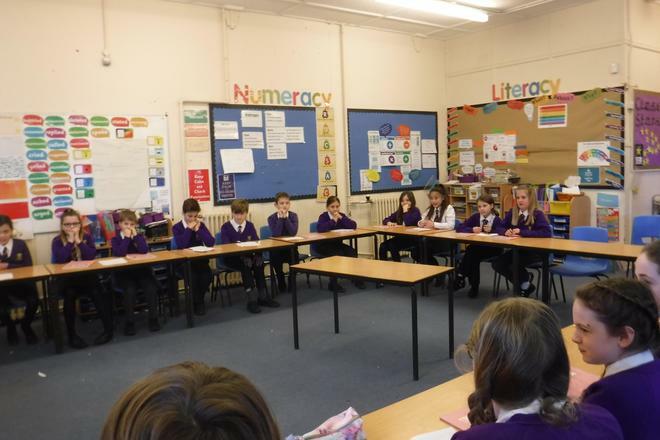 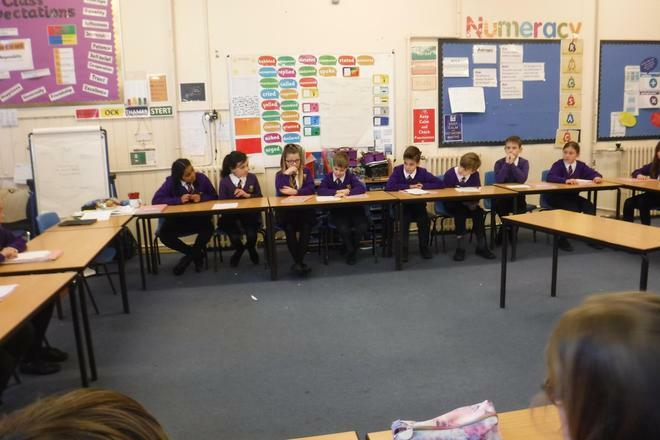 Having thought about both sides of the argument, we held a debate around the question 'should we breed animals to benefit humans?' 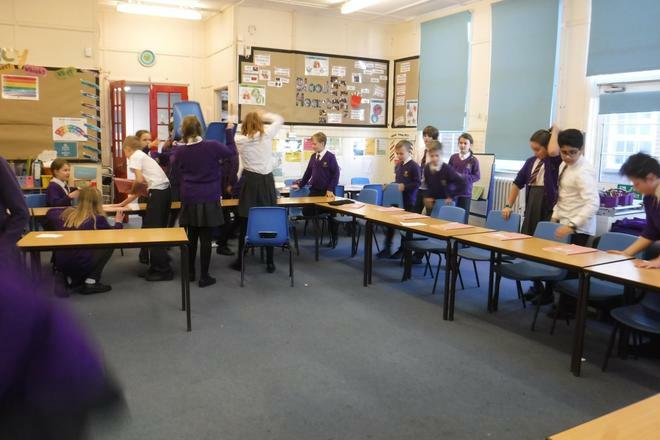 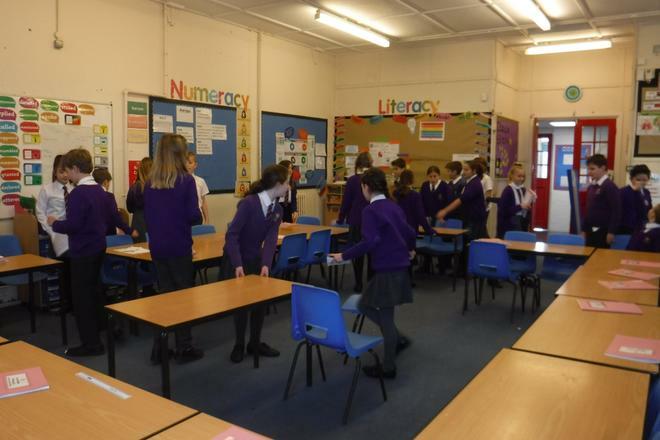 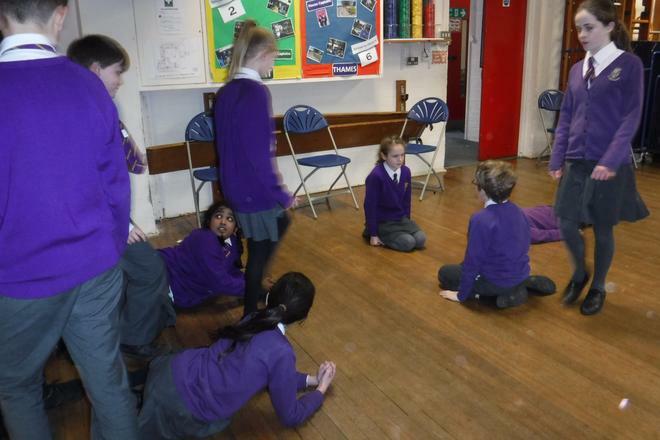 Our first challenge was to rearrange the tables and chairs! 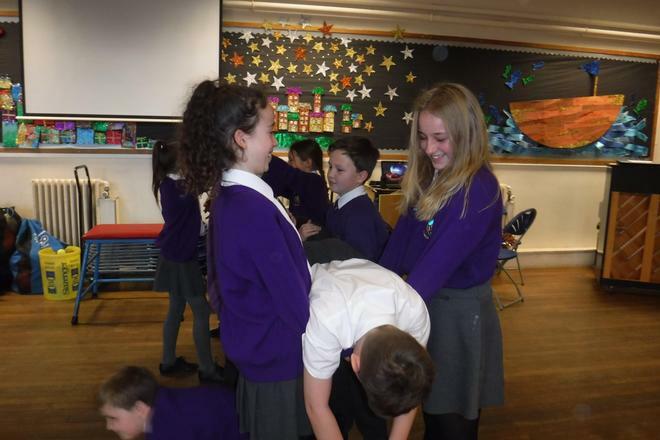 Once we had achieved this we practised offering our points of view in a confident and calm manner. 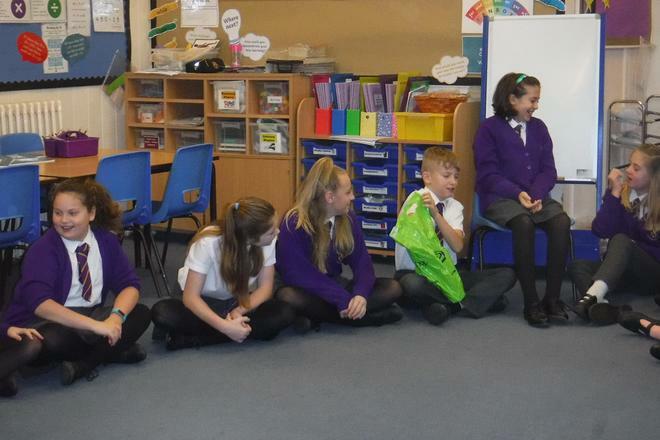 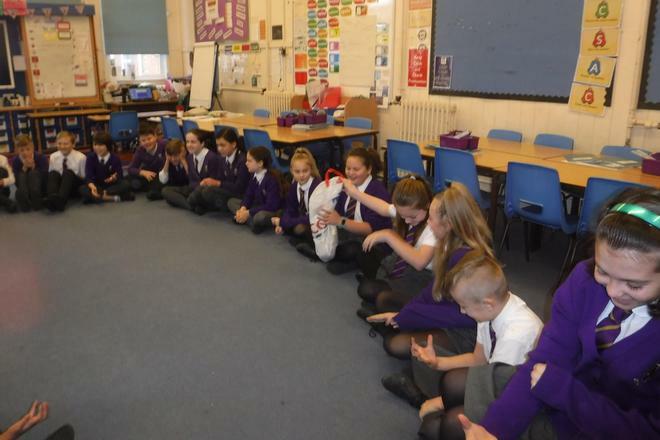 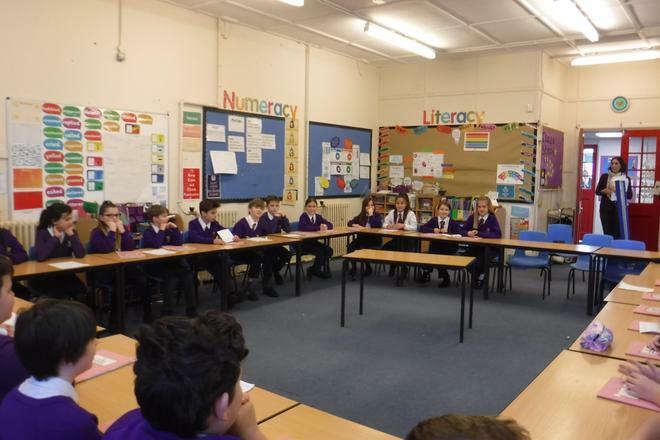 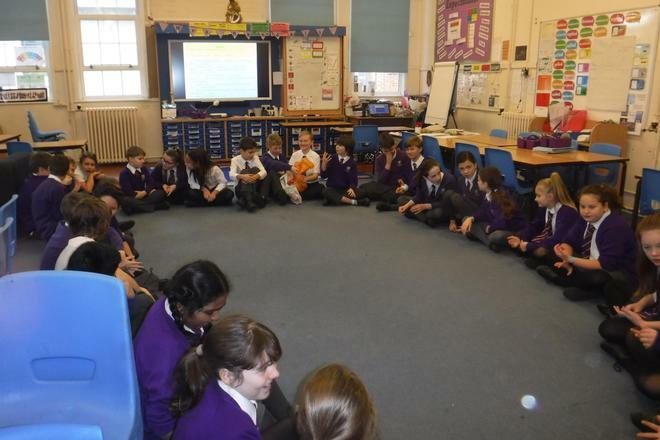 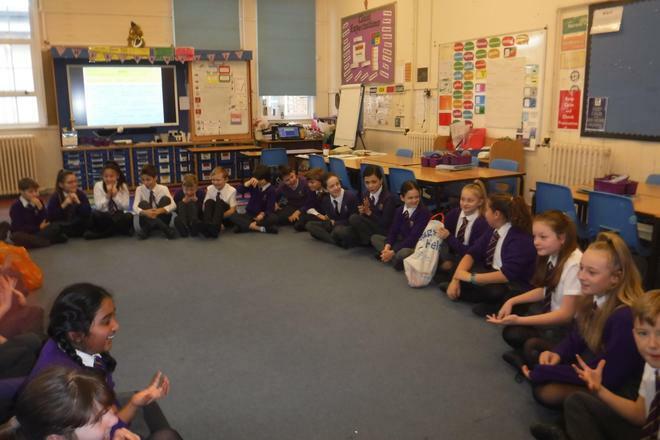 After a slow start, we enjoyed a useful debate about the reasons for and against using animals for a variety of purposes: food, clothing, medical research, cosmetics. 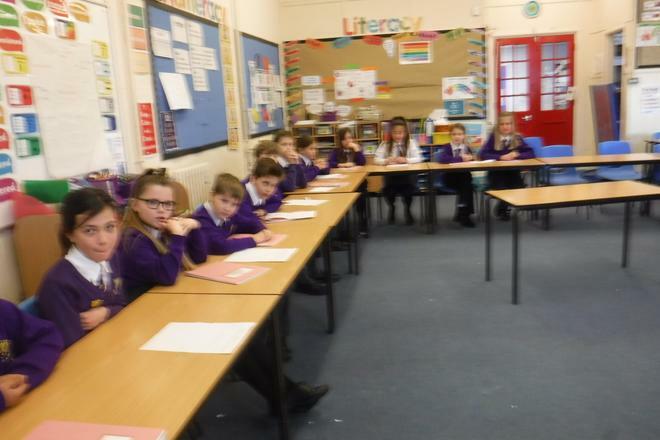 All the children worked really hard to consider the opposite opinion and why someone might hold that opinion. 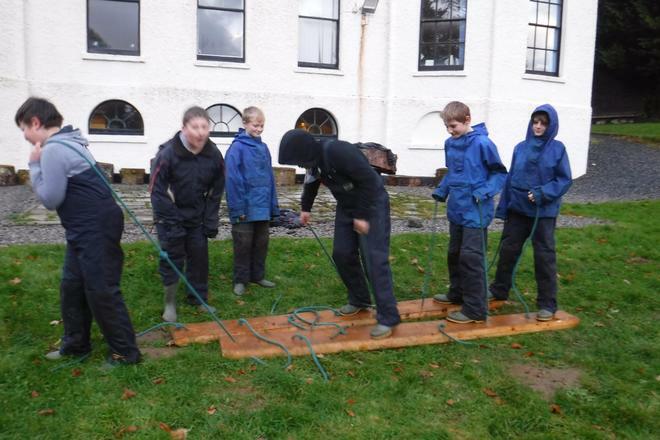 Definitely a life-skill! 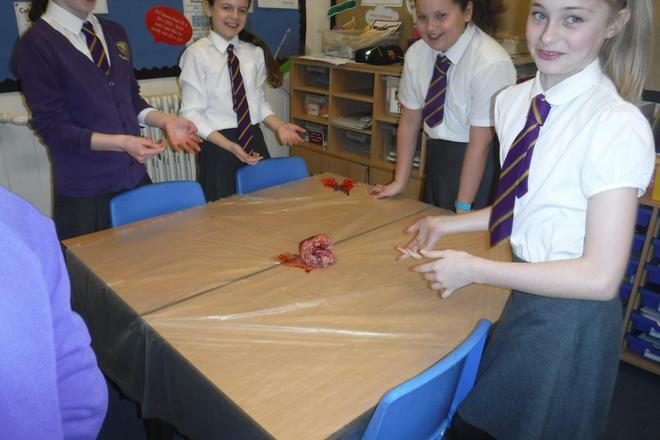 We attempted to recreate the circulatory system just using ourselves. 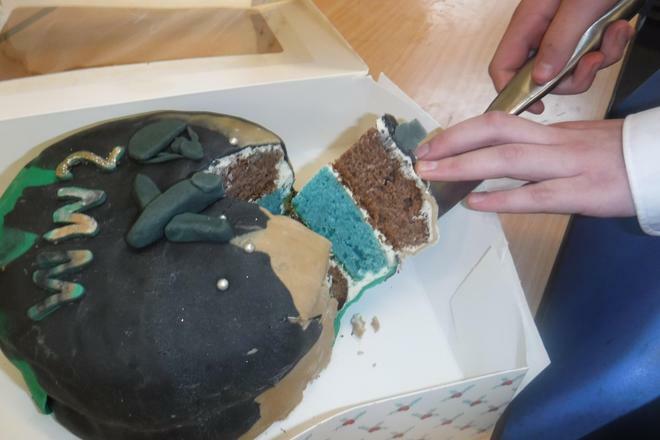 The best way to describe the results is mixed! 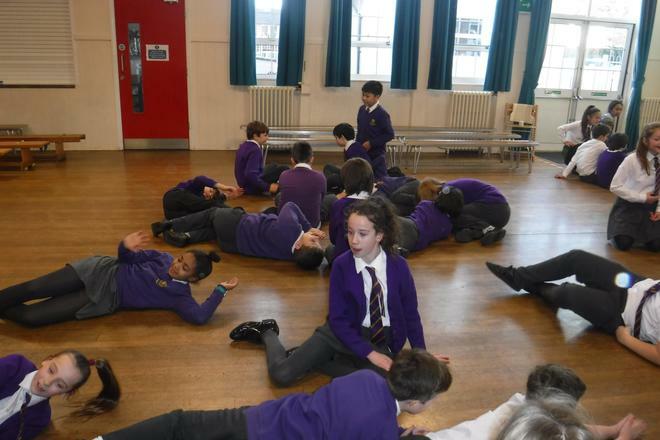 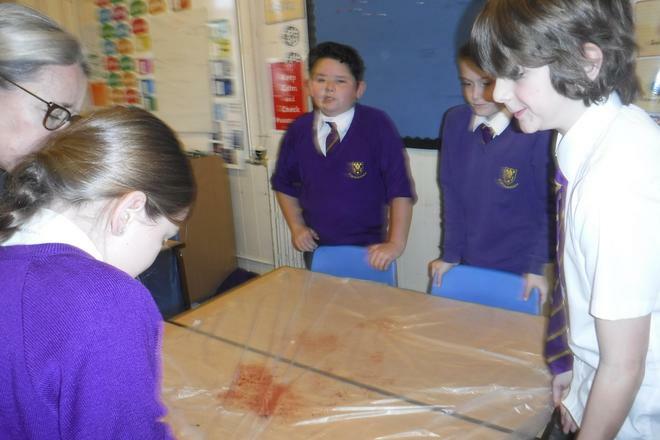 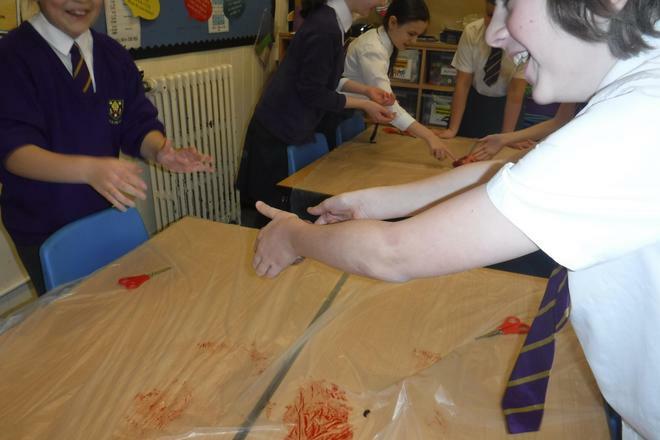 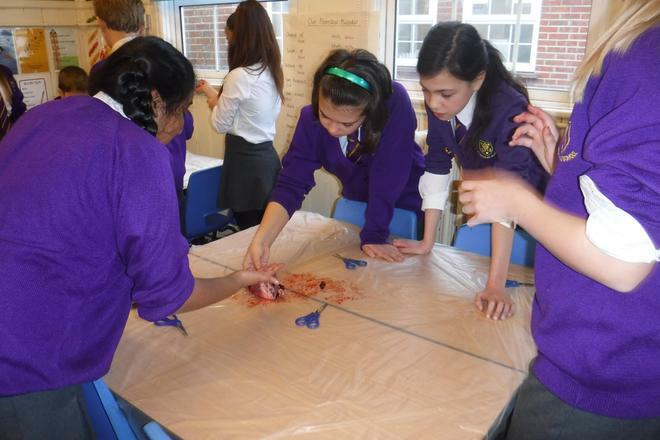 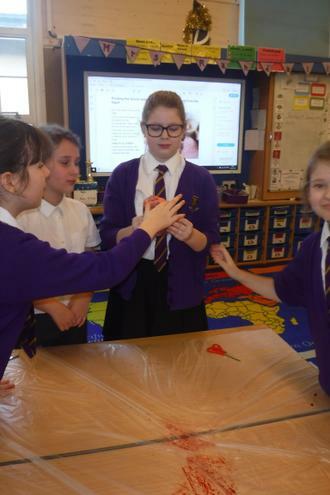 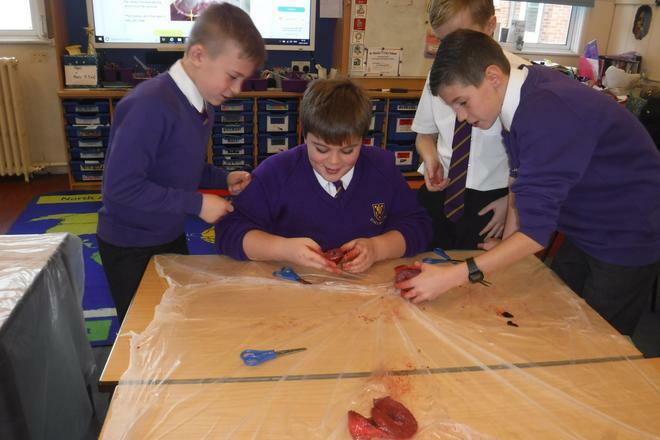 Whatever the outcome we all learned some more about the circulatory system and the blood within it. 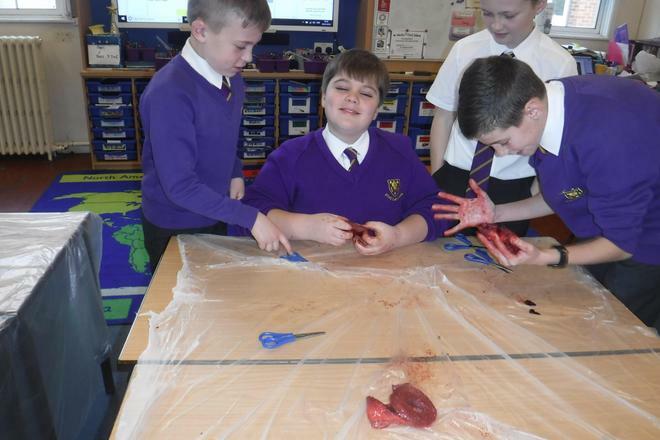 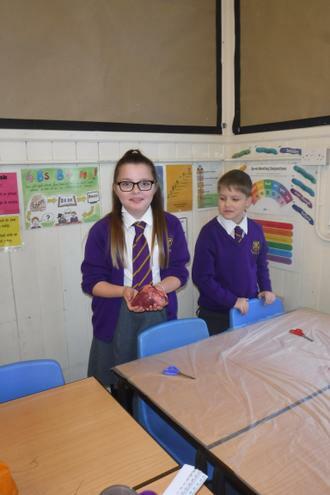 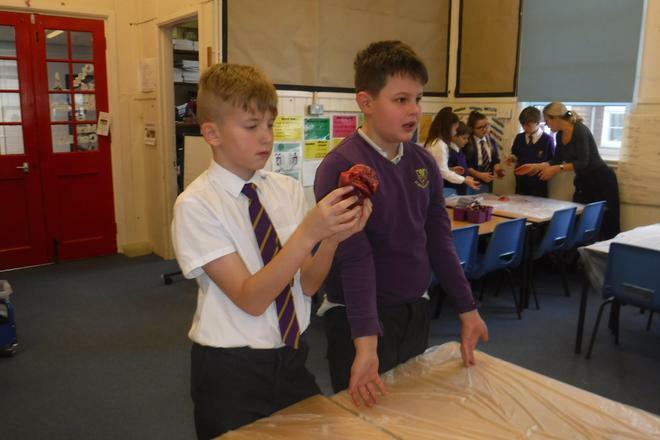 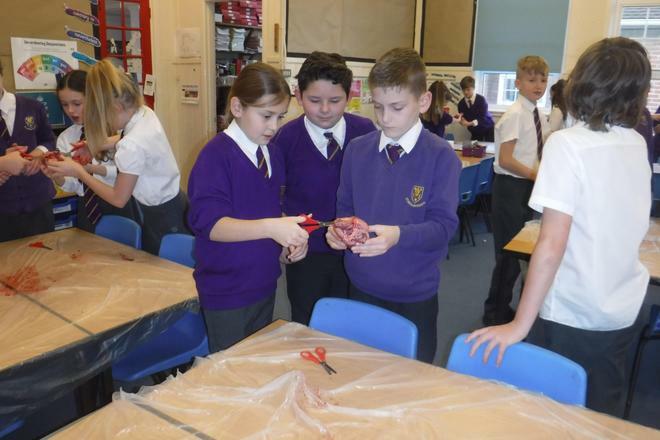 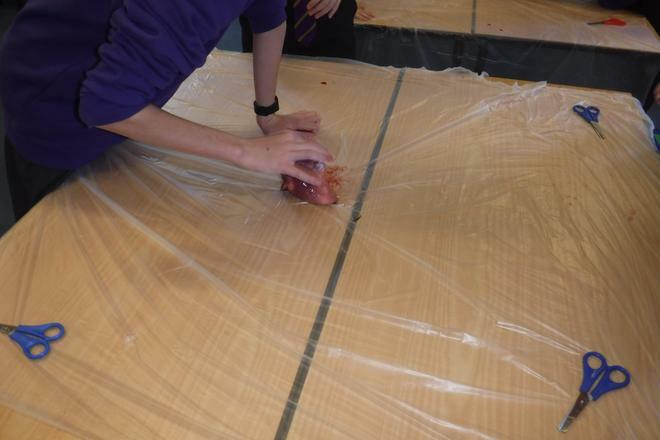 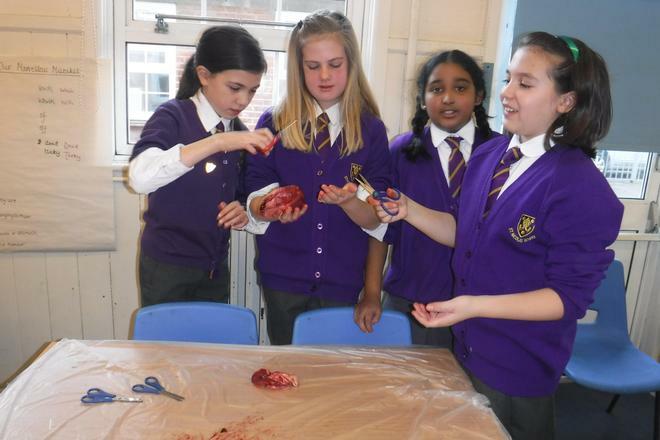 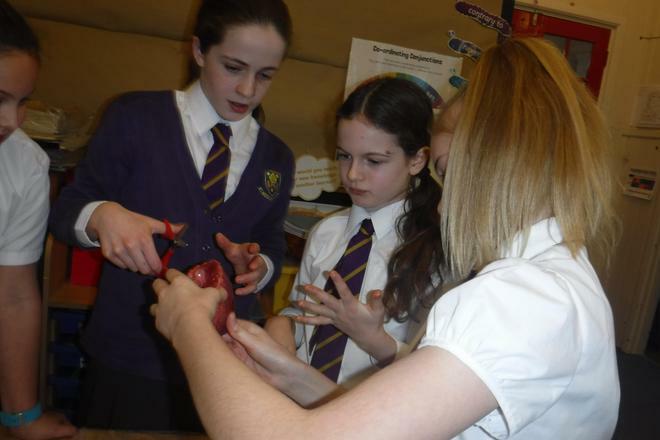 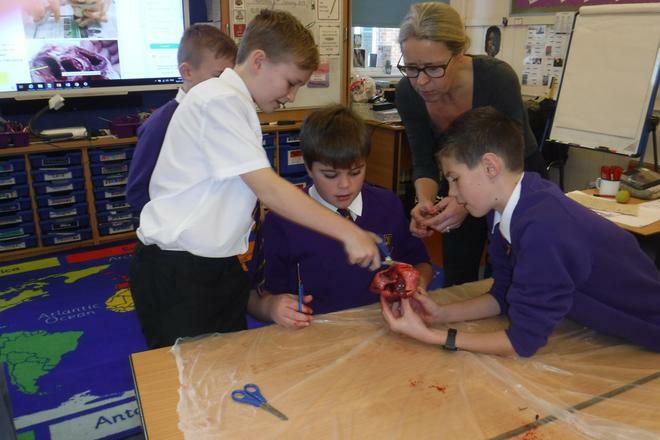 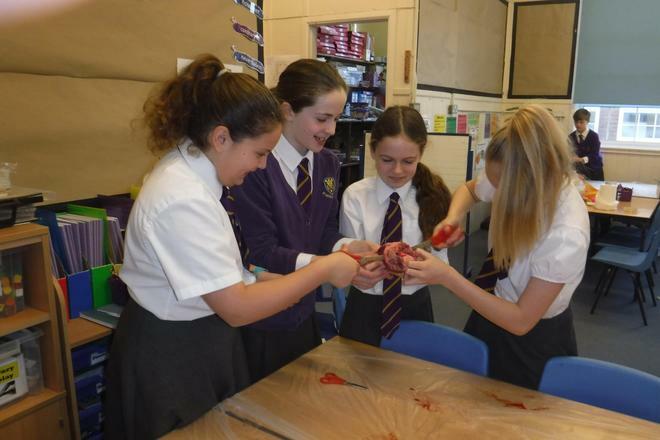 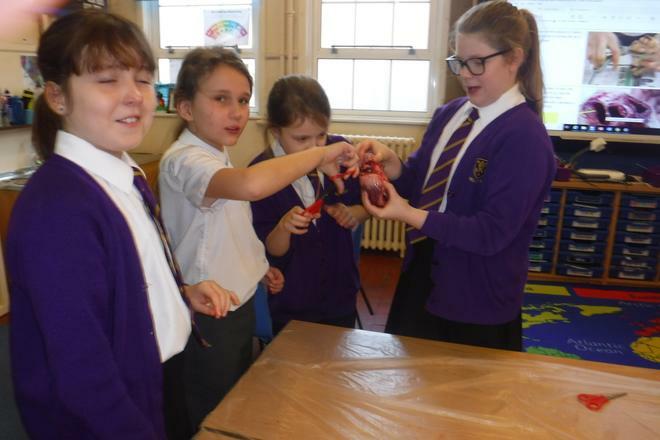 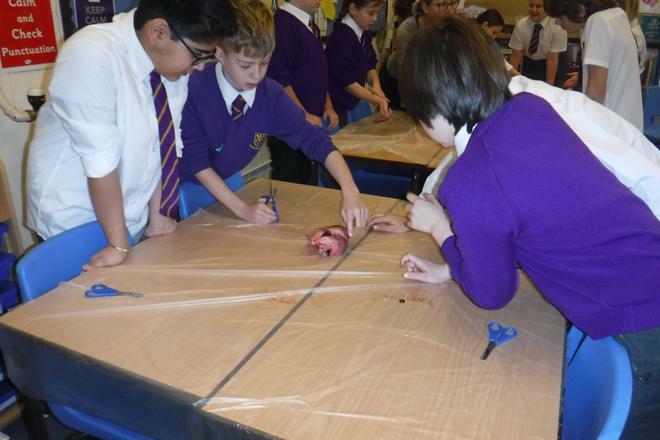 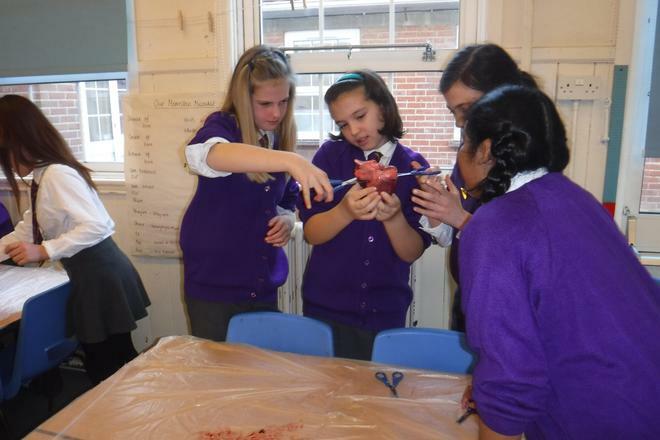 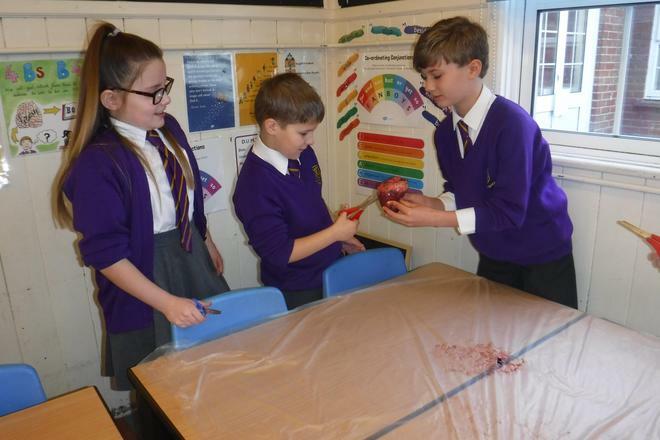 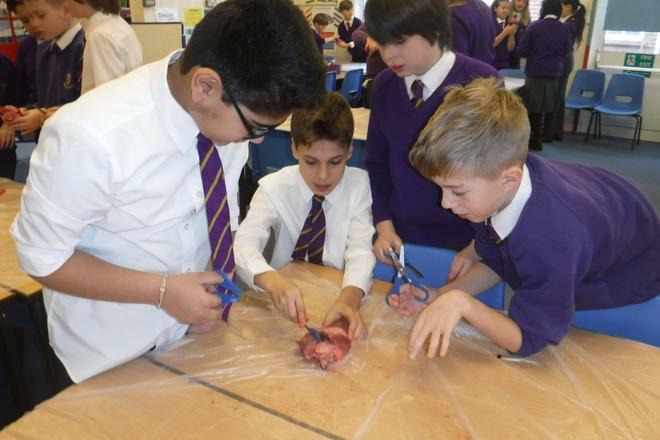 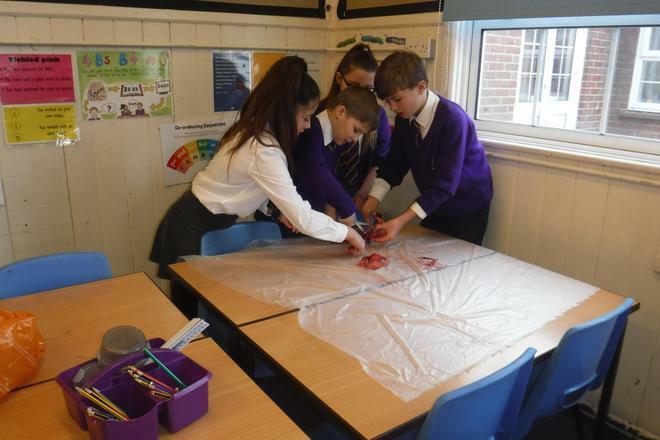 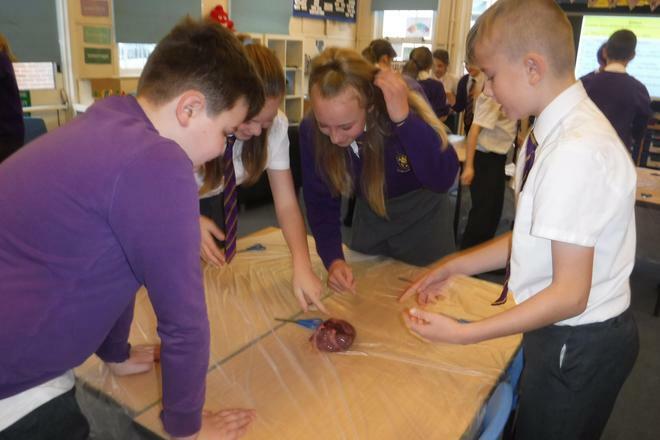 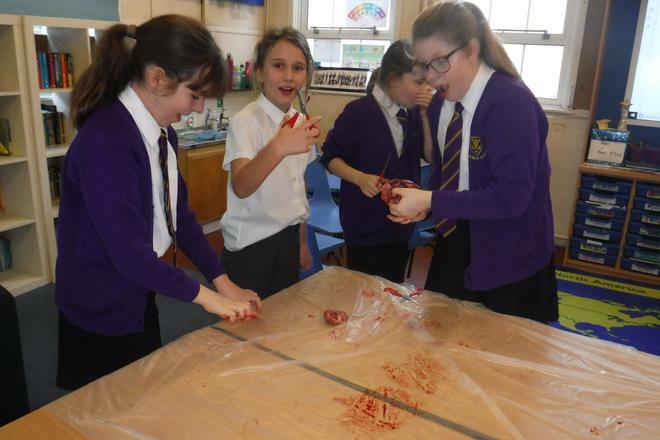 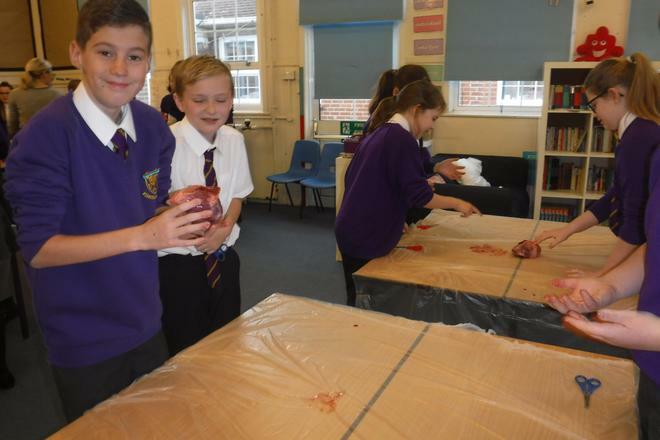 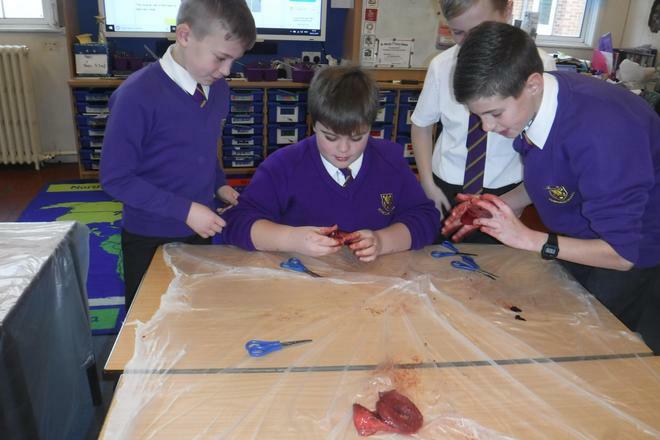 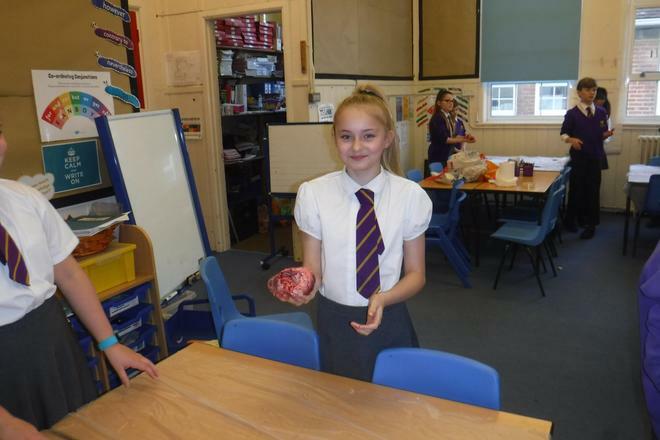 Year 6 dissected pigs' hearts to begin our topic 'Blood Heart'. 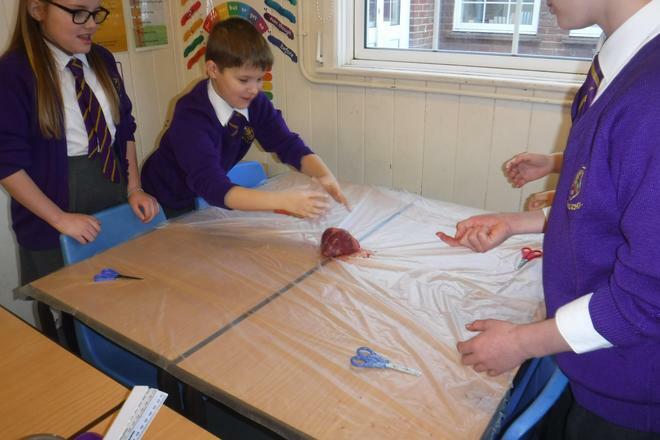 We looked at the structure of the heart and went on to learn about the functions of the heart. 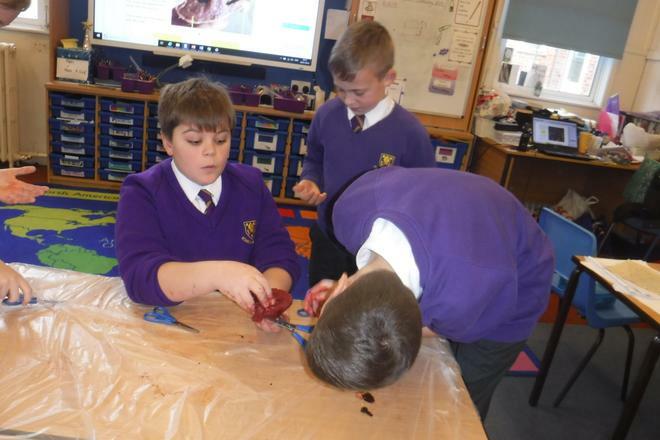 We are using the text 'Pig Heart Boy' by Malorie Blackman to support our writing this term and will be writing a discussion text based on the use of animals to benefit humans. 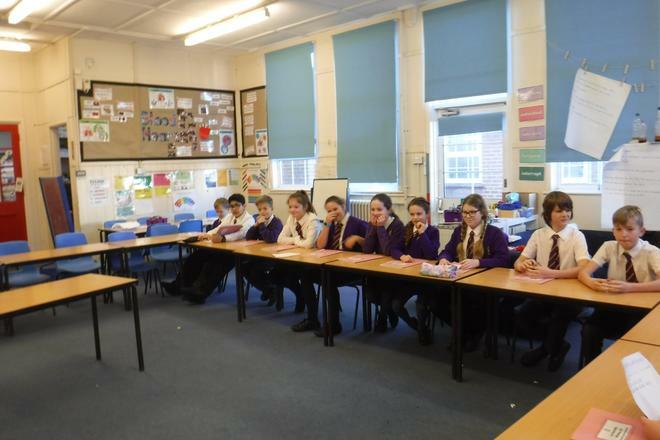 Welcome back to what will prove to be another exciting, engaging and enjoyable term! 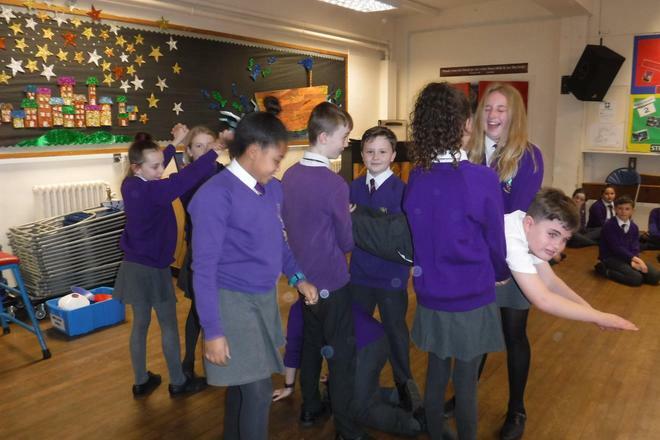 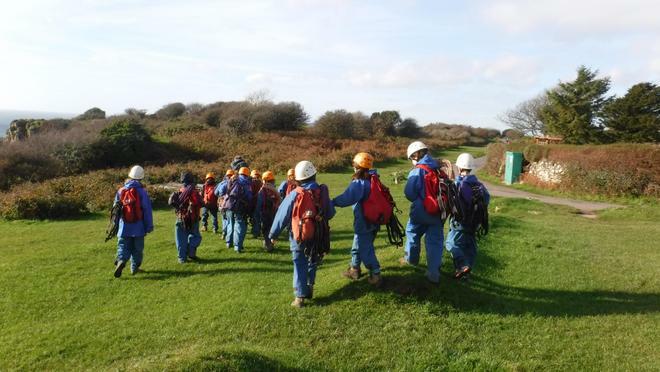 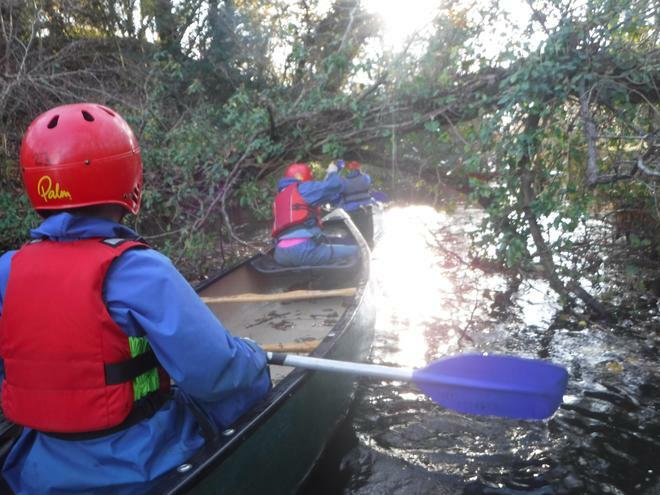 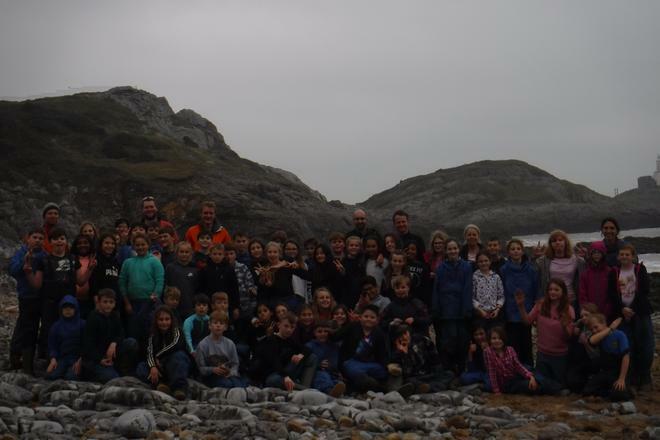 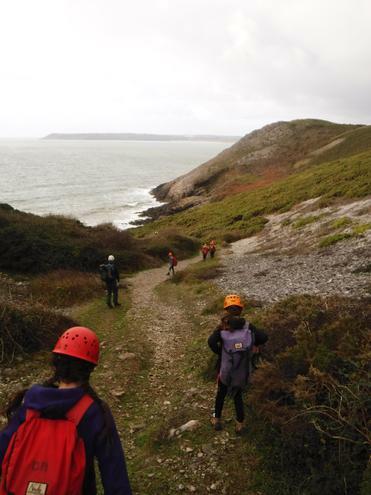 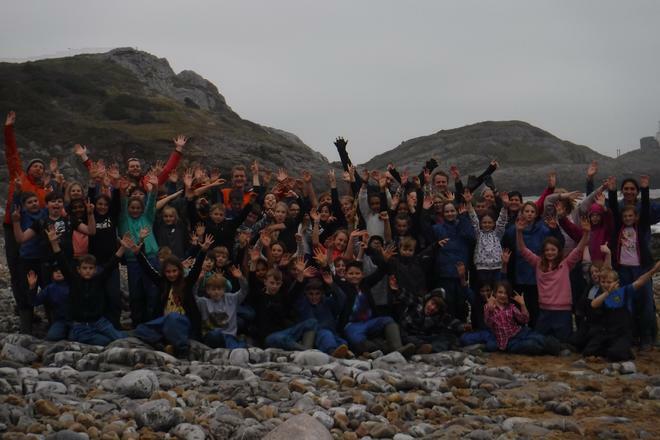 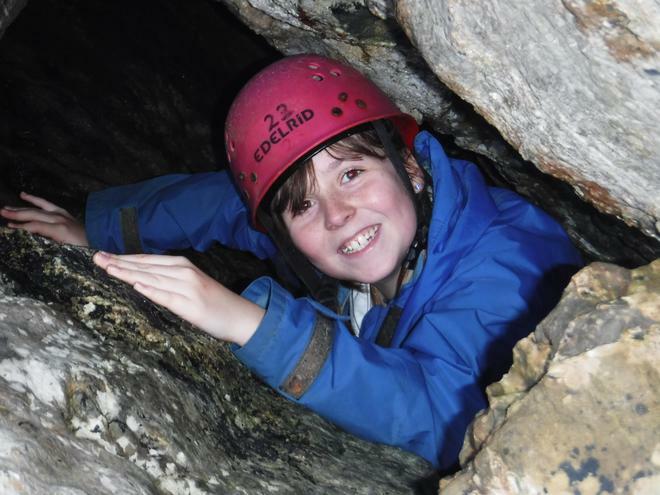 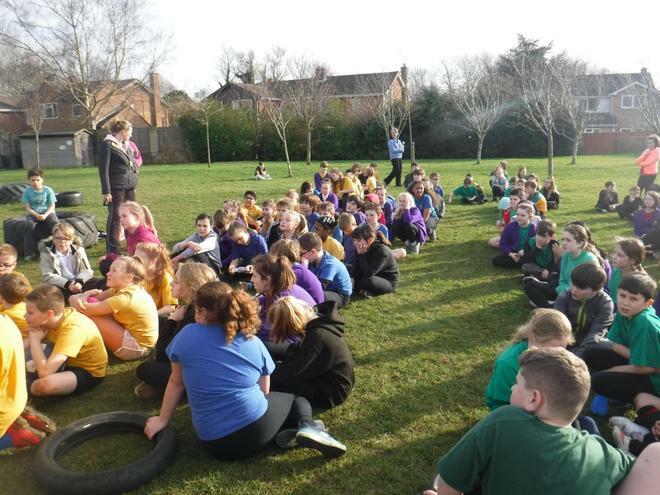 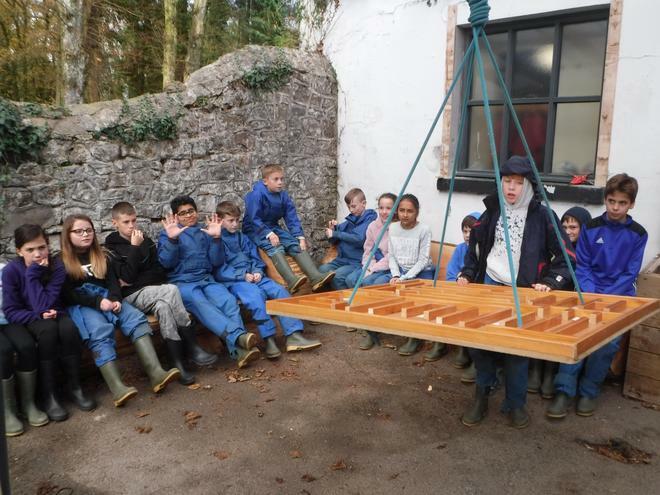 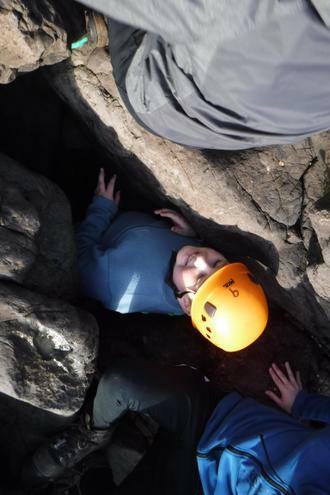 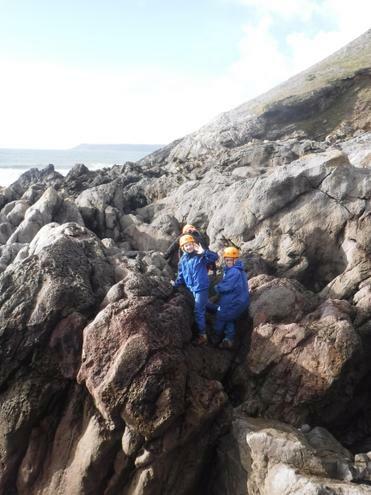 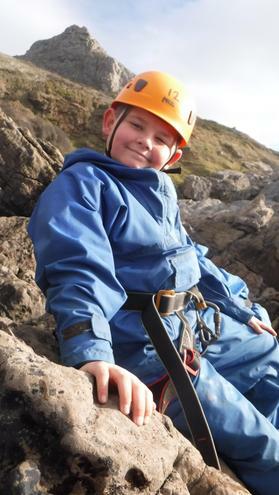 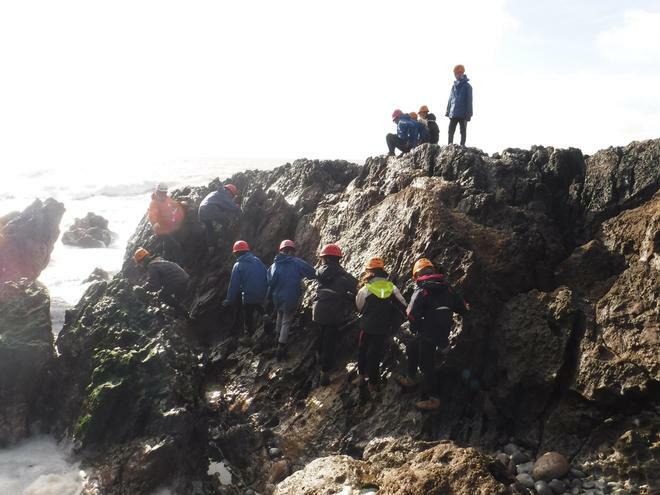 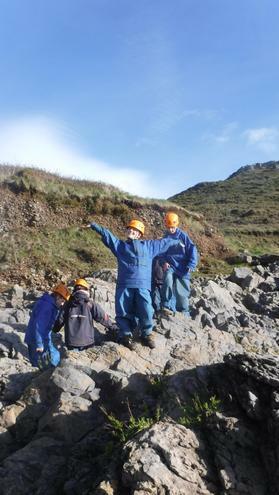 Year 6 will be working hard and enjoying our successes again this term and we can't wait to share this with you all! 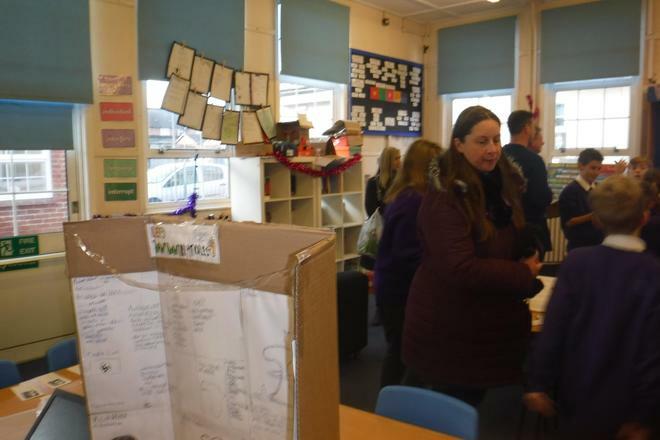 A huge thanks to everyone for their cards, gifts, kind words and best wishes. 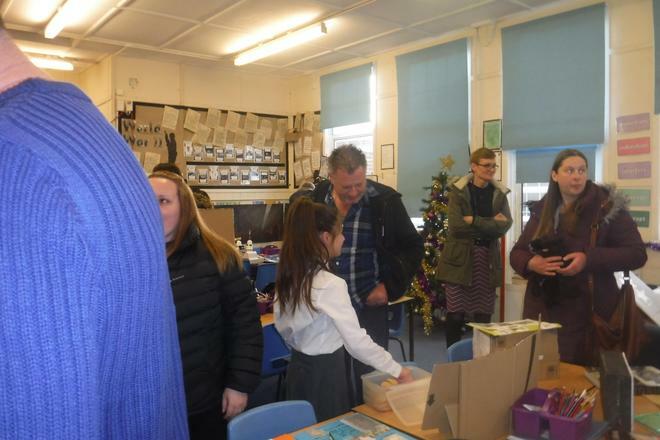 We have all been overwhelmed by your generosity. 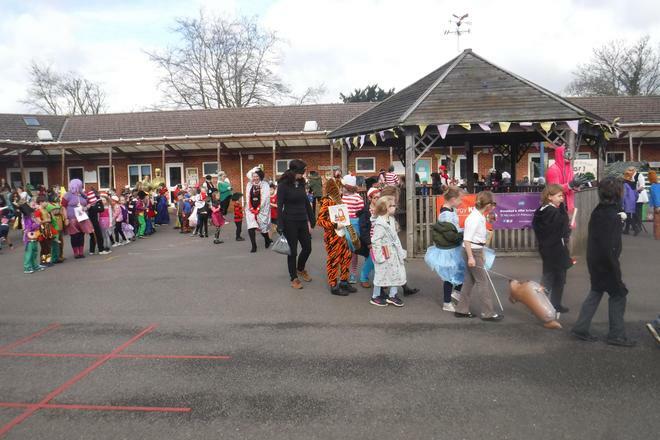 Have a great Christmas and a restful break and we look forward to seeing you all in 2019 for another busy and exciting term. 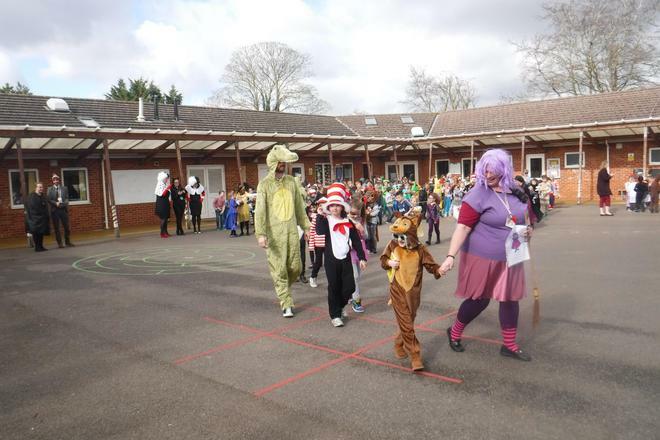 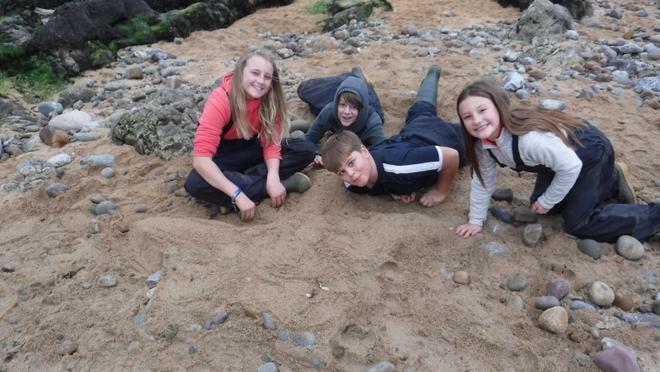 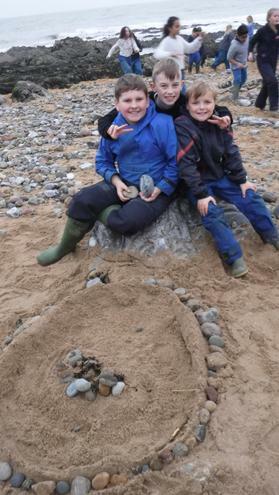 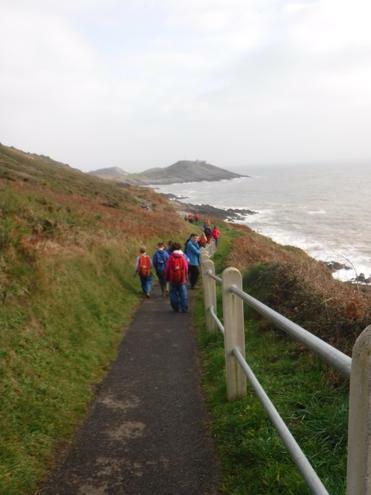 Thanks once again with love from Mrs Randall, Mr Gaskin, Mrs Carlin, Mrs Onion, Mrs Tricklebank and Miss Oldham. 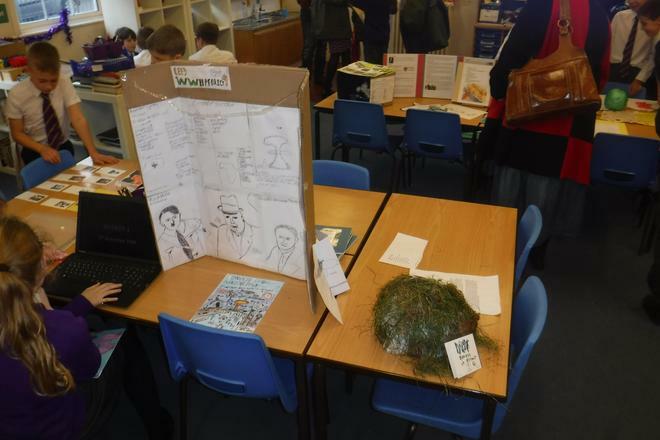 WWII projects - our express event! 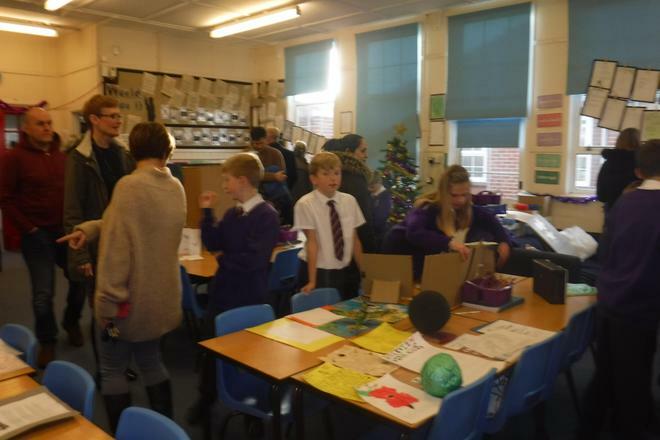 We have our 'Express Event' on Monday 17th December at 2.30pm in Classes 13 & 14. 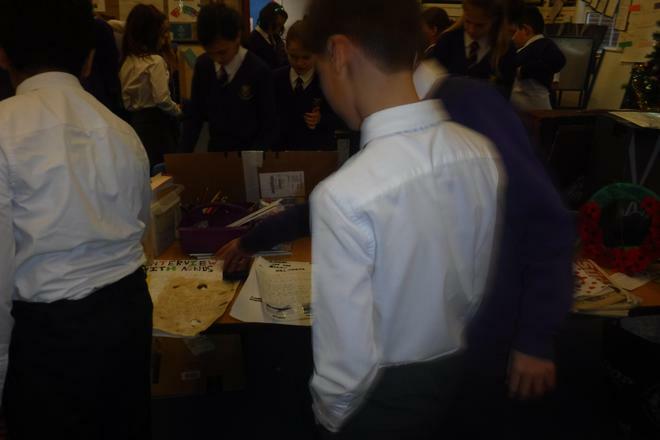 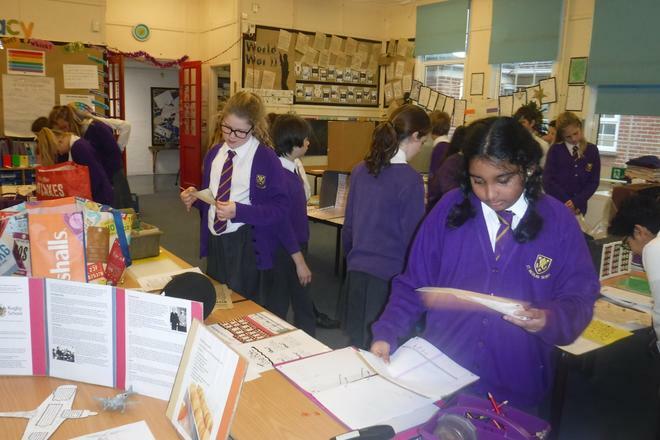 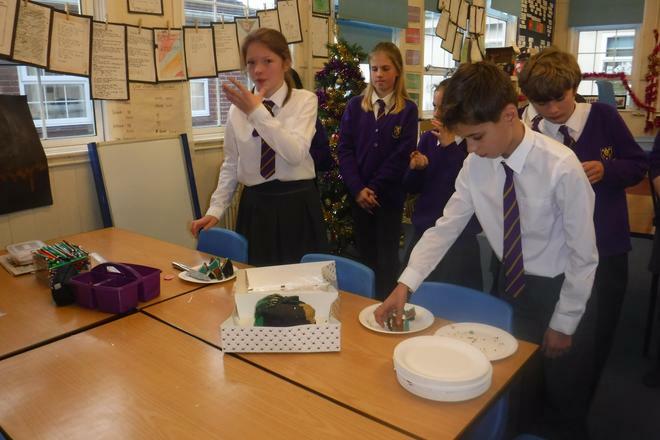 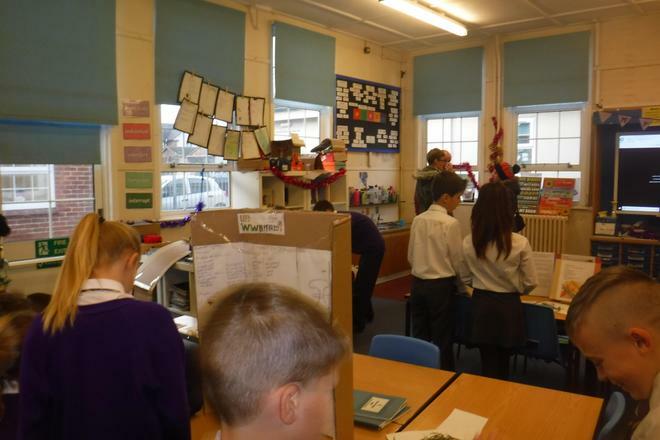 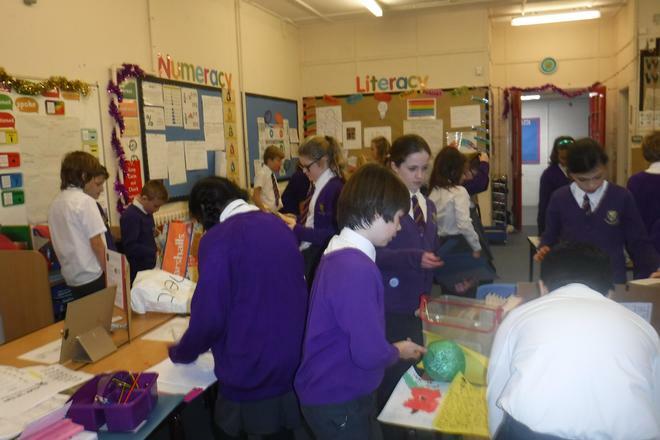 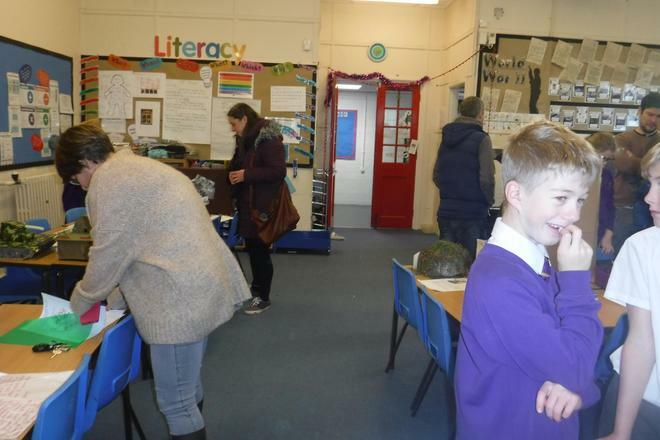 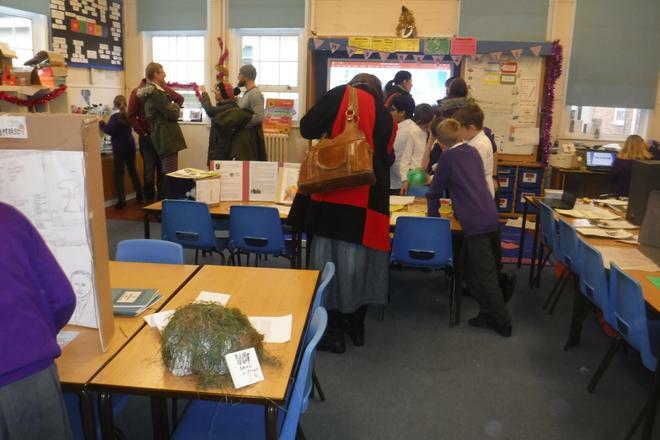 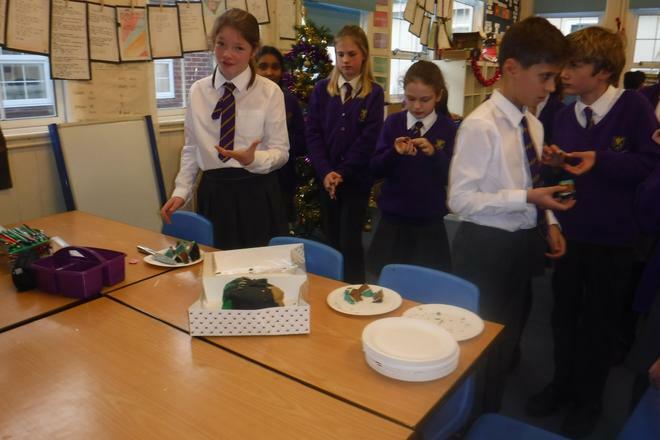 It would be great to see as many of you as possible coming to see all of the wonderful World War II projects that the children have created as part of our topic as well as some of the wonderful work they have produced in class. 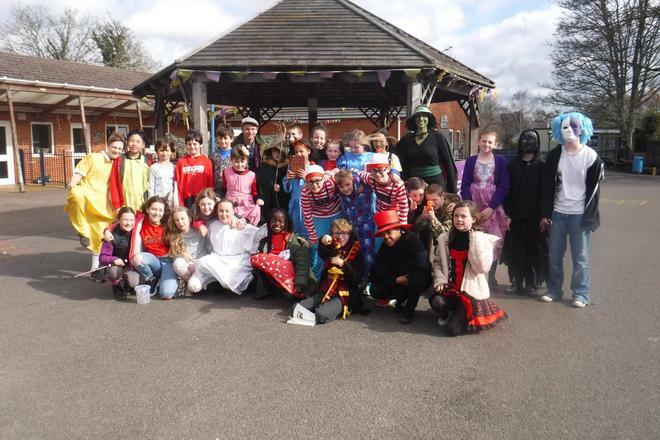 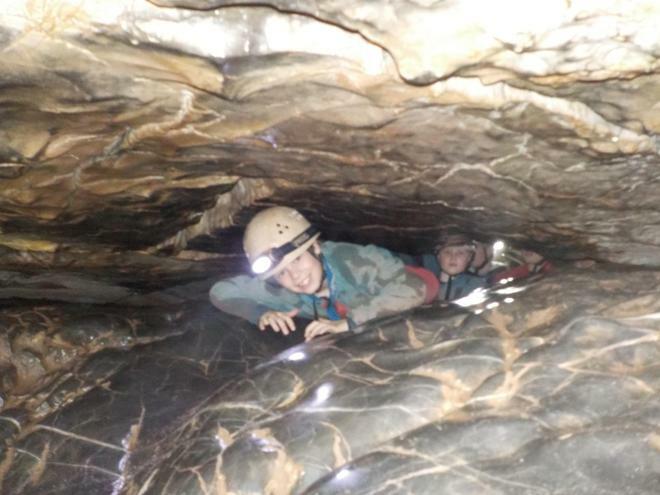 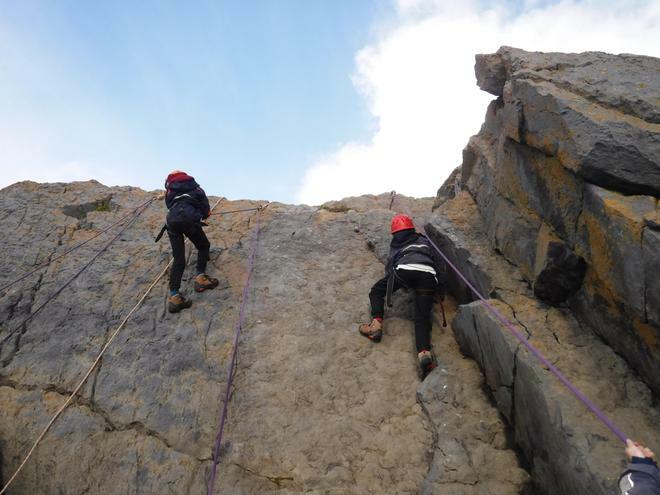 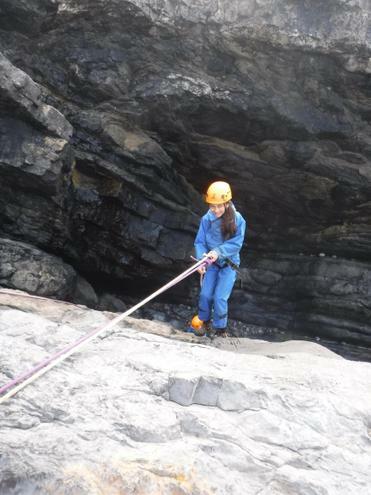 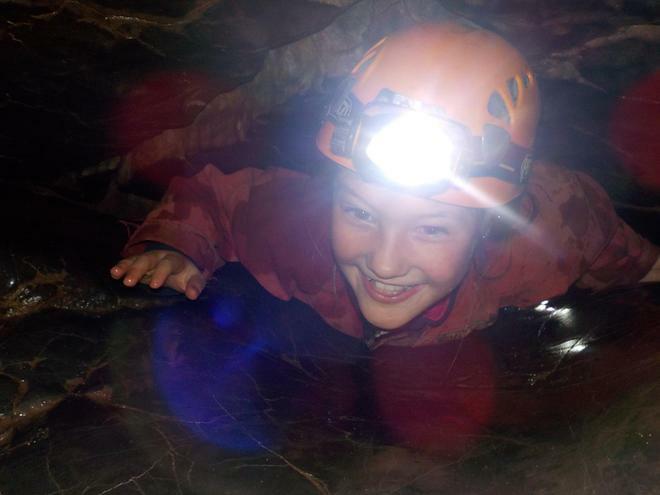 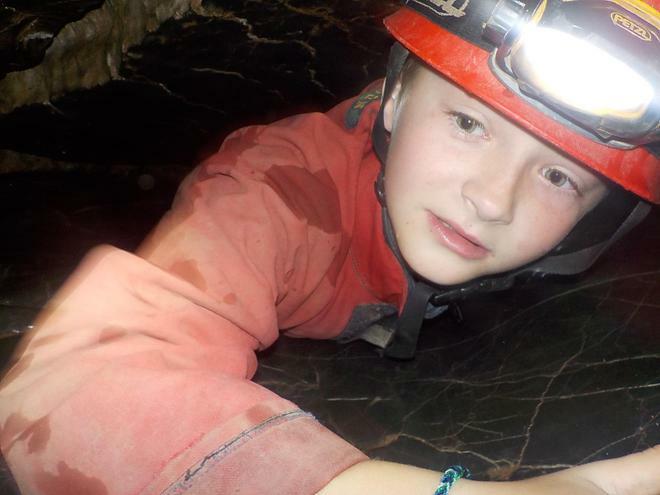 Class 14 at 3.15pm on Monday 15th October - we'd love to see you all there! 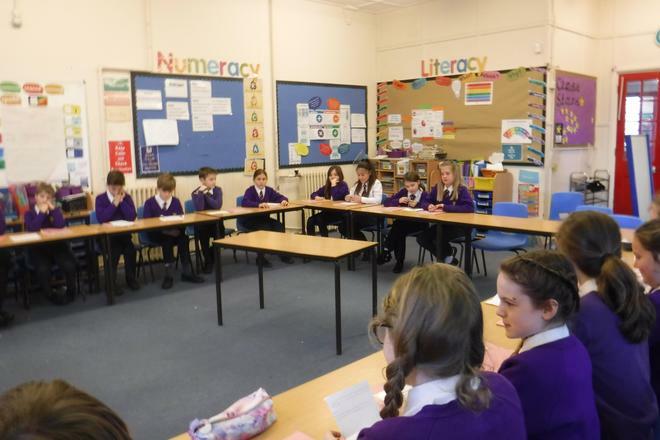 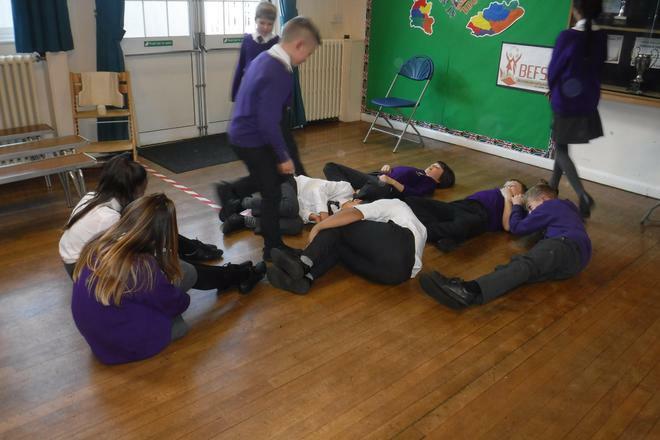 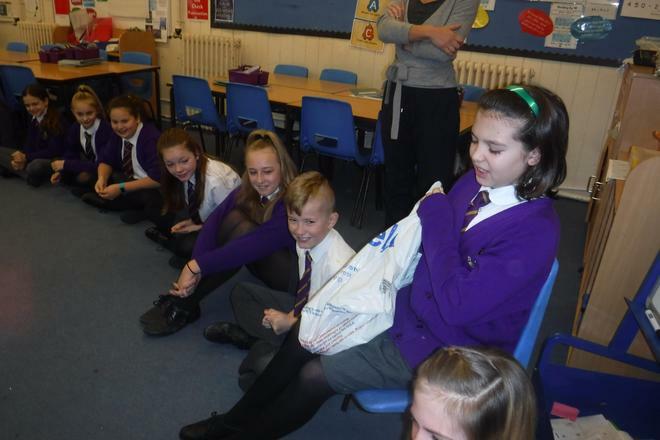 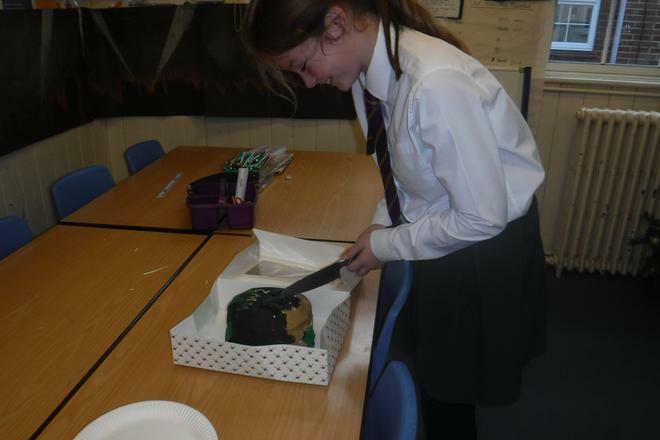 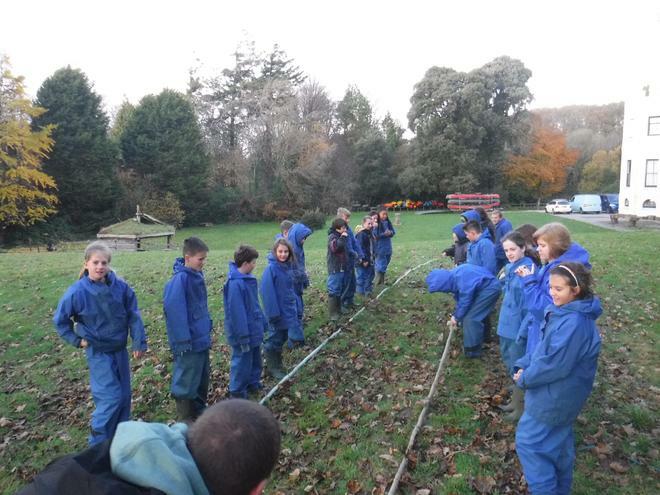 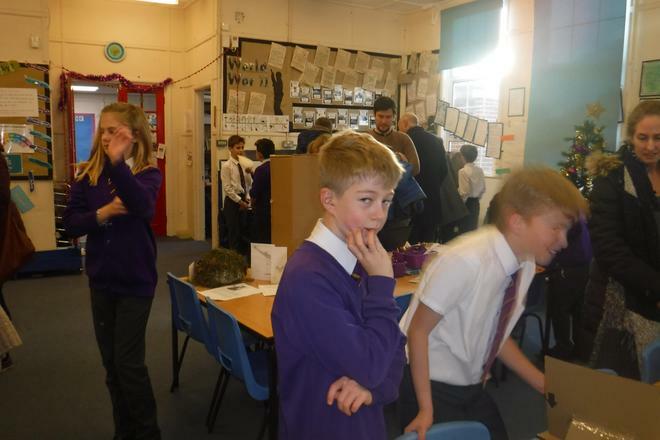 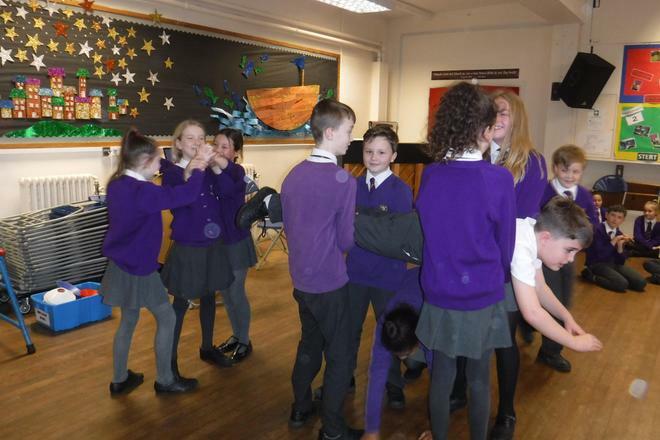 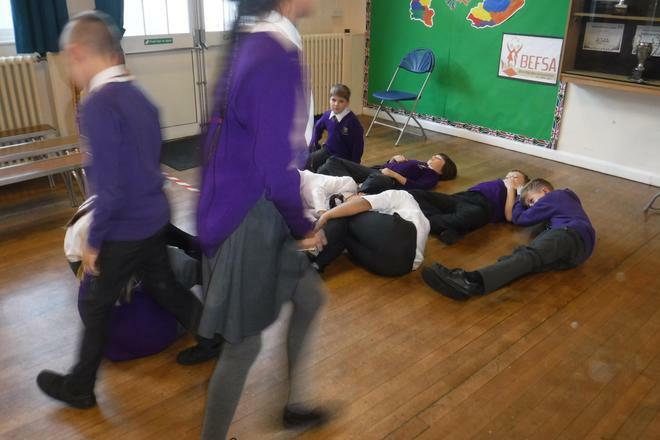 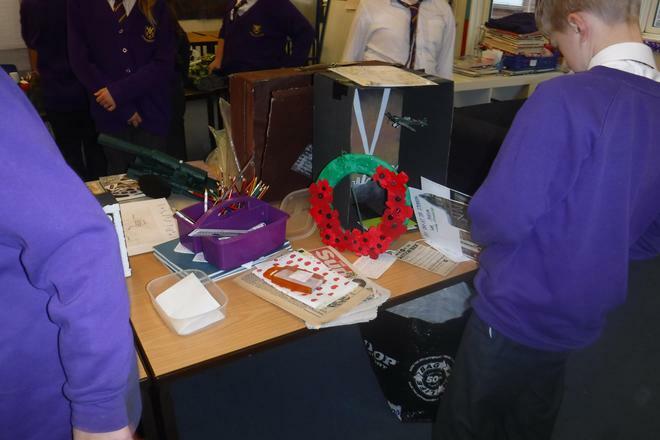 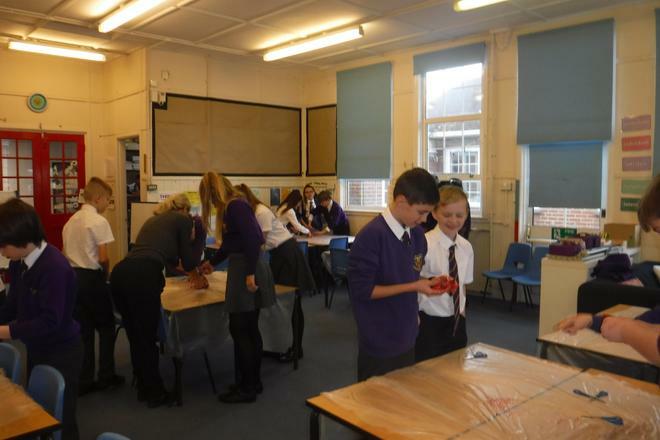 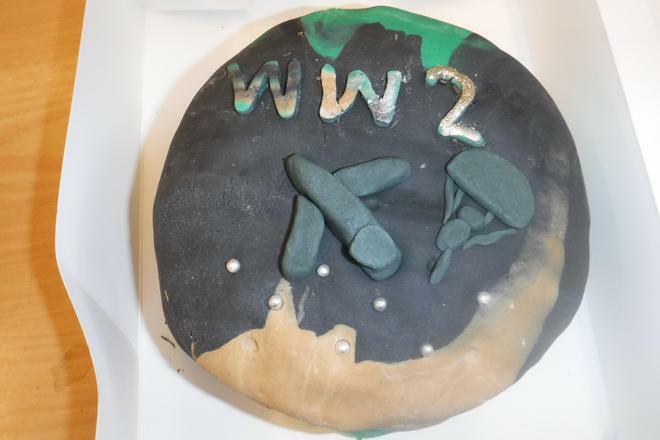 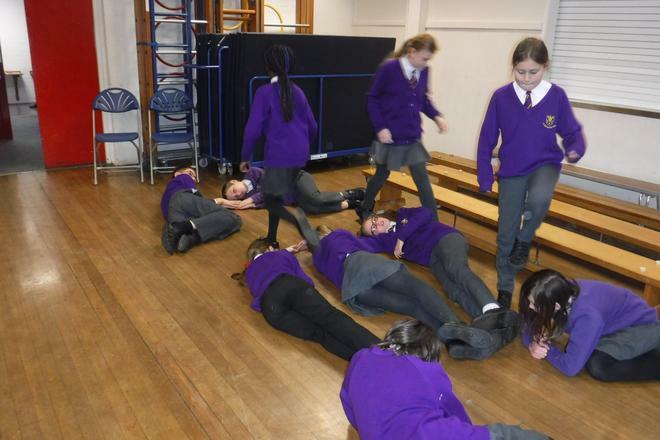 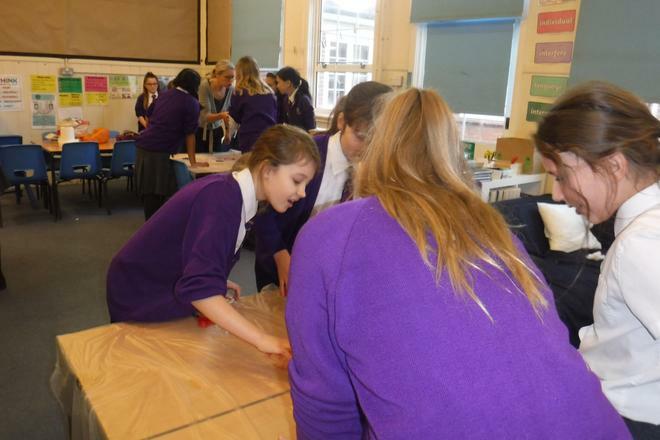 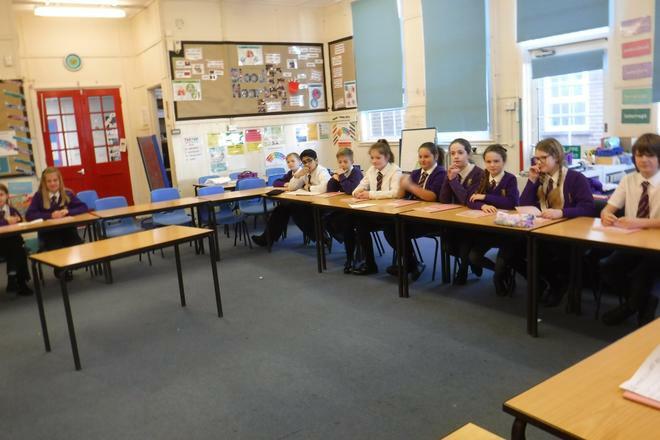 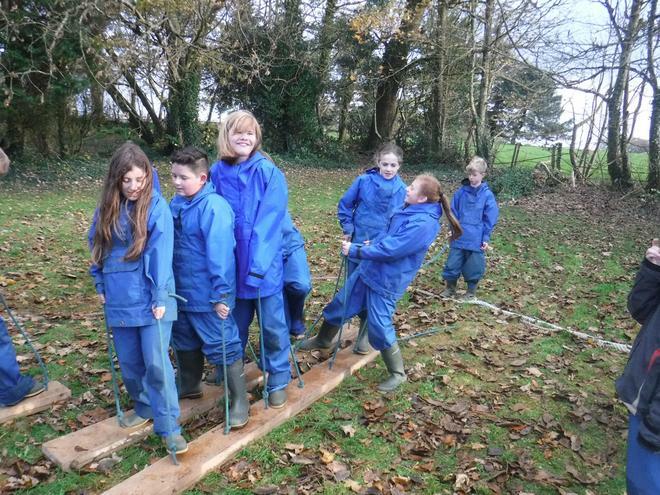 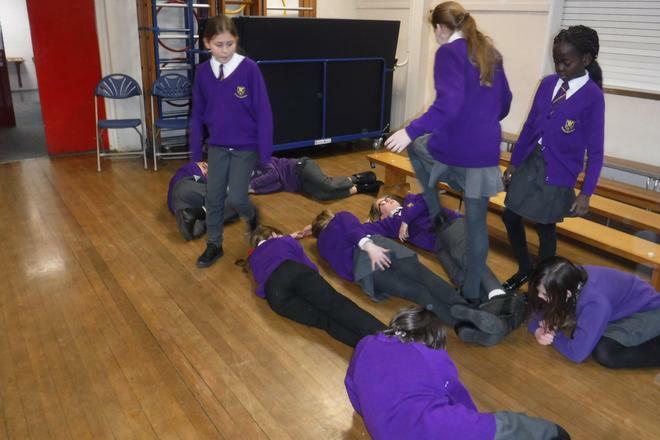 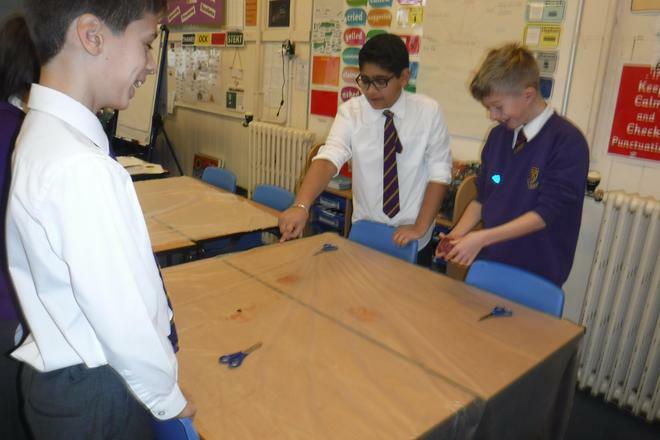 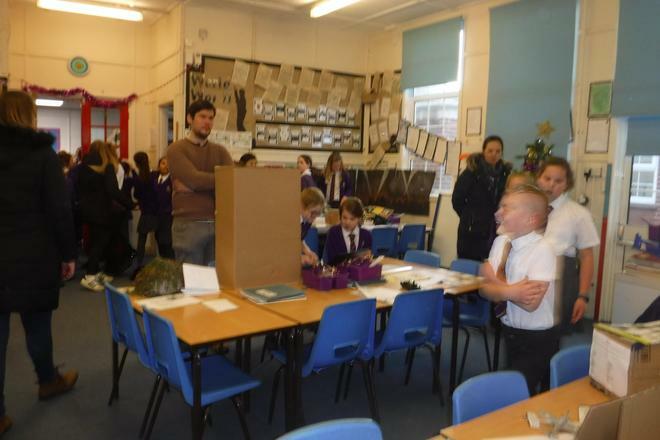 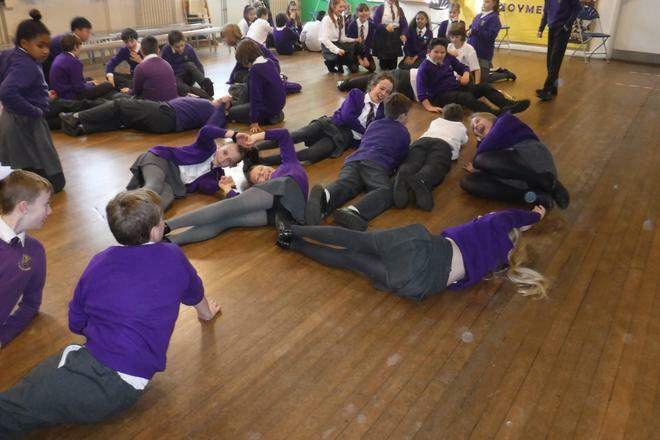 We launched our World War II project on Monday 8th October! 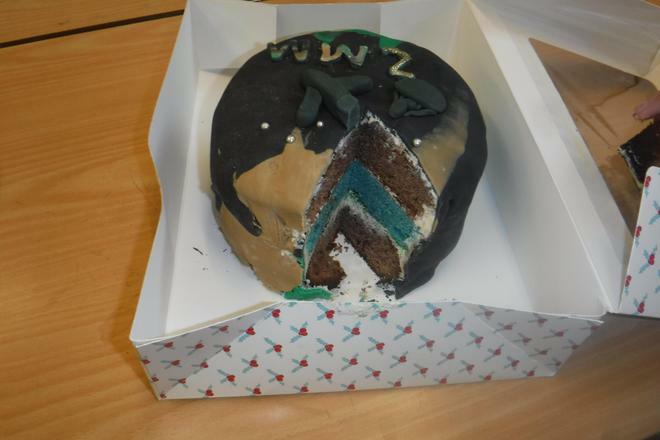 We are learning all about World War II this term. 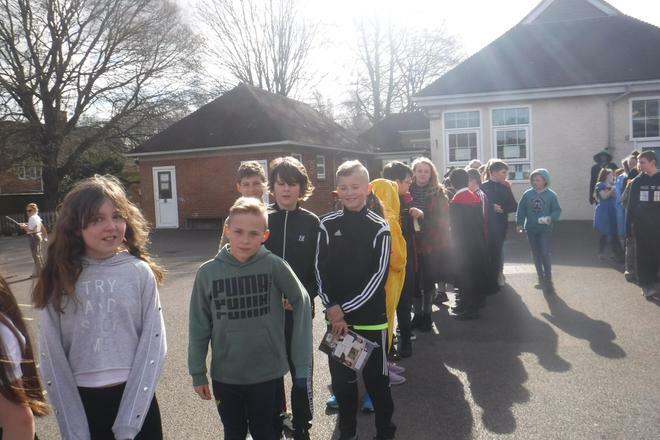 We have read 'Friend or Foe' by Michael Morpurgo and the children have based their writing on this story of two evacuees and their time in Devon during the war. 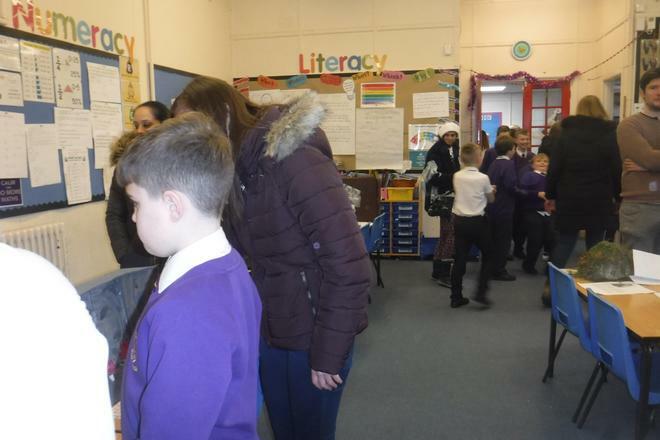 Homework will usually be set on Monday and will be due in the following Thursday, however, this does sometimes change - the children will be aware of deadlines that they need to meet.